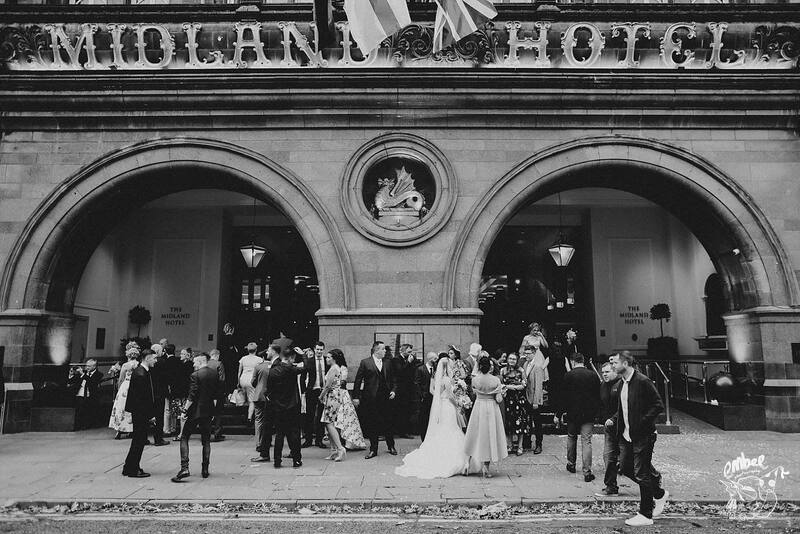 Urban celebrations at its best for a Midland Hotel wedding photography day out. 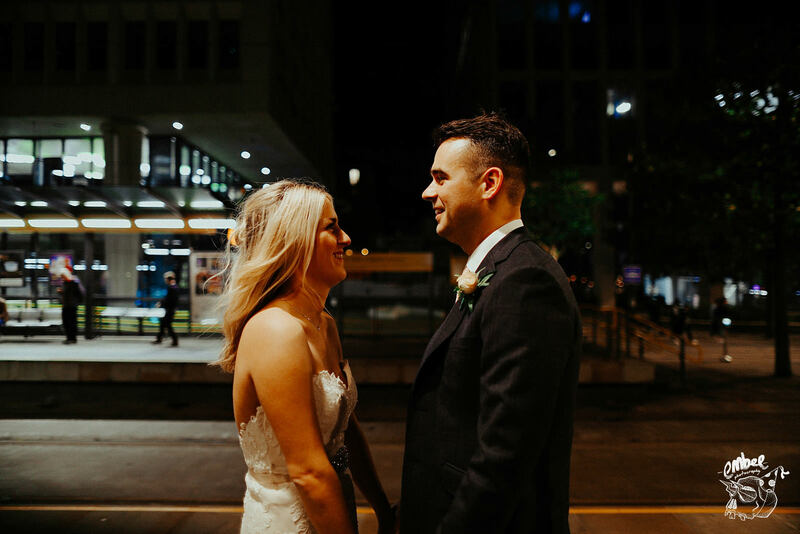 There is definitely something about a city wedding that really floats my boat for capturing ace pictures for the bride and groom. 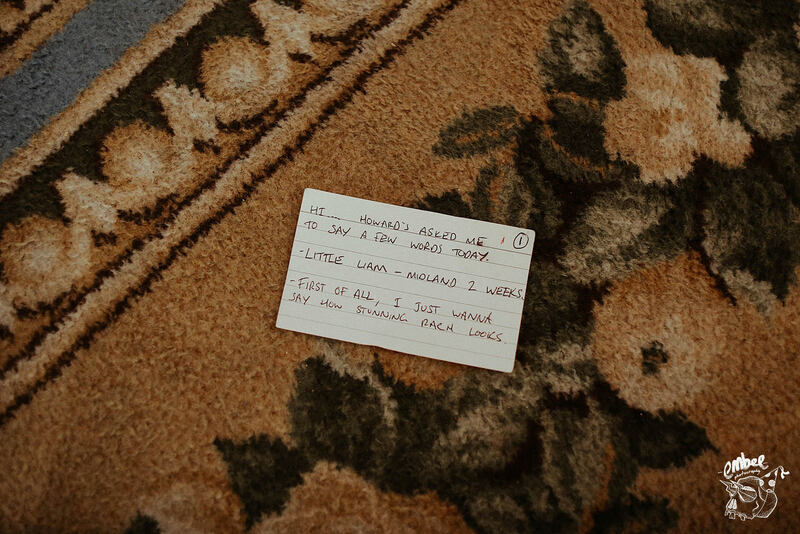 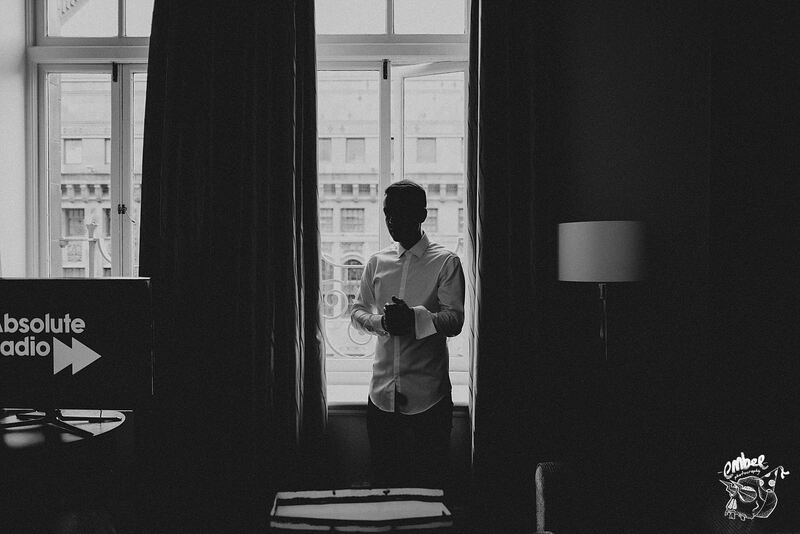 I enjoy the challenge to naturally capture and also find and seek out potential spots to make use of for my work. 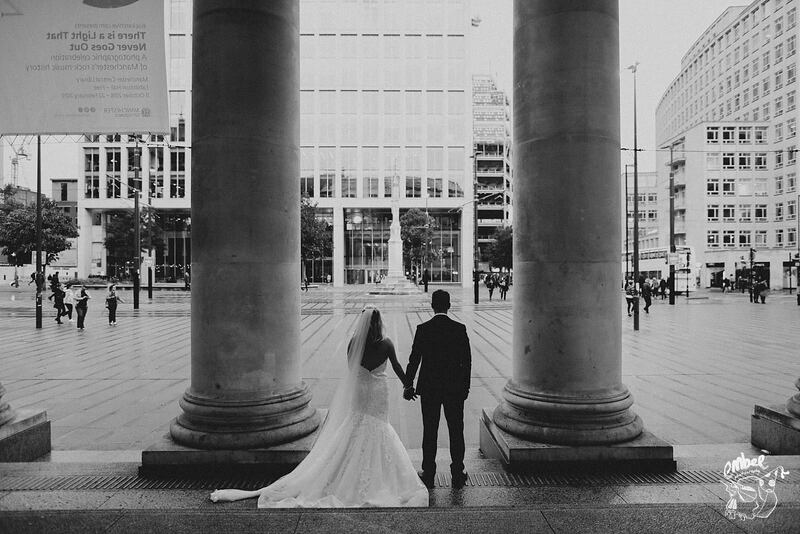 In the city there are endless photo opportunities that you can utilise to be creative from which I loved using with Rachael & Howard. 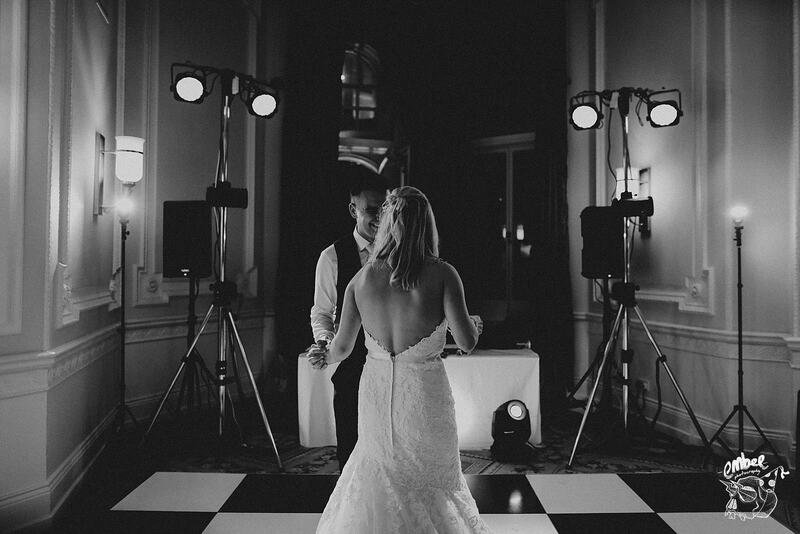 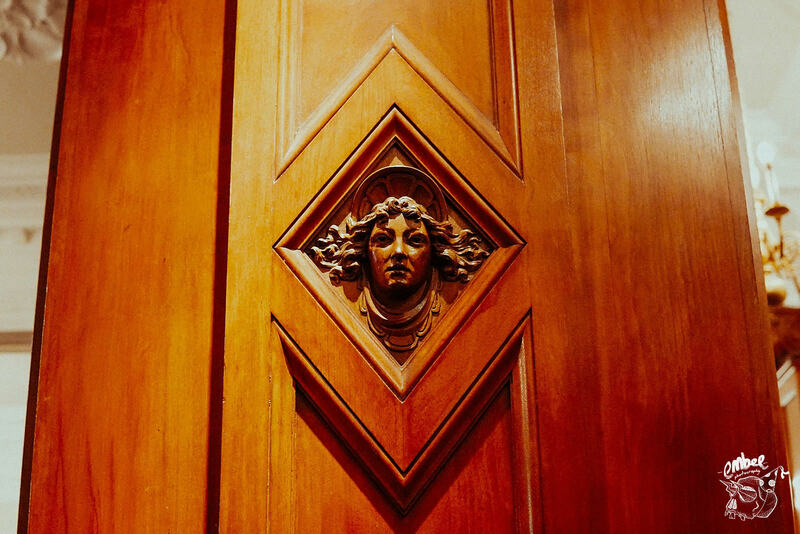 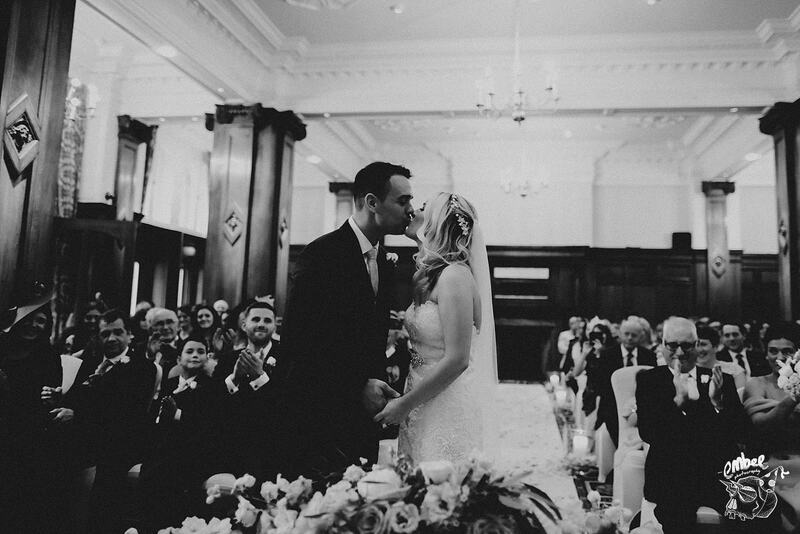 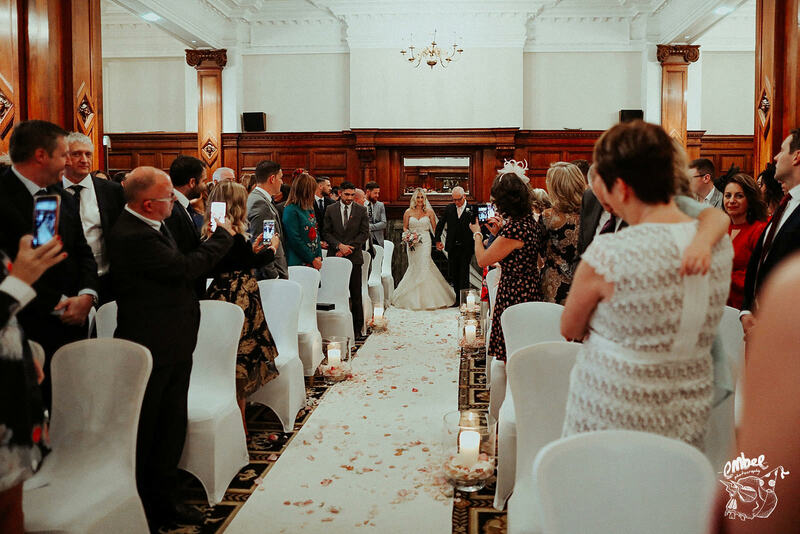 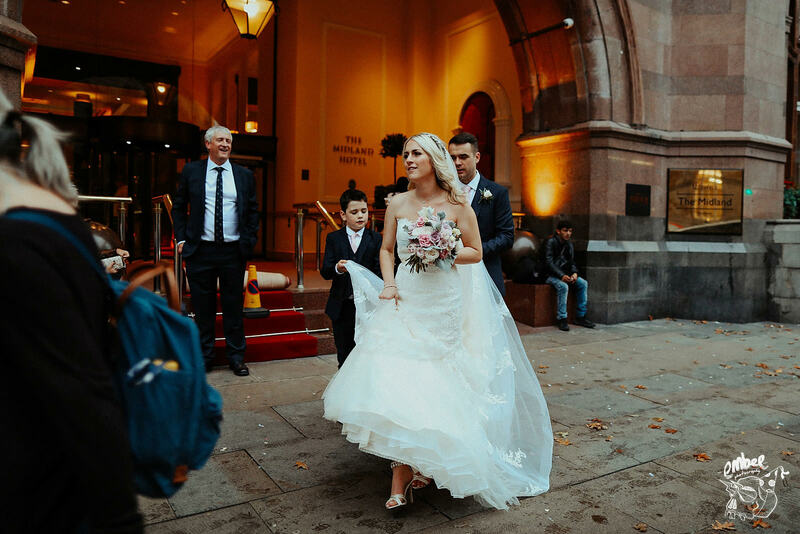 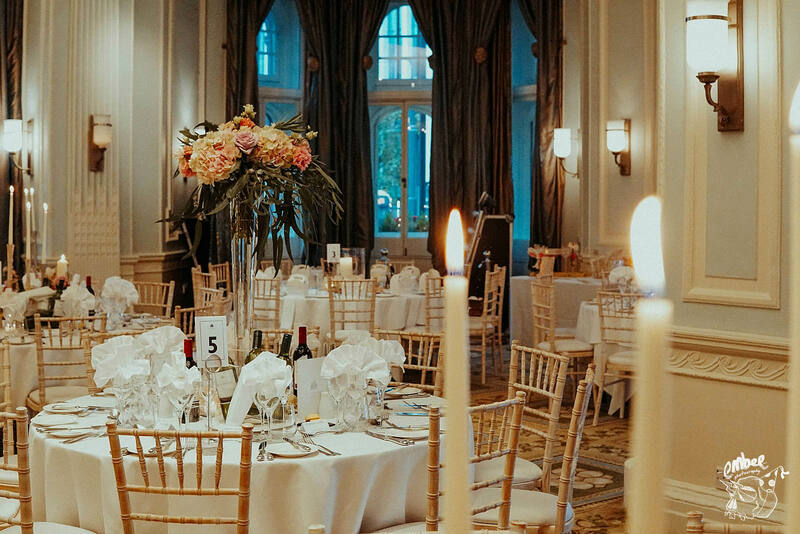 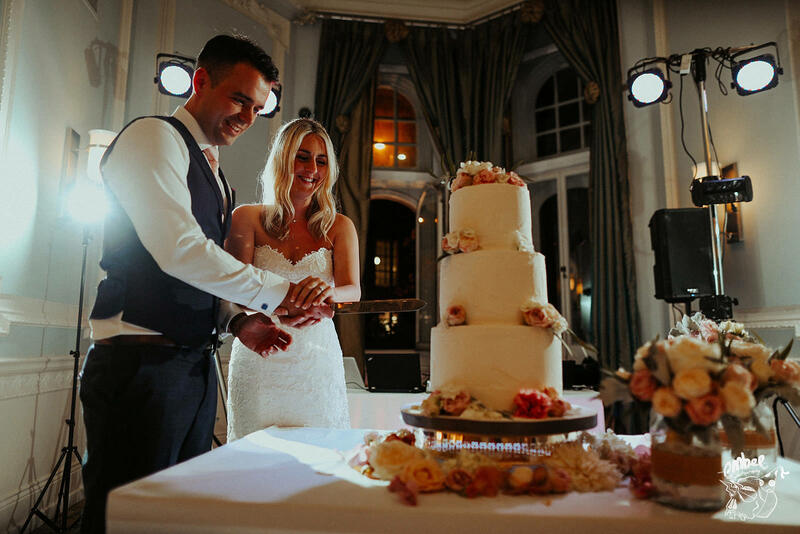 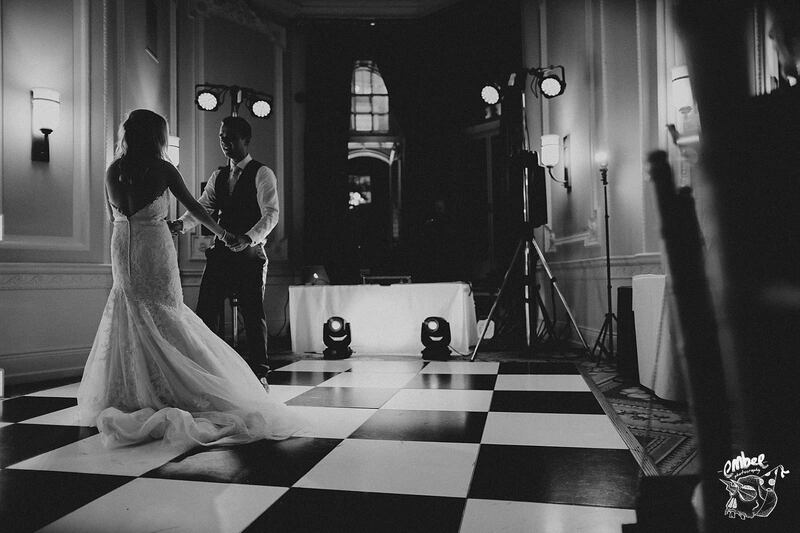 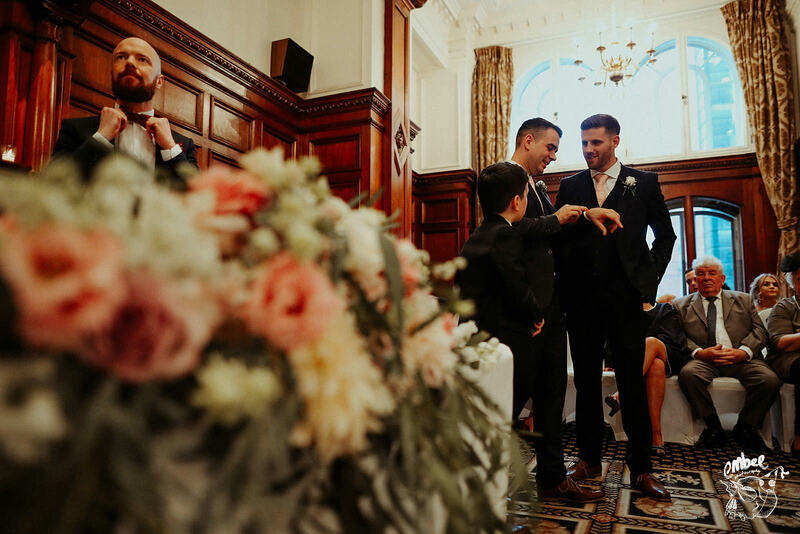 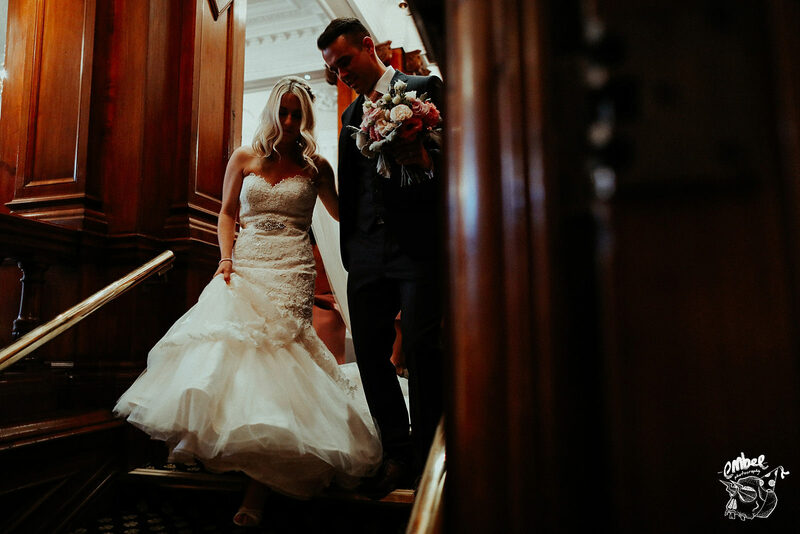 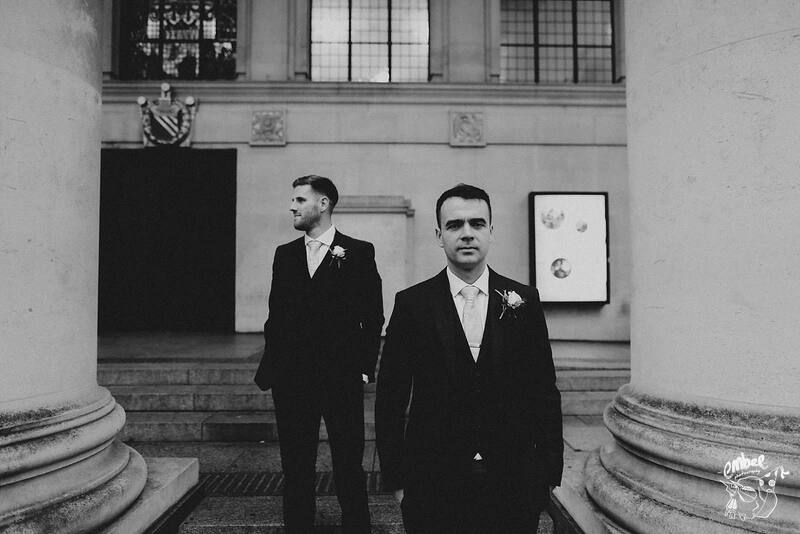 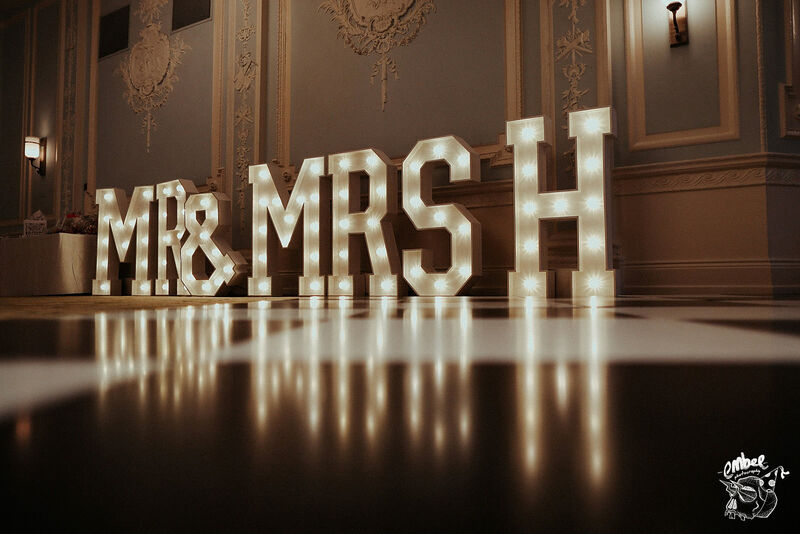 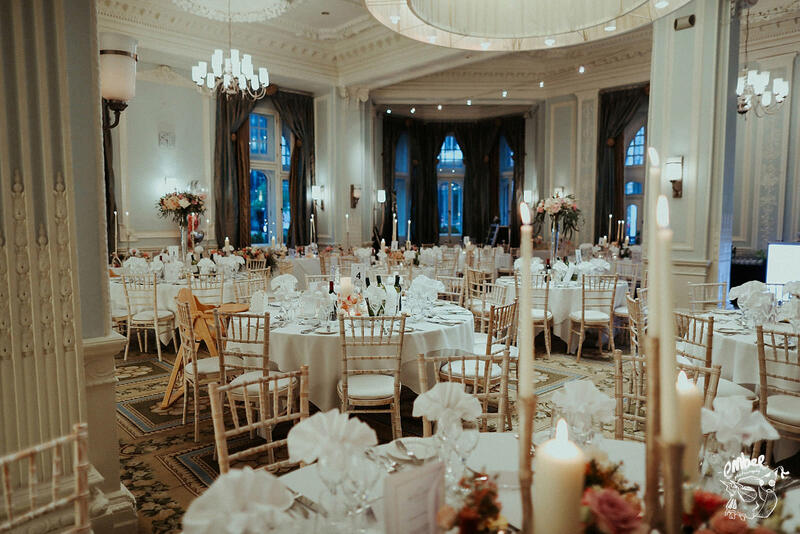 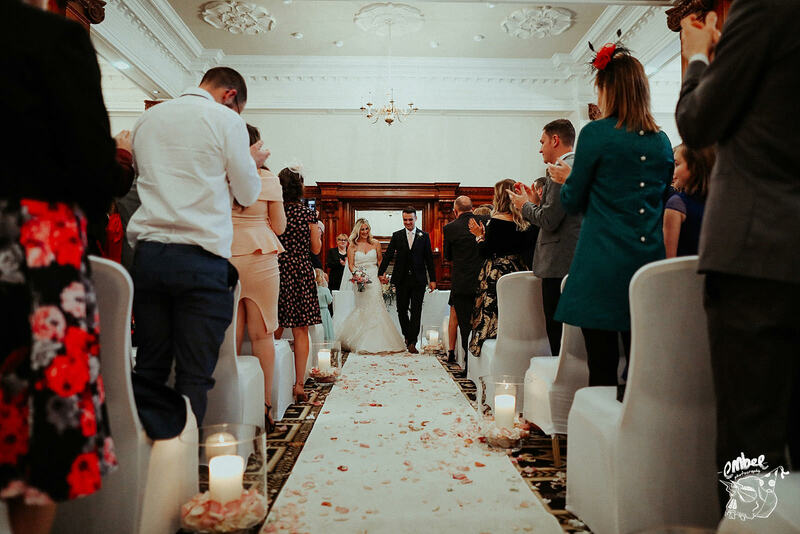 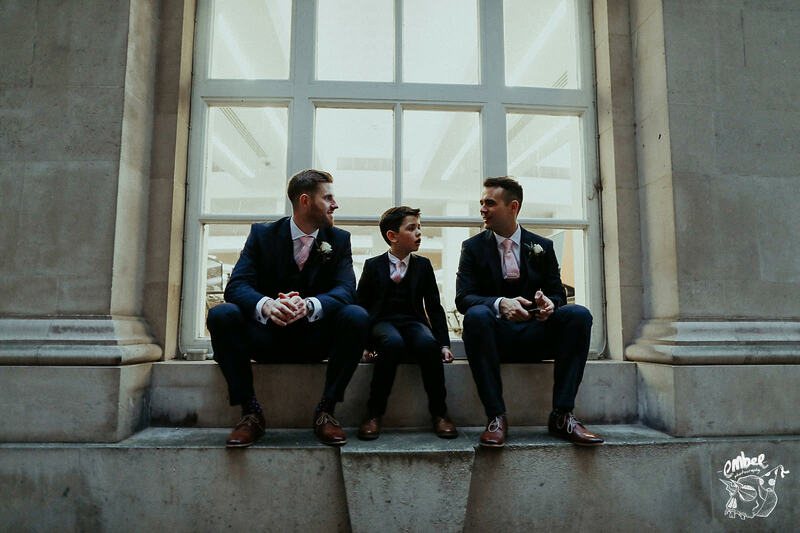 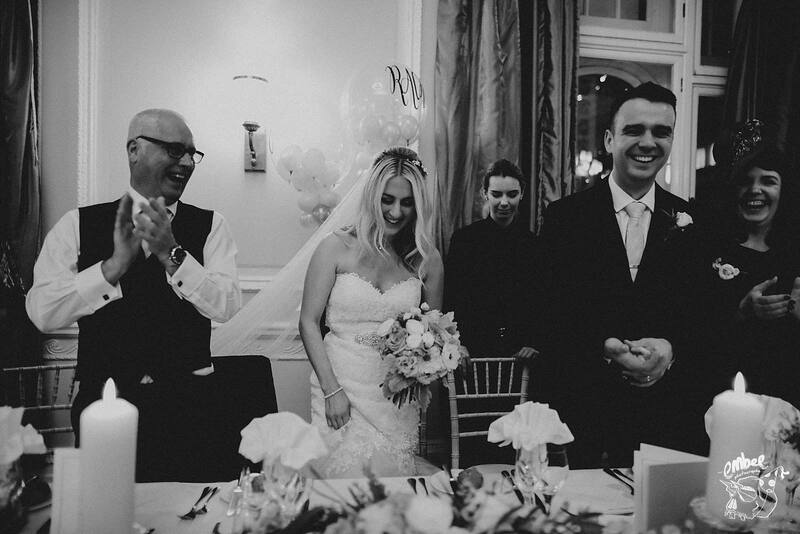 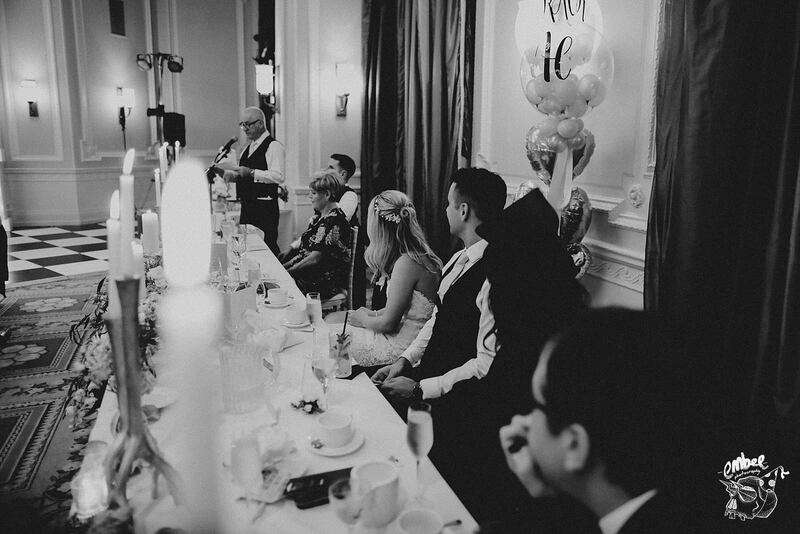 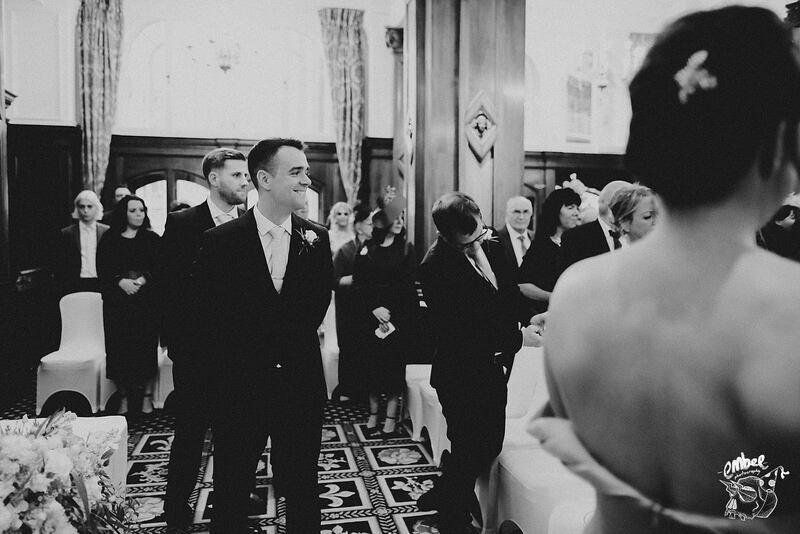 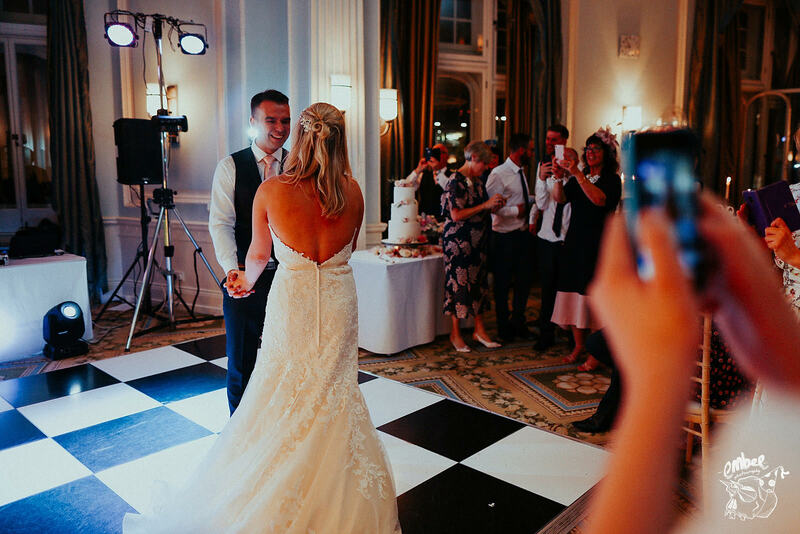 The Midland is a truly stunning and gigantic city centre wedding venue filled with detailed decor and elegance. 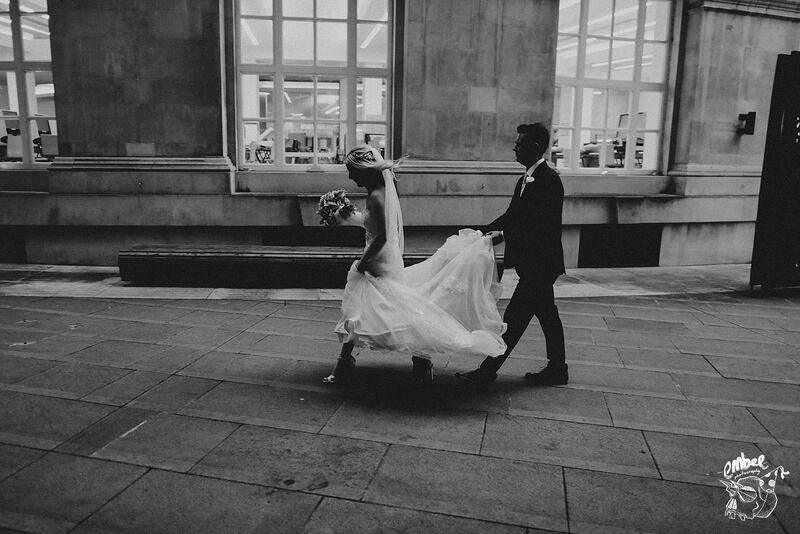 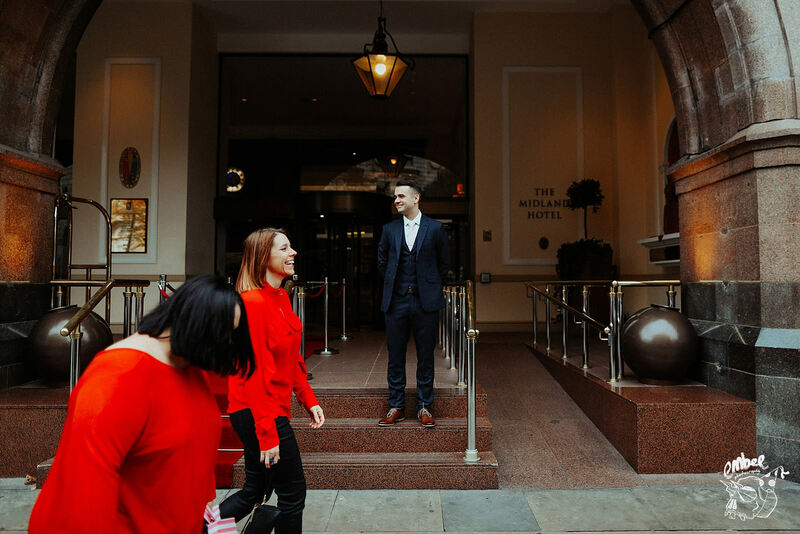 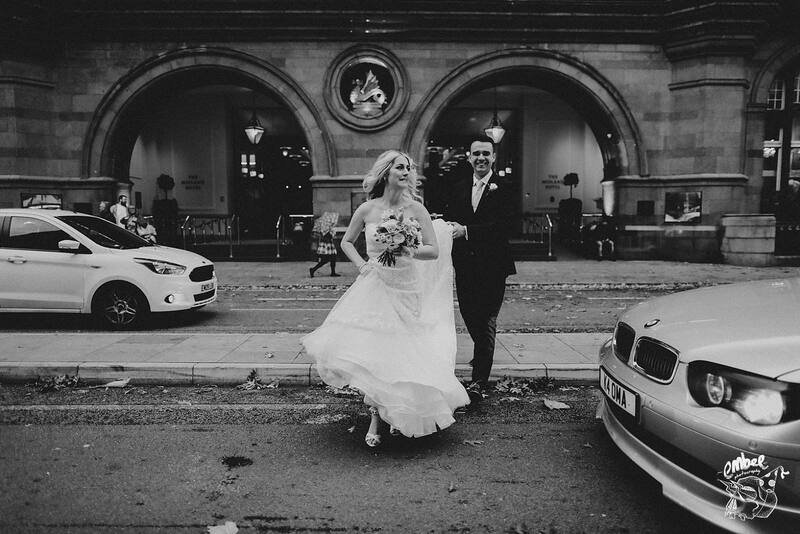 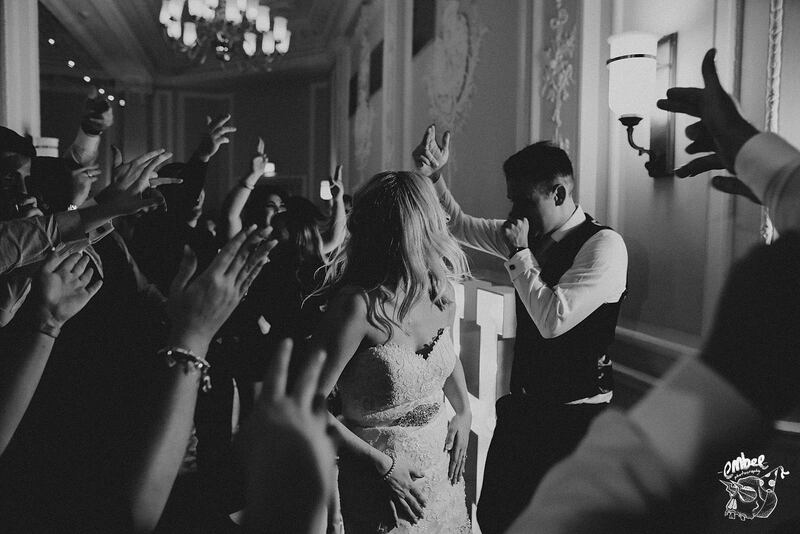 These two rocked it hard for their Midland Hotel wedding venue and I managed to capture their day in all it’s glory. 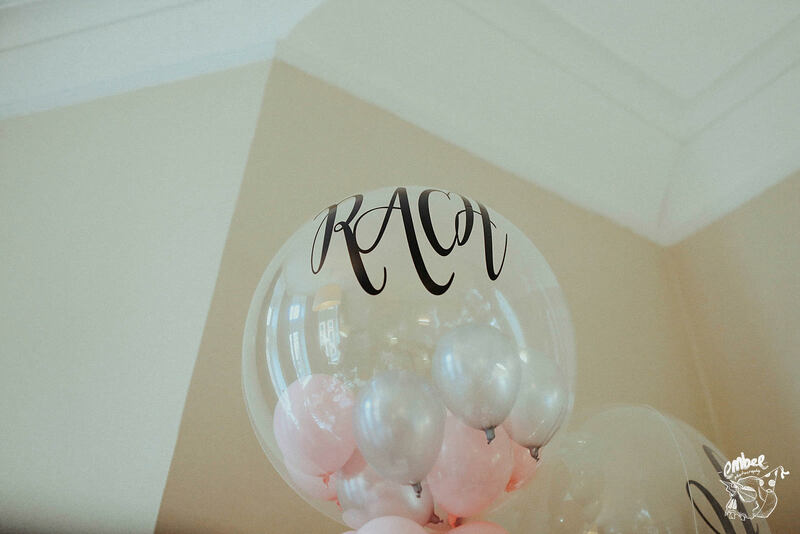 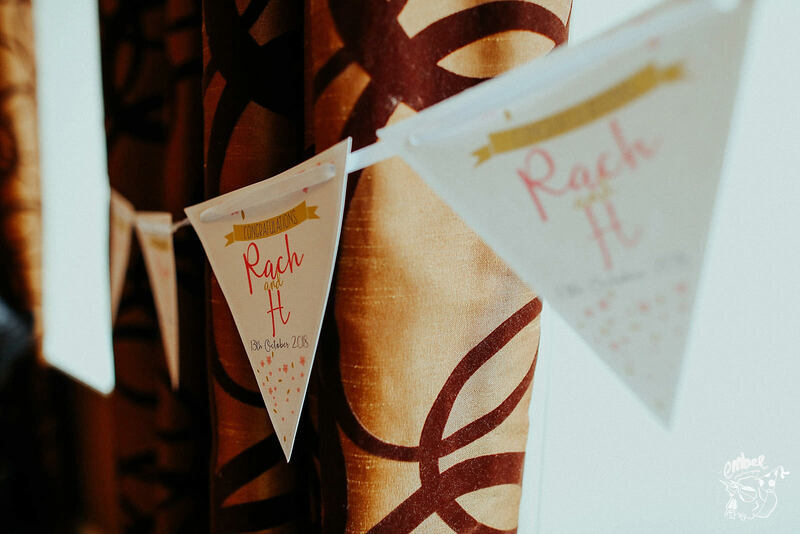 Big congratulations once again Rachael & Howard. 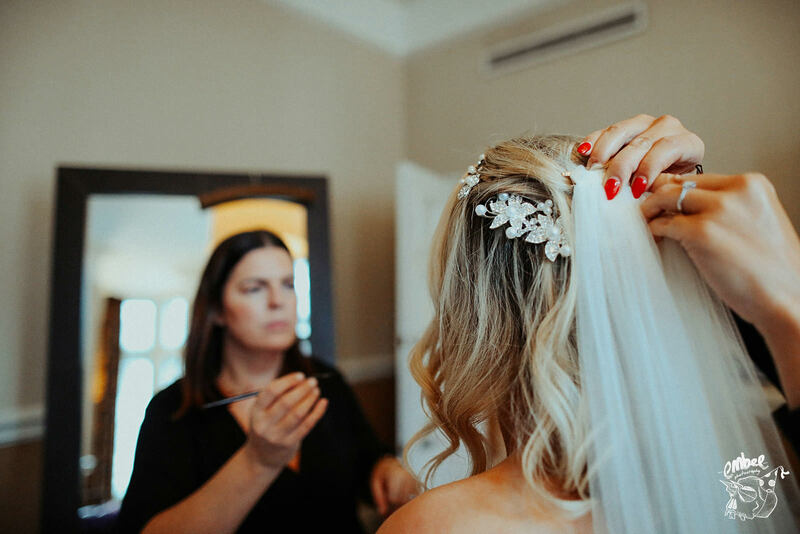 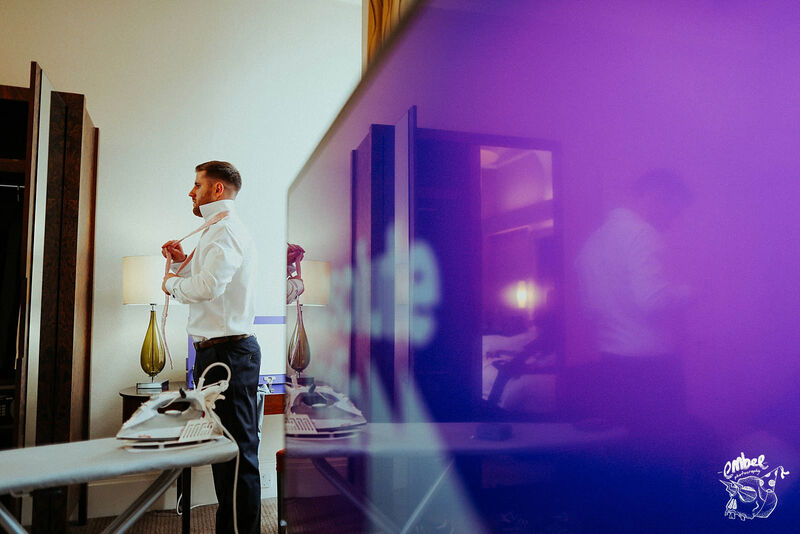 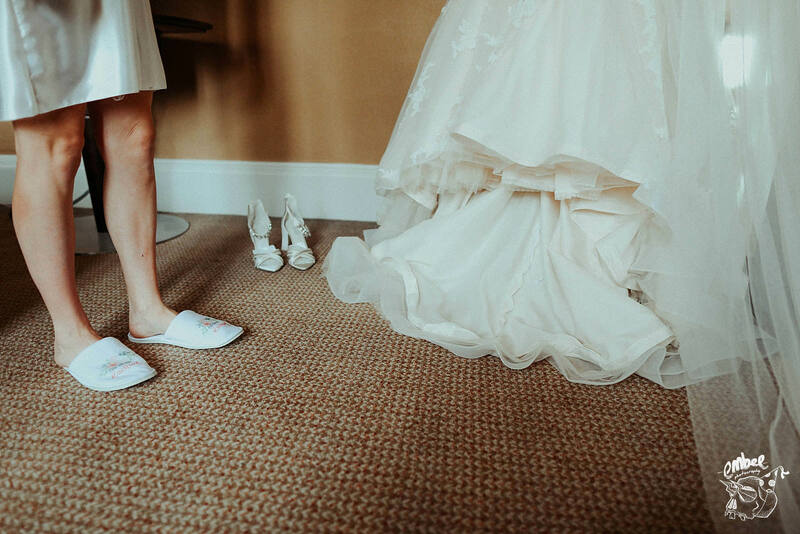 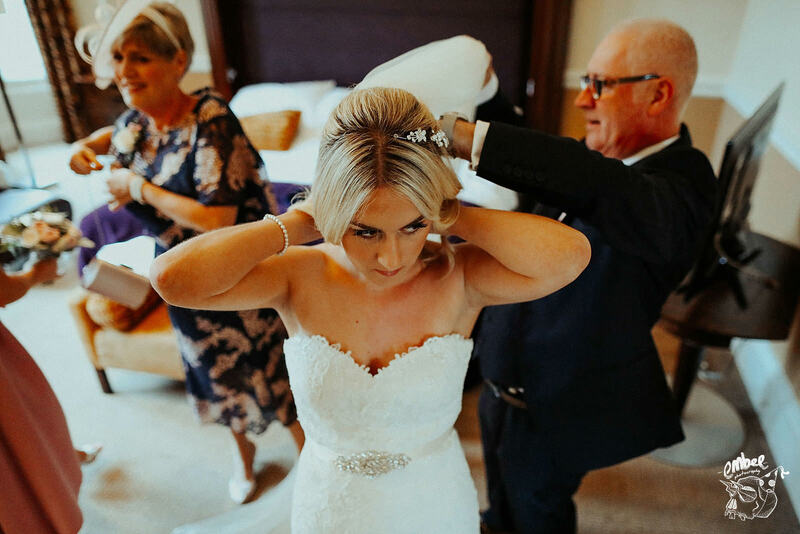 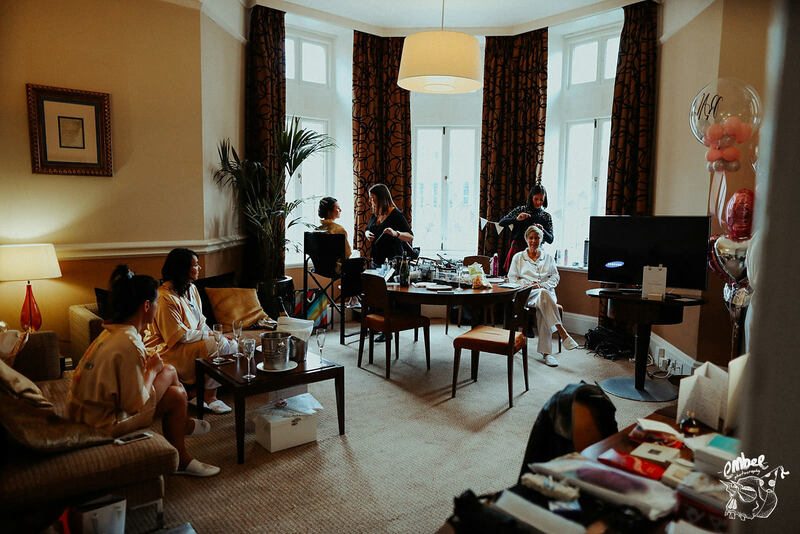 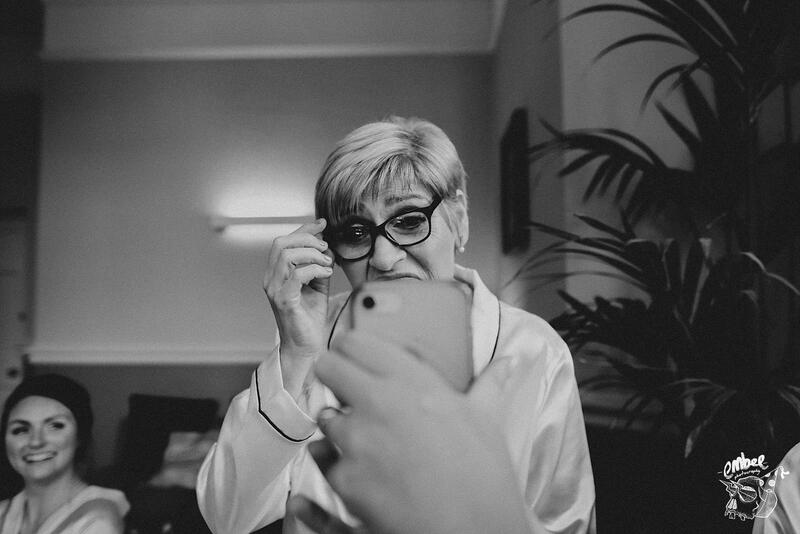 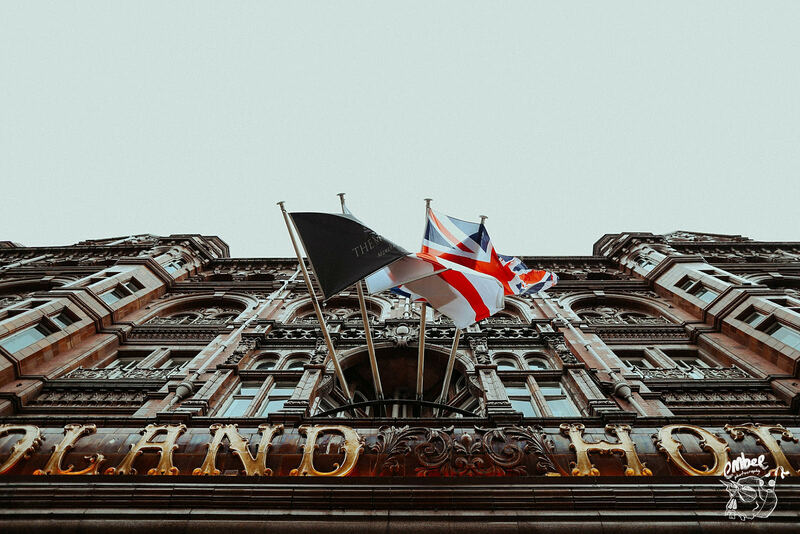 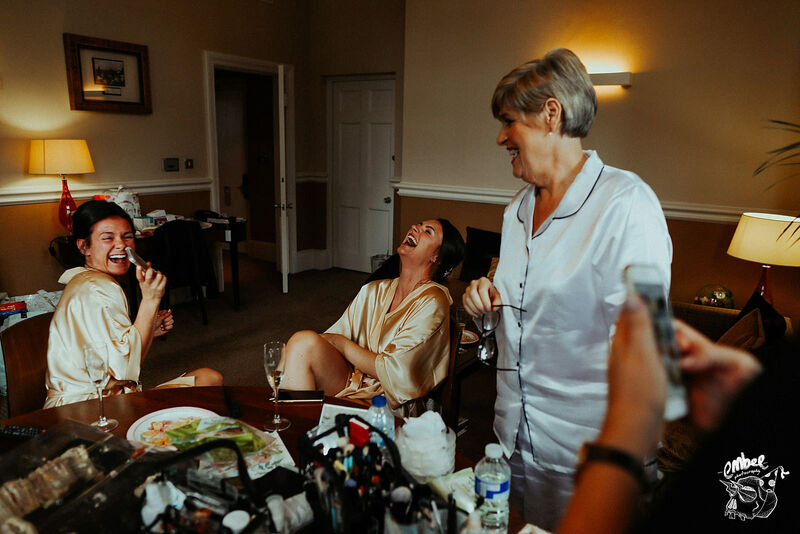 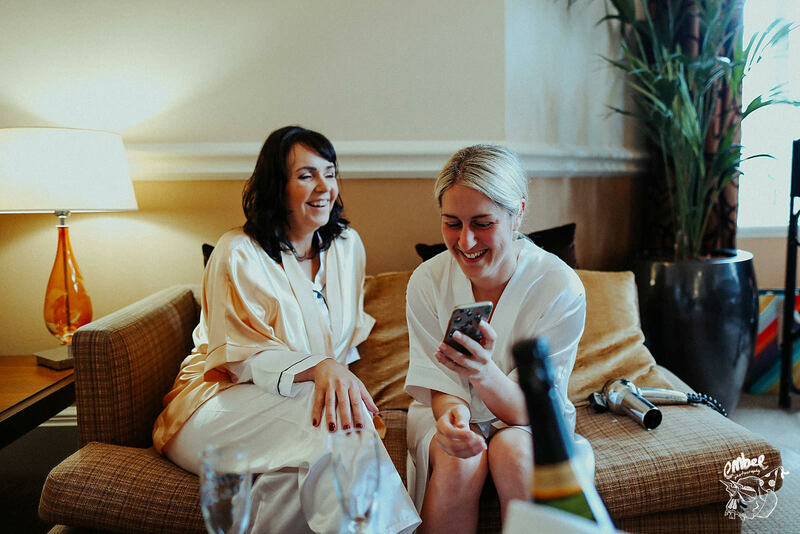 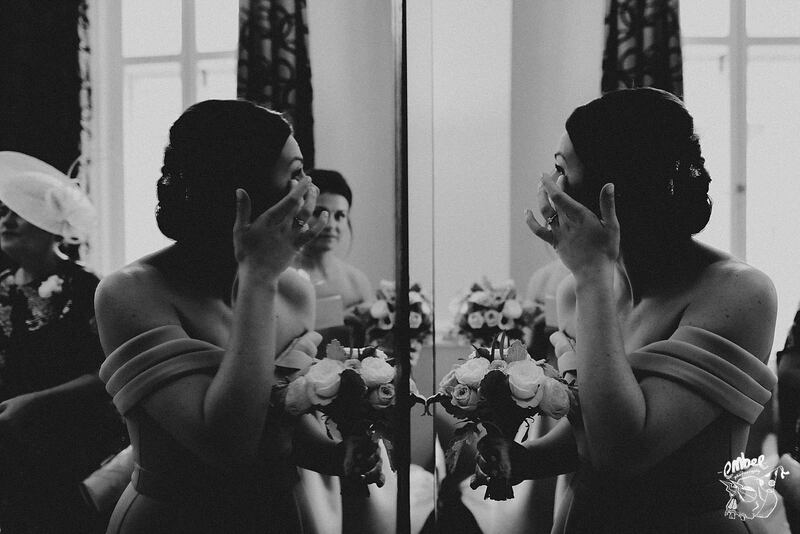 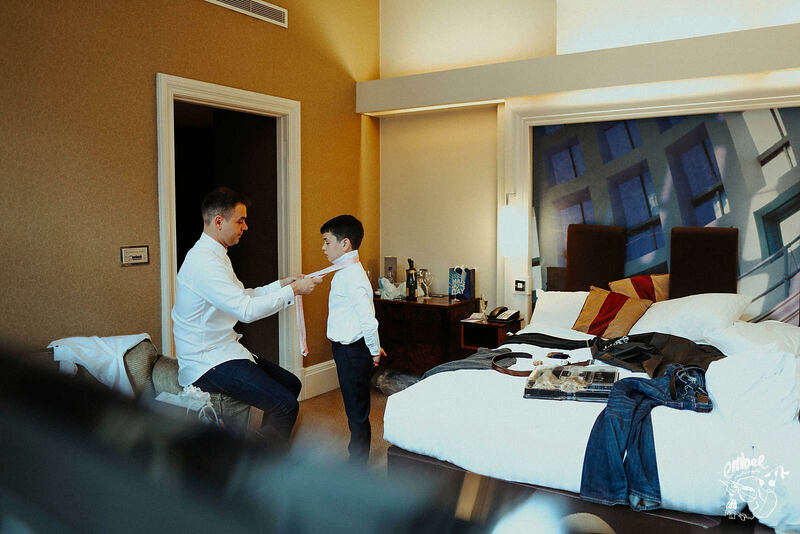 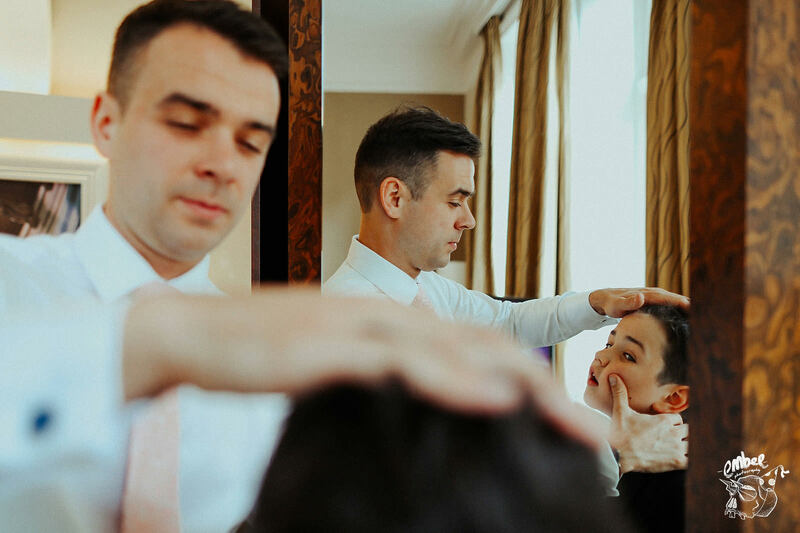 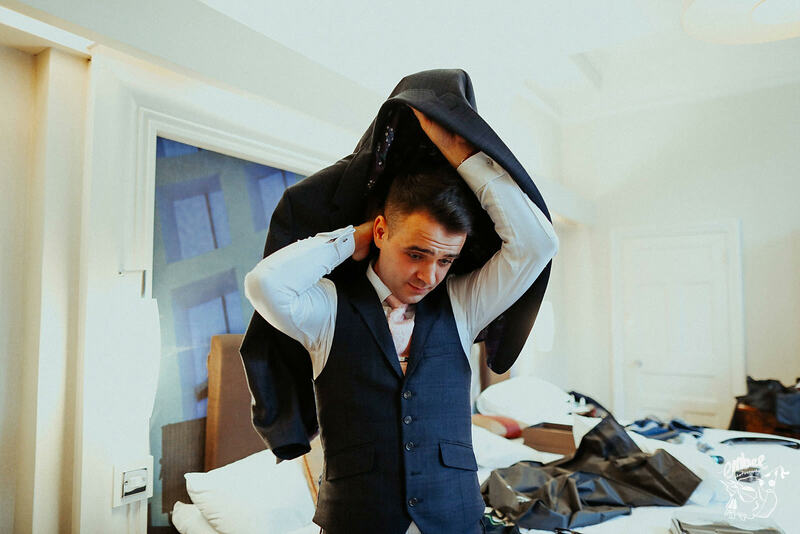 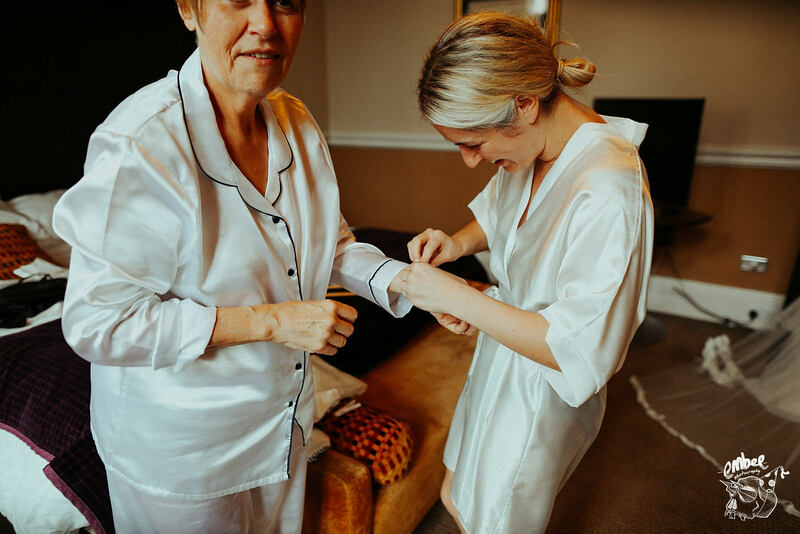 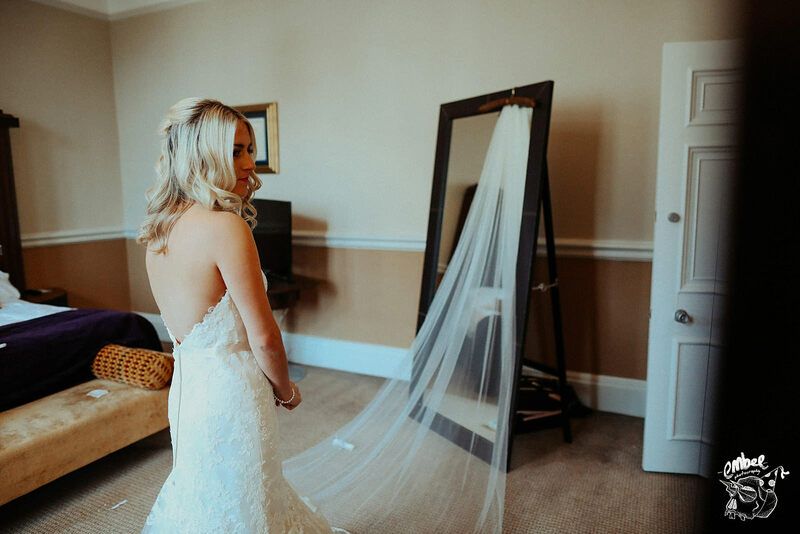 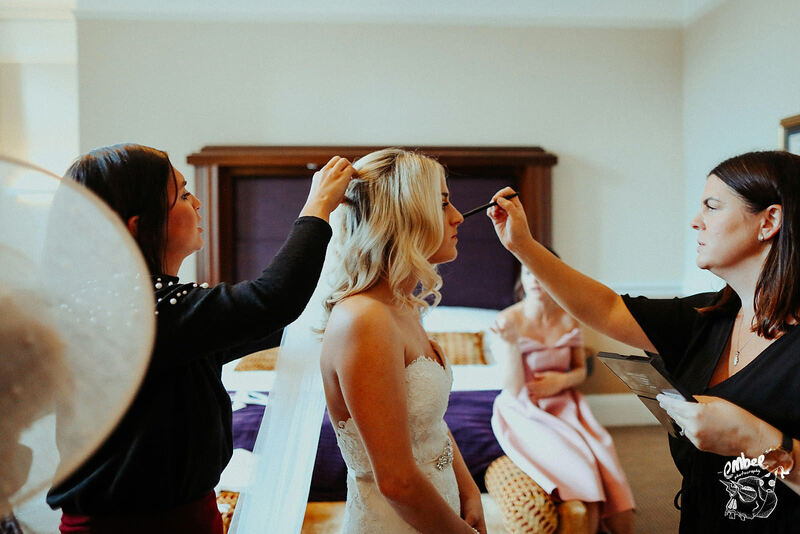 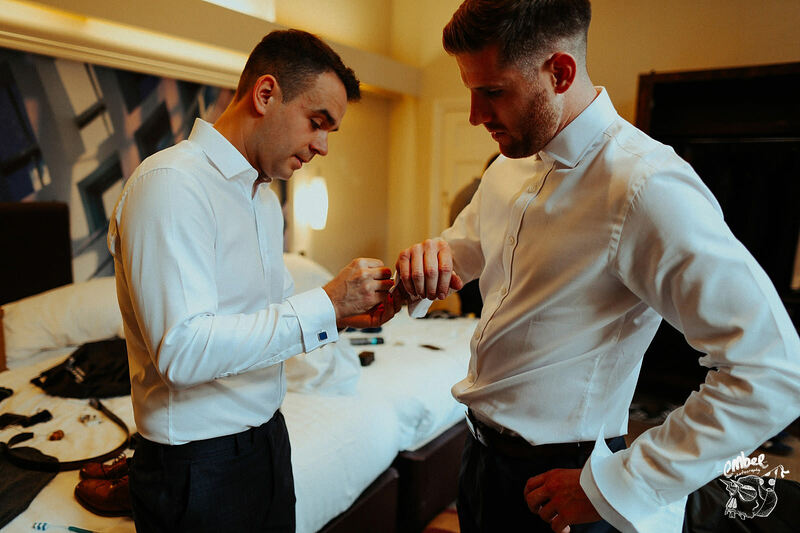 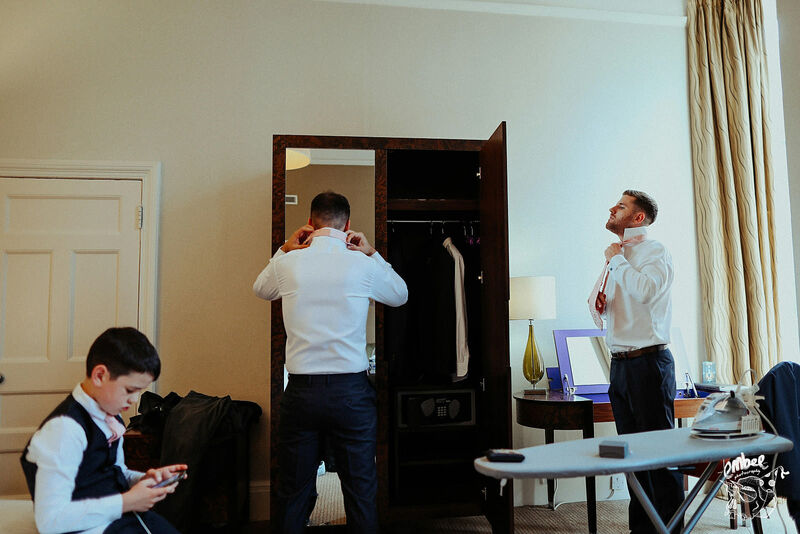 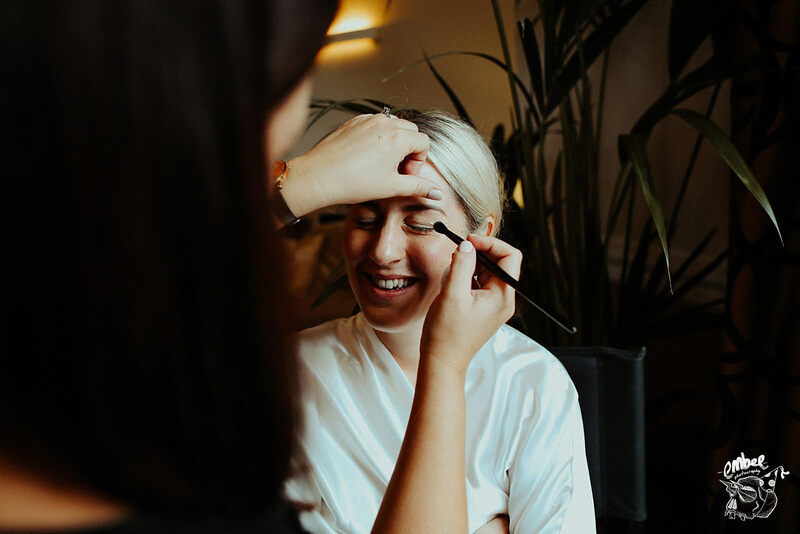 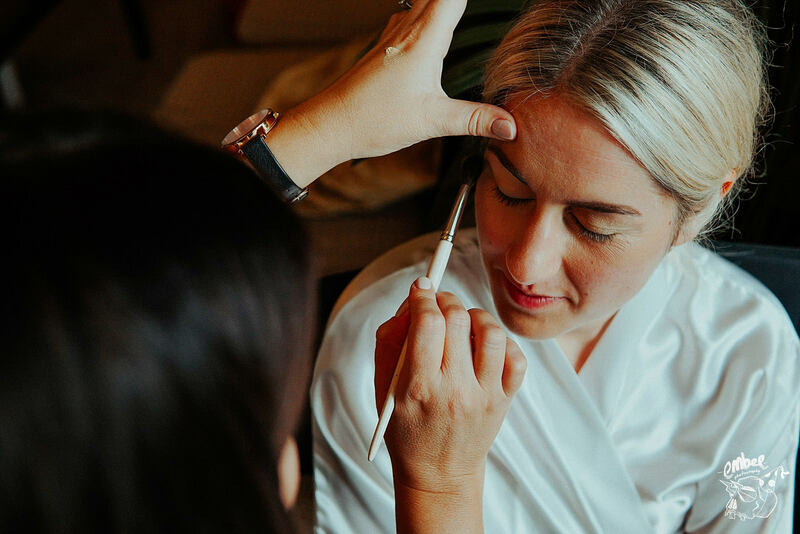 Rachael & Howard decided to both get ready at The Midland Hotel, which made is super easy for me to capture both of their mornings whilst they eagerly awaited to say ‘I do’. 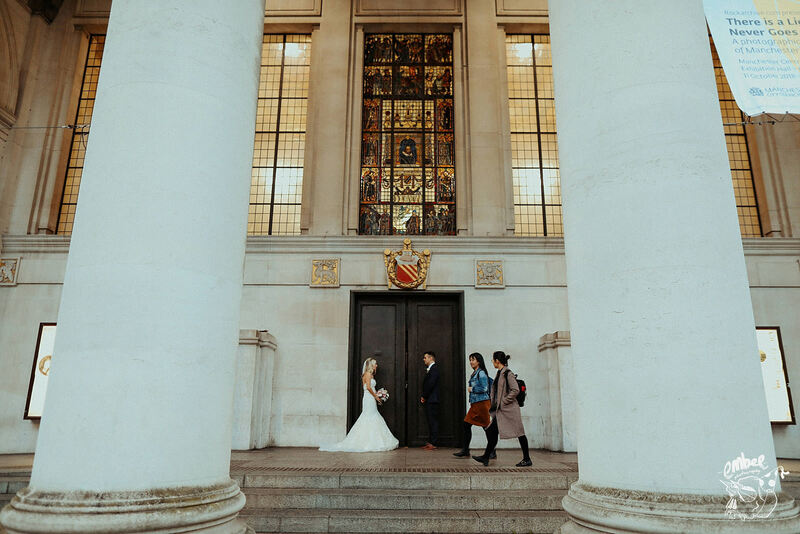 Being in one place meant I was able to photograph all the goings on with out missing a moment at this magnificent city wedding venue. 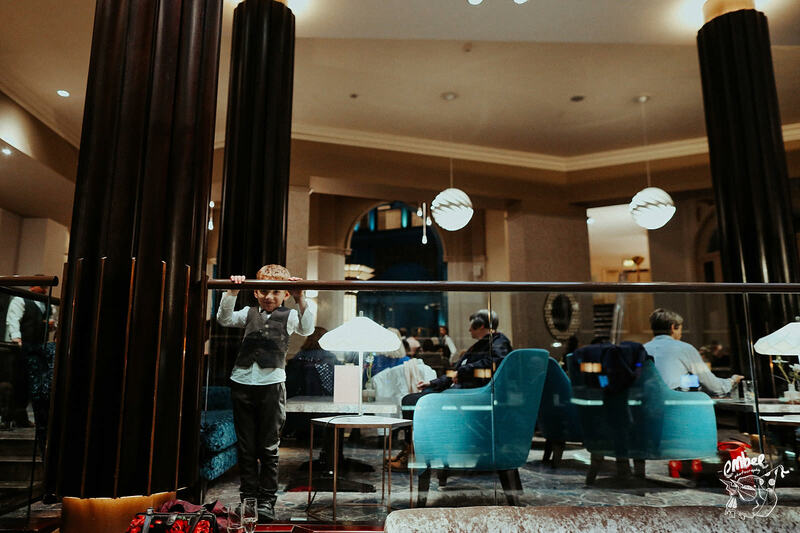 This place is incredibly large, I actually got lost trying to locate my way down to the lobby area. 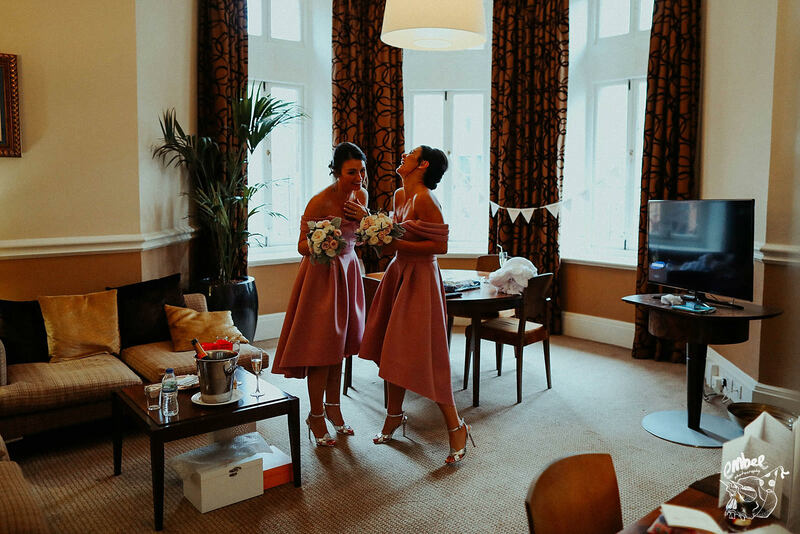 The rooms in which these two got ready in were very big and spacious, making it easier to for me to get lots of different angles throughout my morning of photographing. 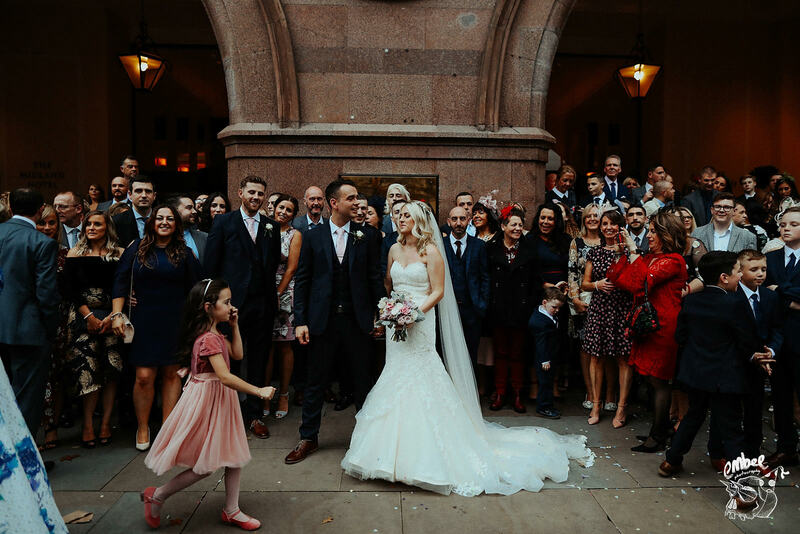 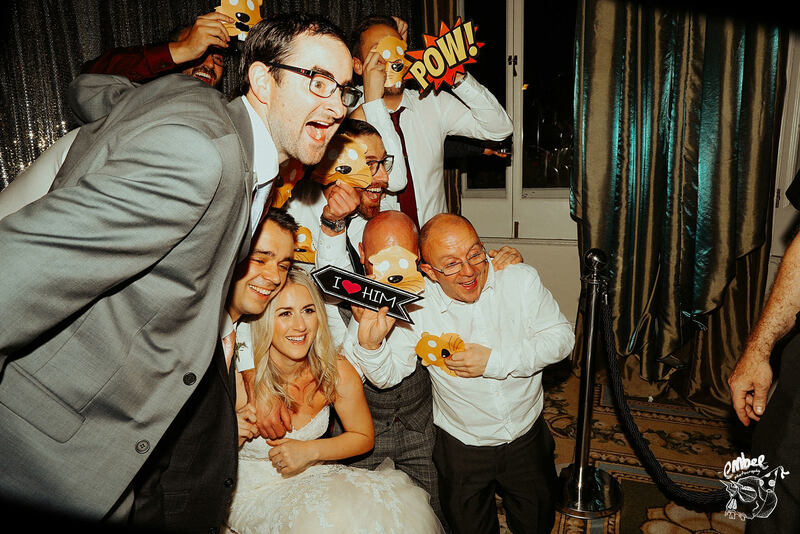 Rachael & Howard had a brilliant day celebrating with their family and friends. 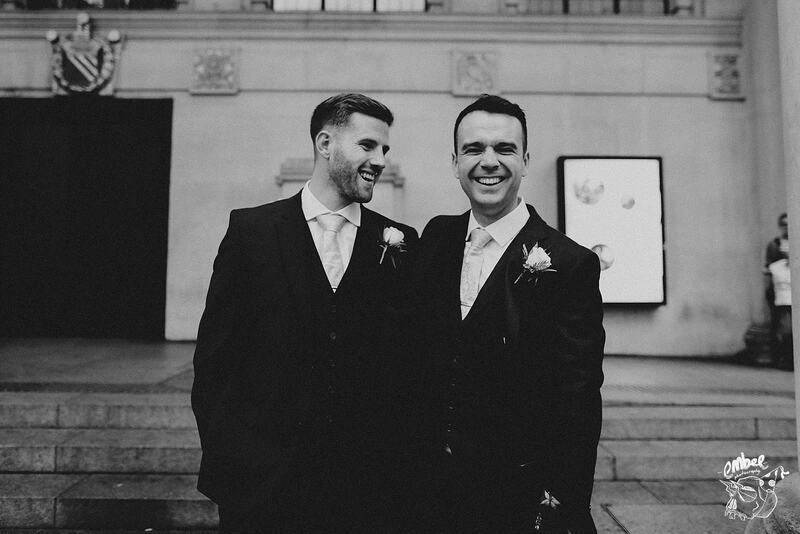 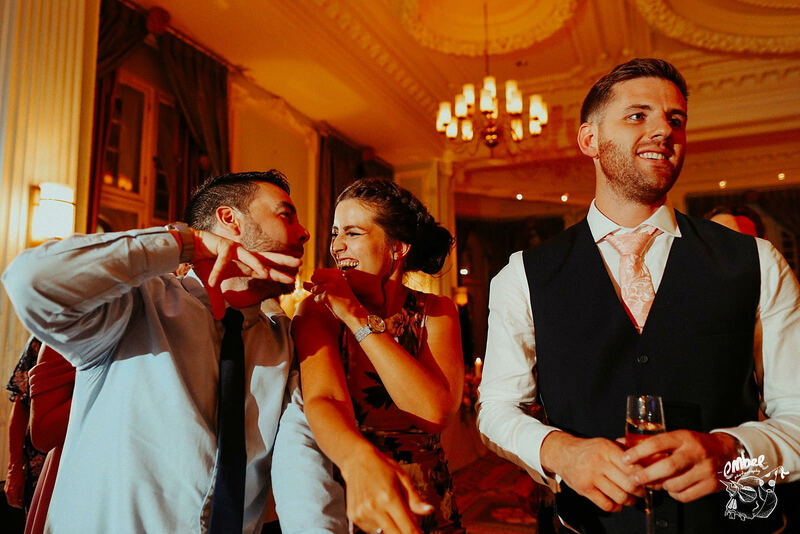 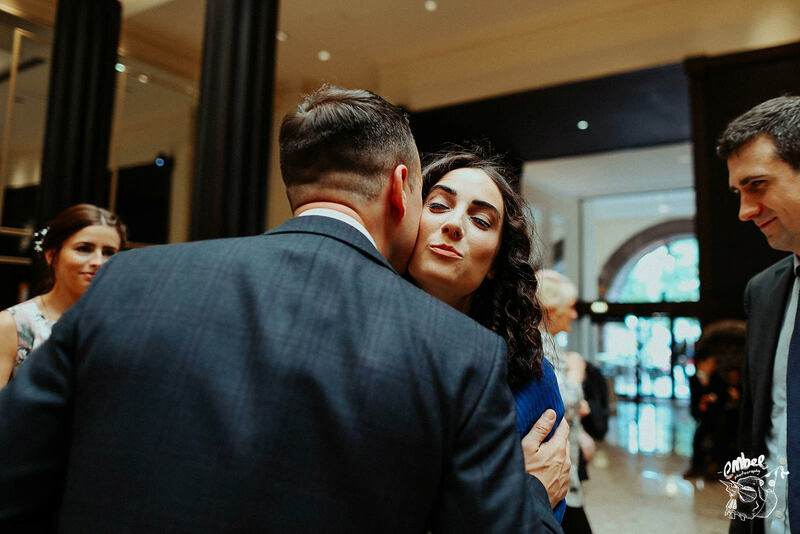 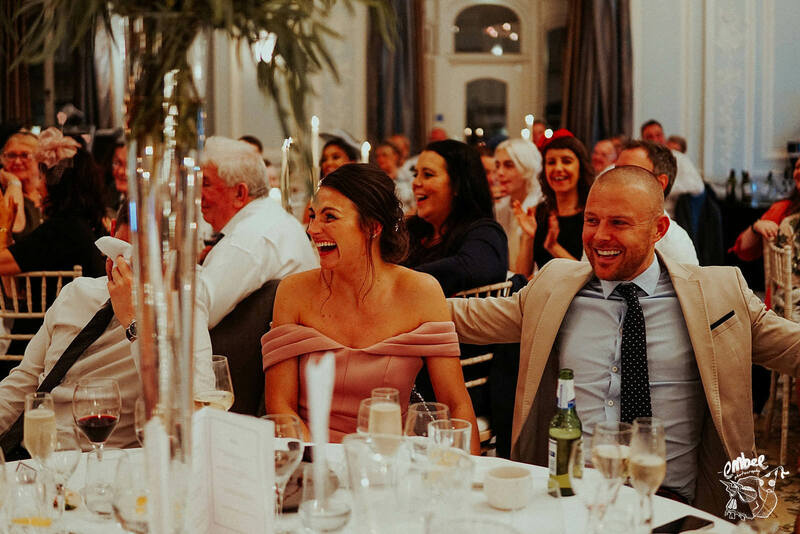 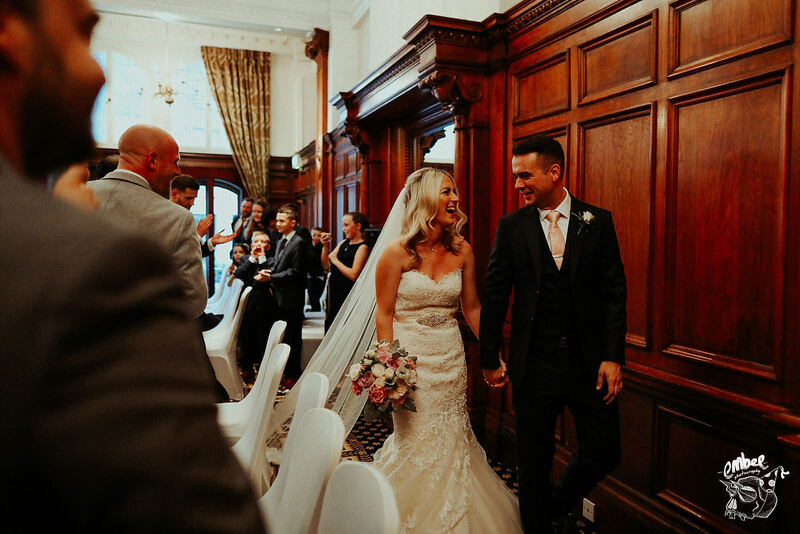 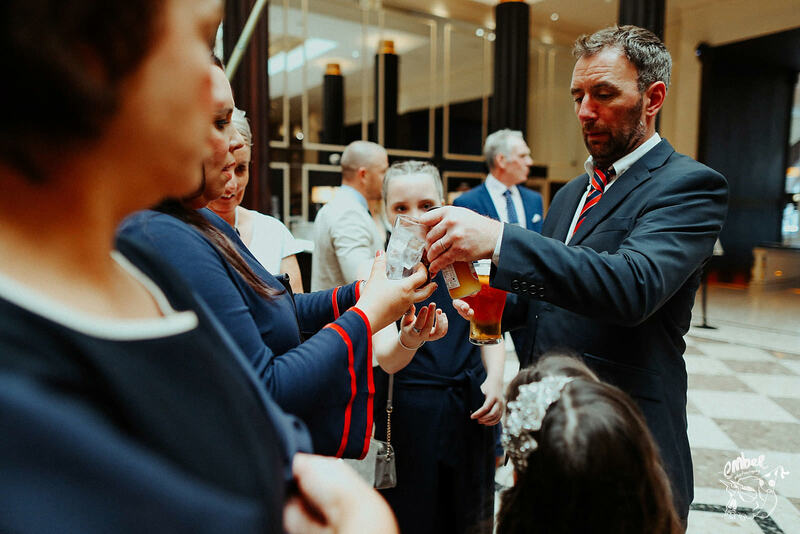 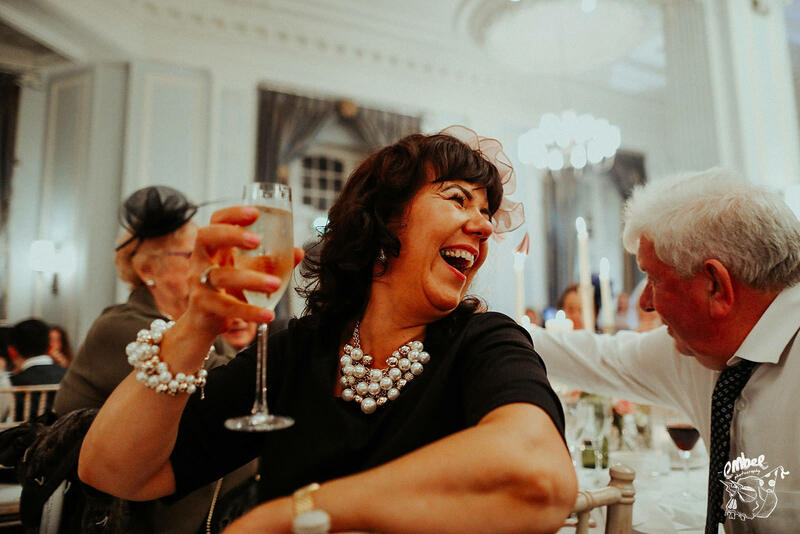 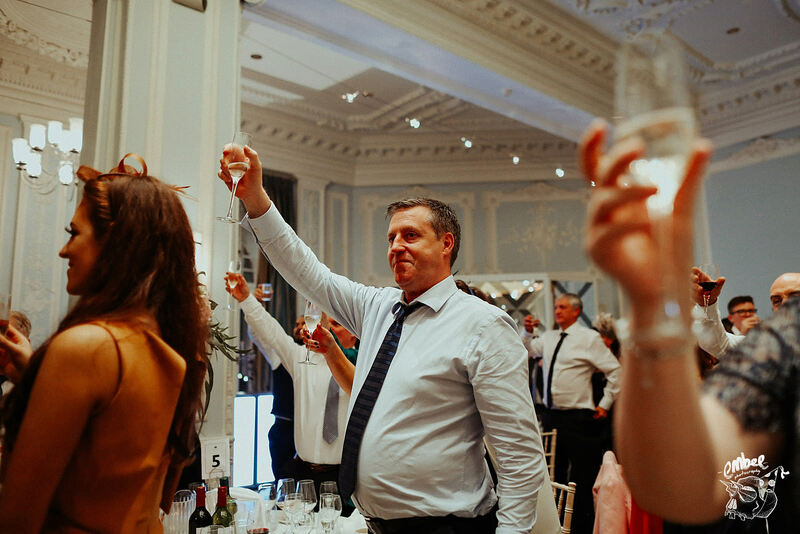 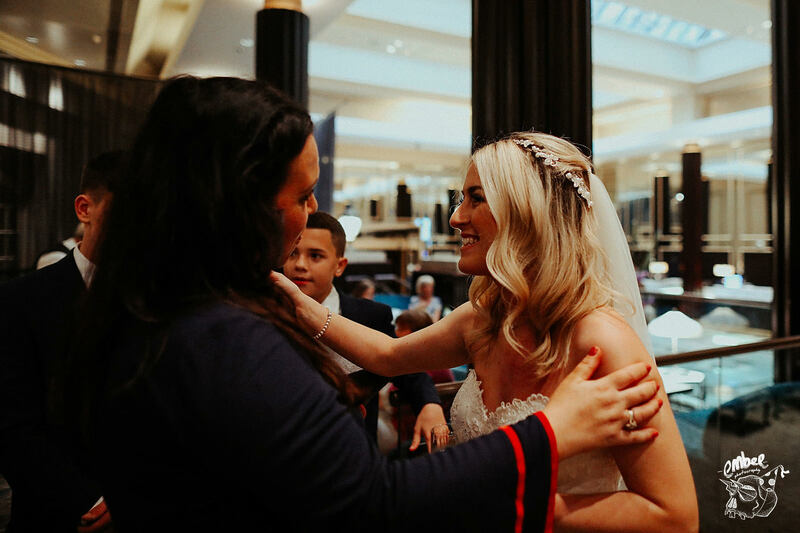 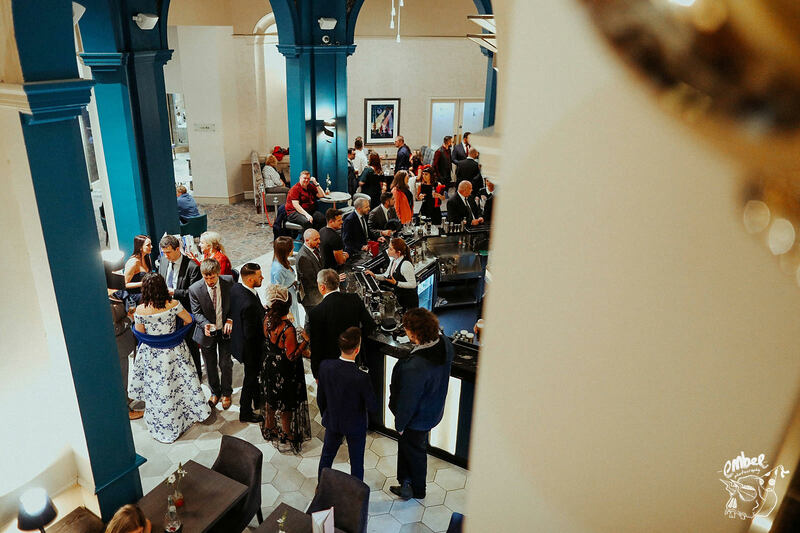 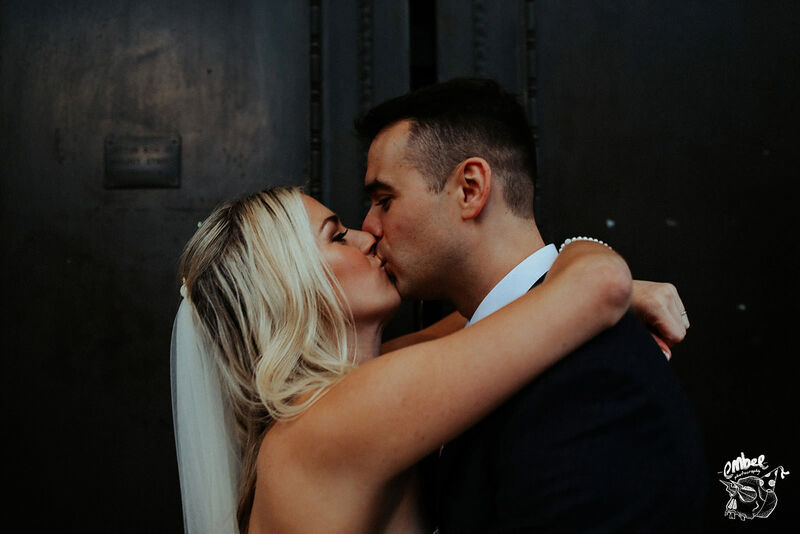 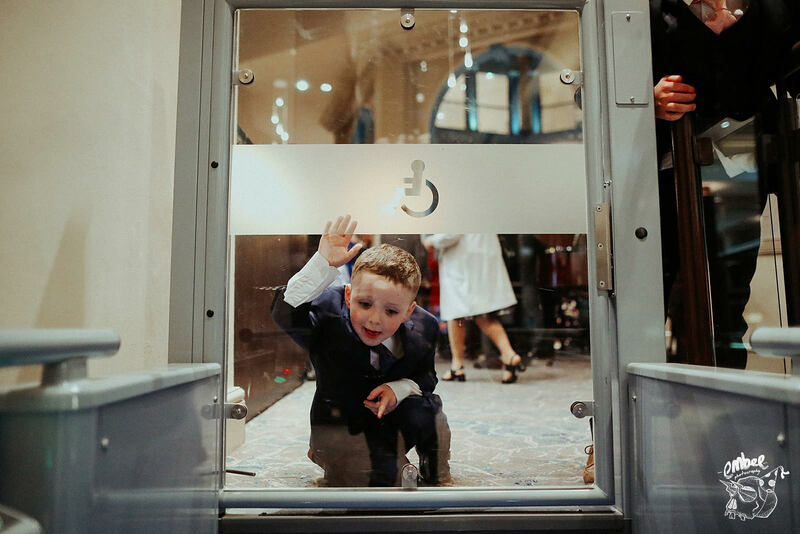 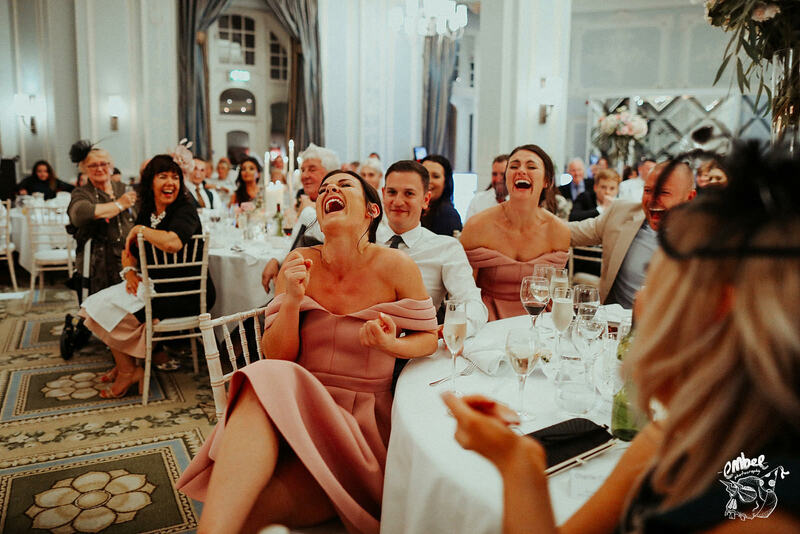 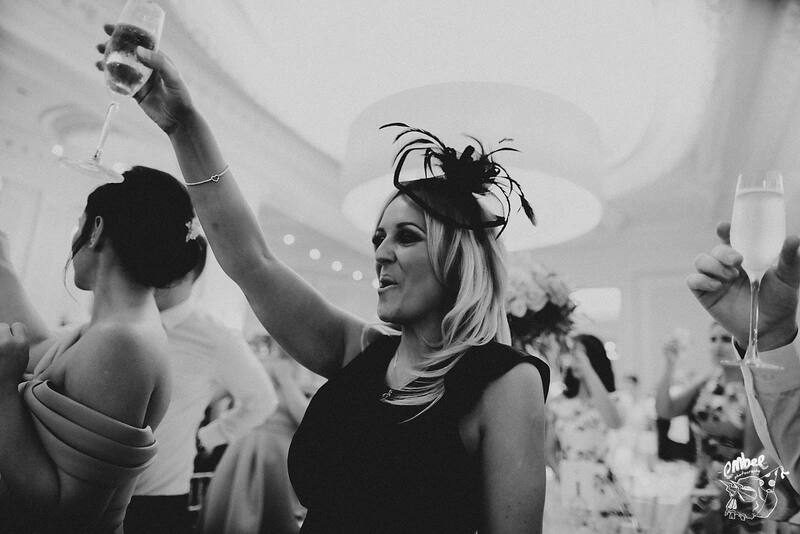 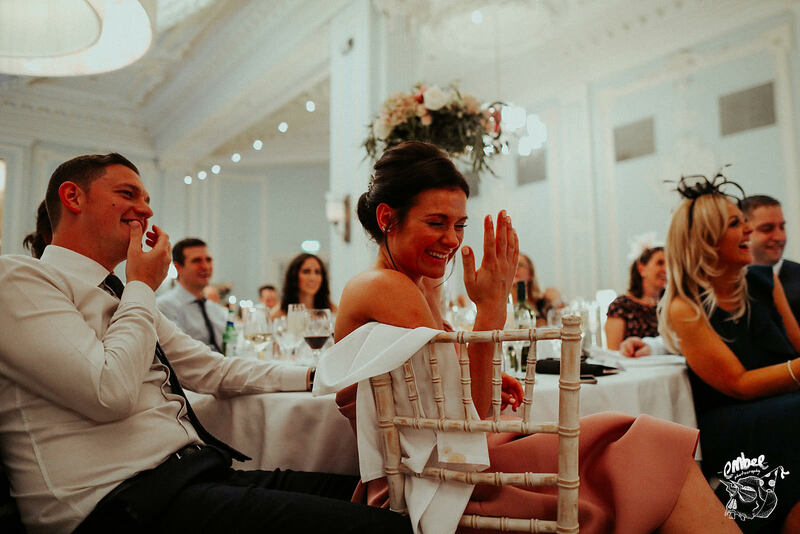 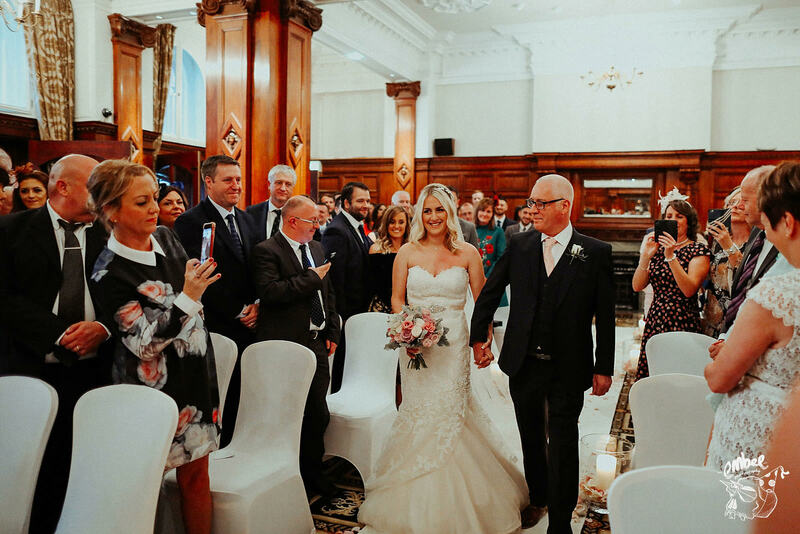 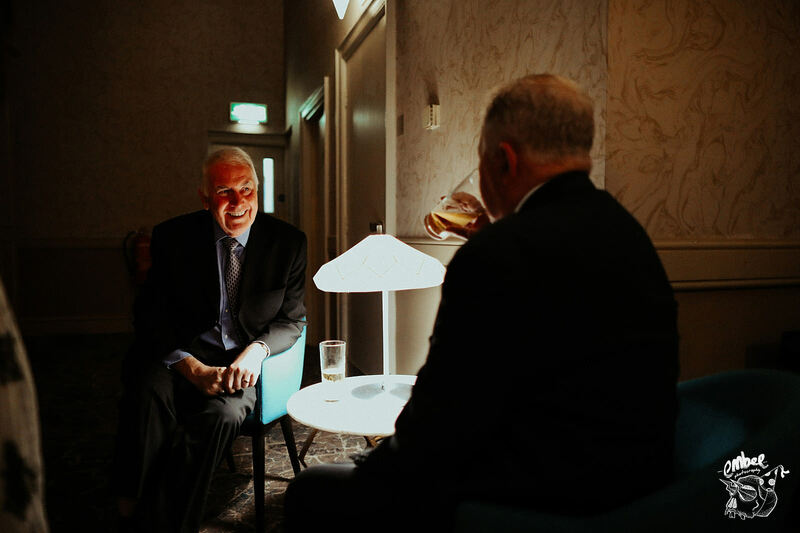 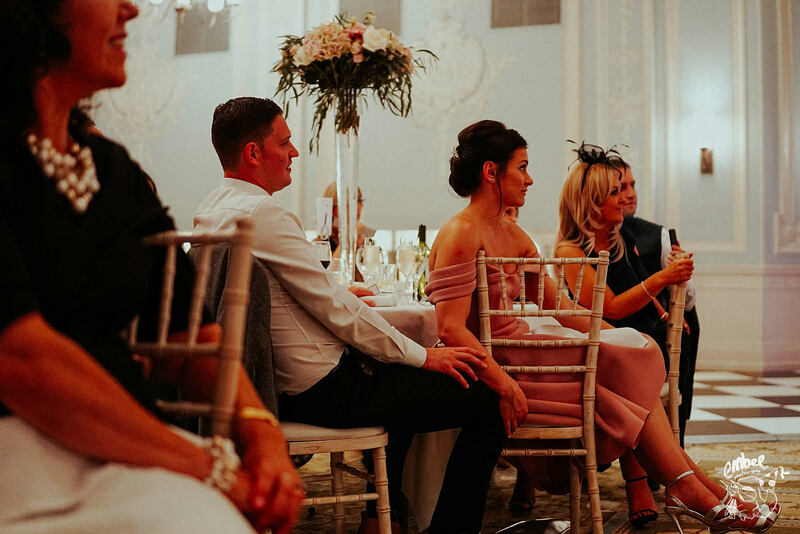 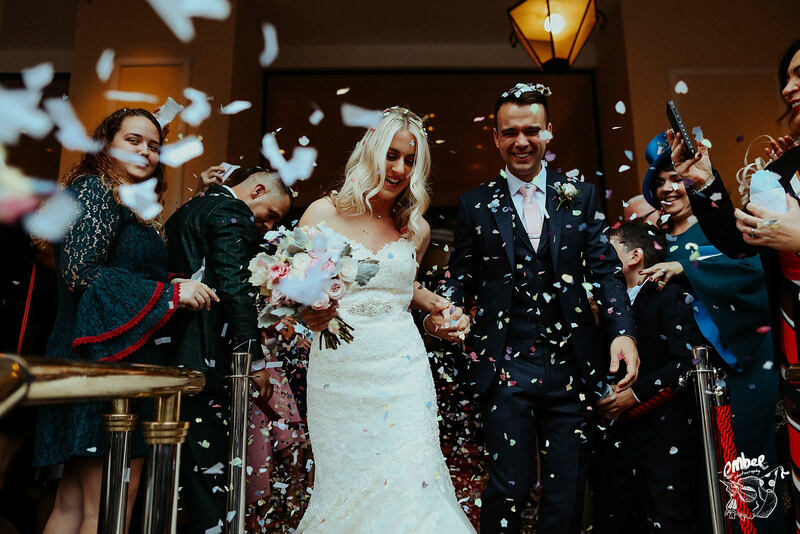 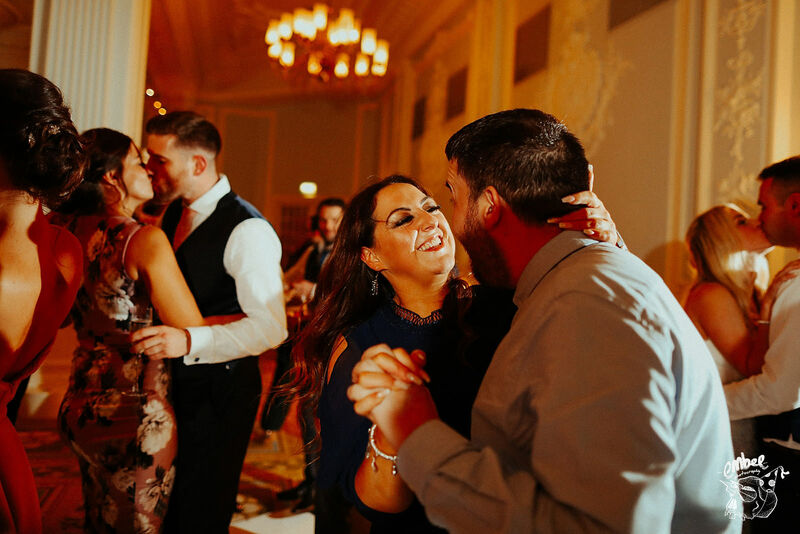 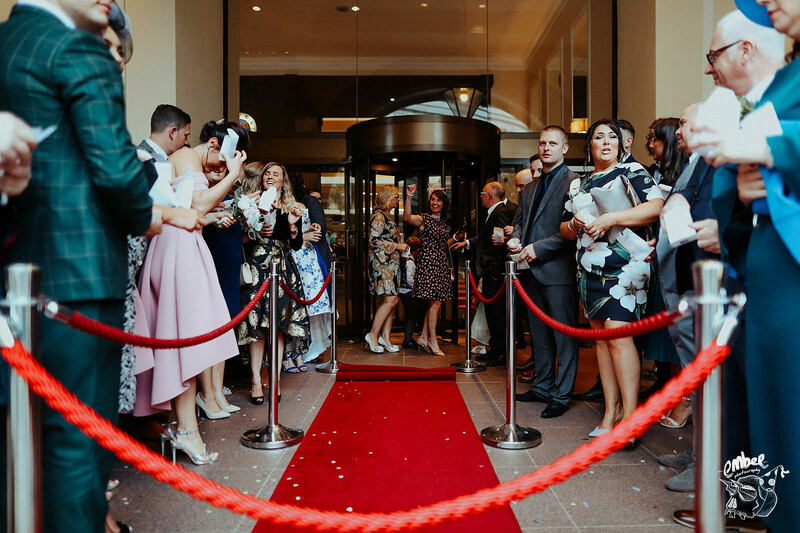 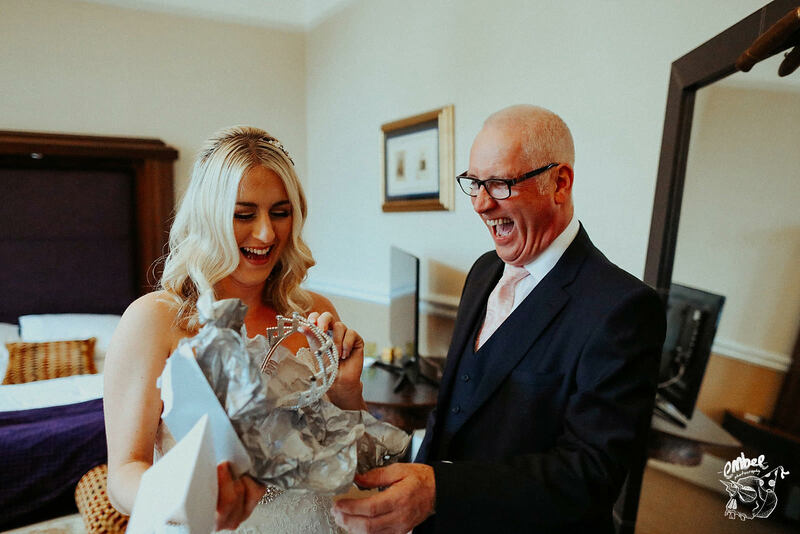 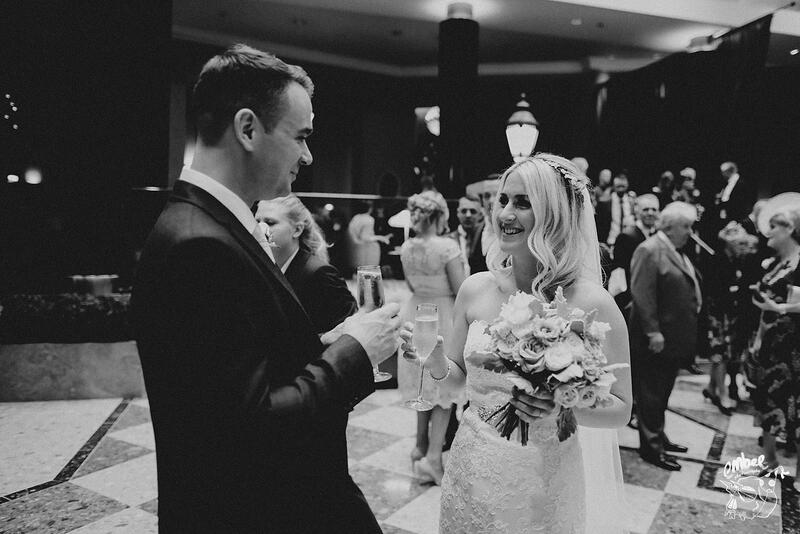 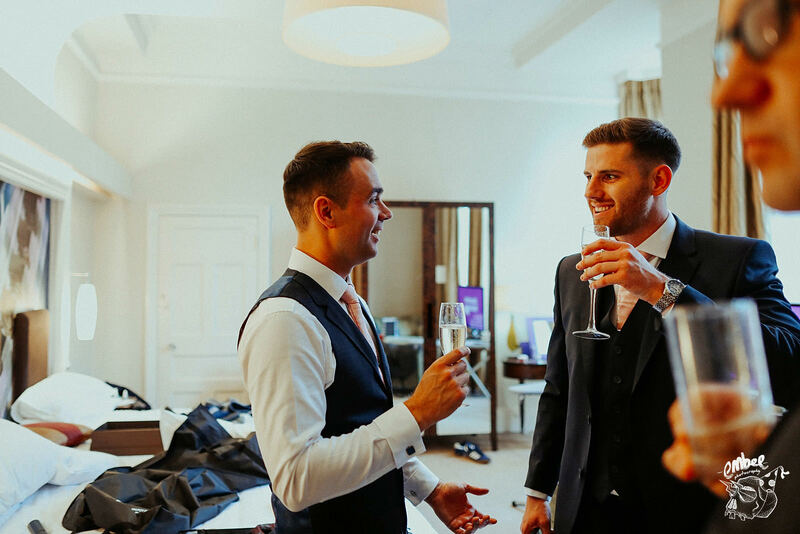 Getting married and having their reception at The Midland Hotel meant they could spend more time with their guests and thus creating more opportunities for me to capture all the natural photographs of every one enjoying themselves. 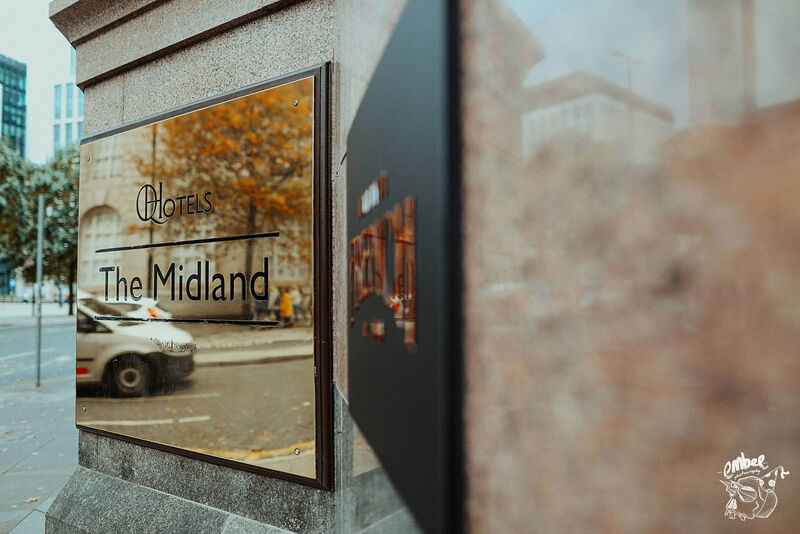 The Midland offered ample space for me to get around all the guests and get on with trying to capture all the many creative opportunities that were available to me. 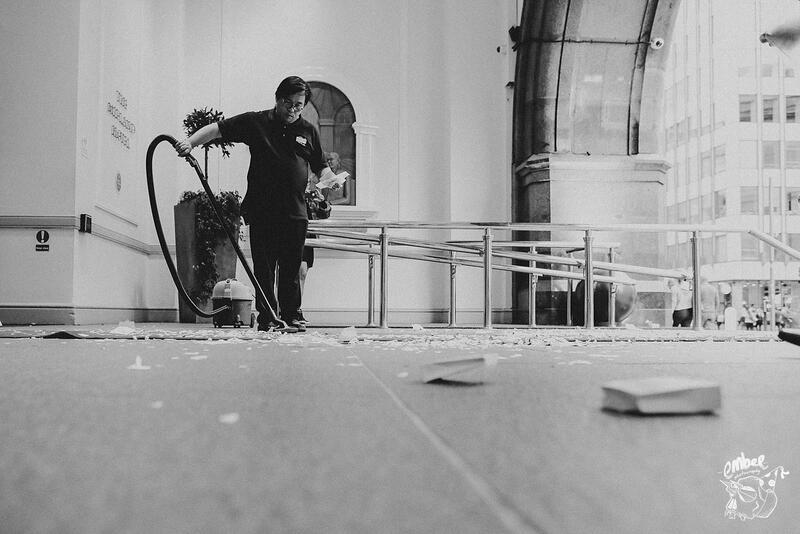 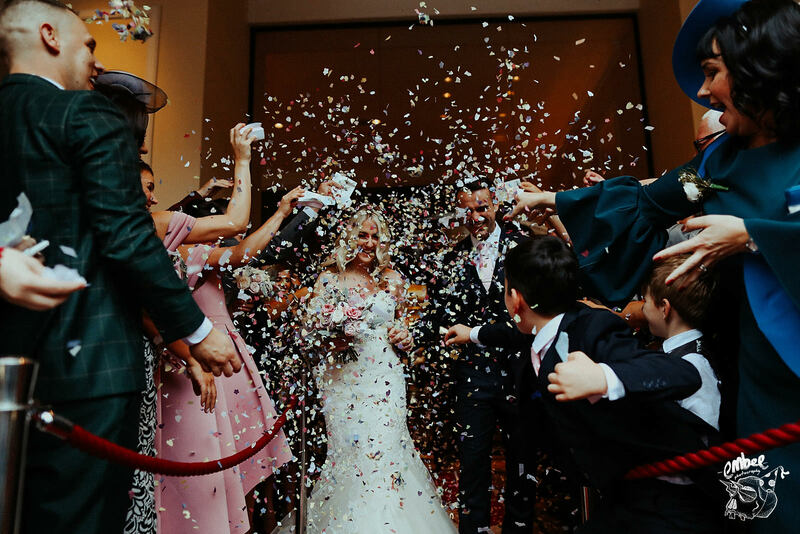 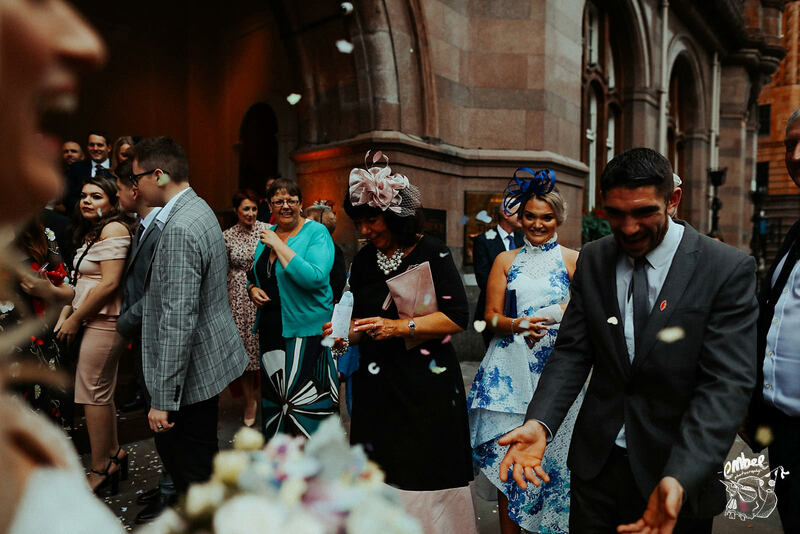 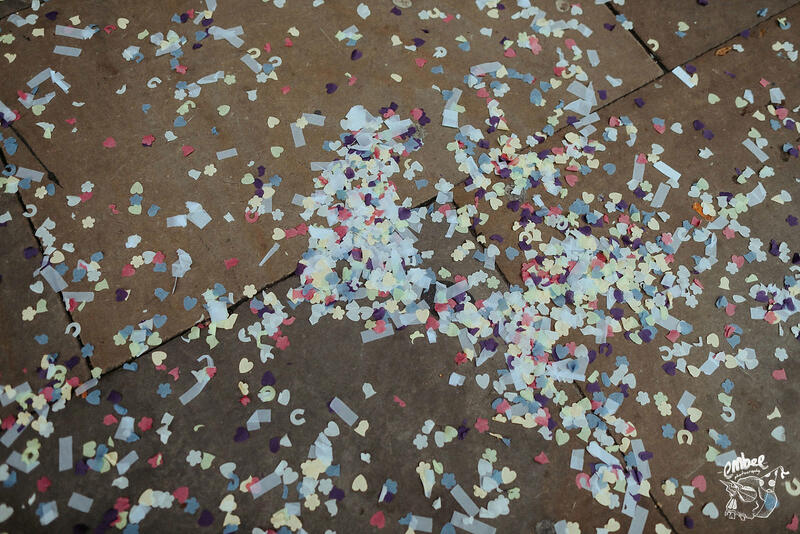 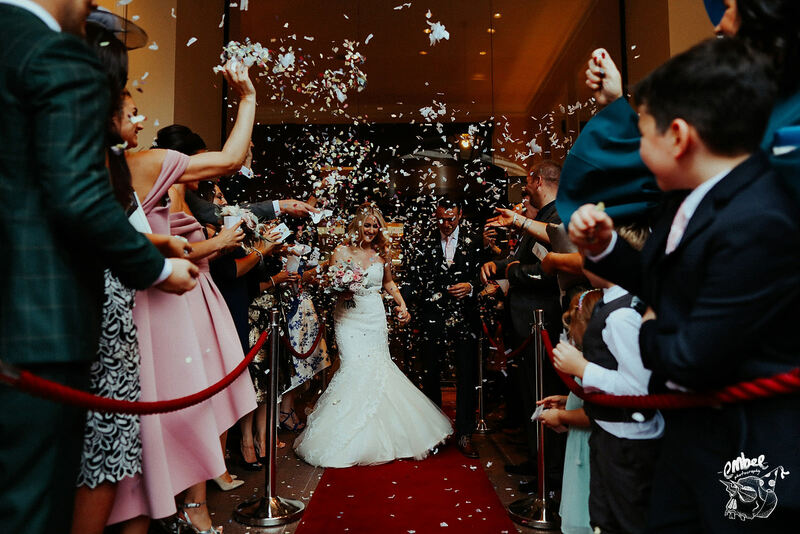 The staff were extremely helpful and also helped me to organise people to get an awesome confetti shot of Rachael & Howard. 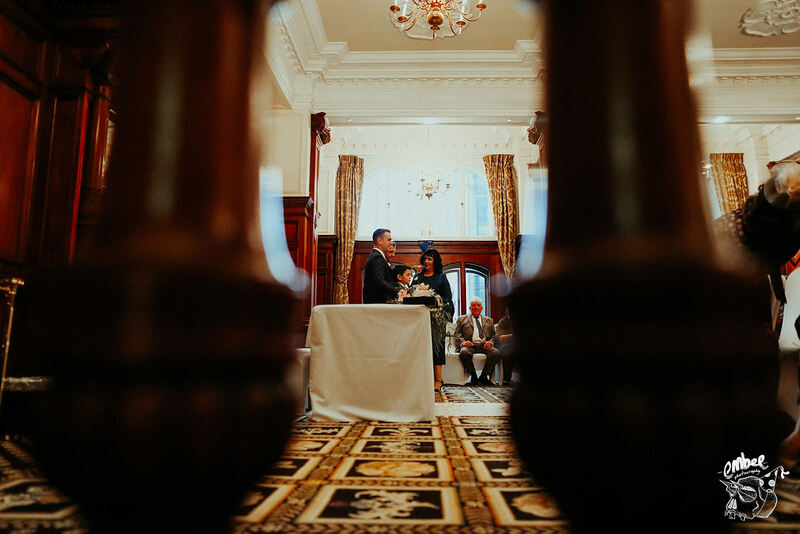 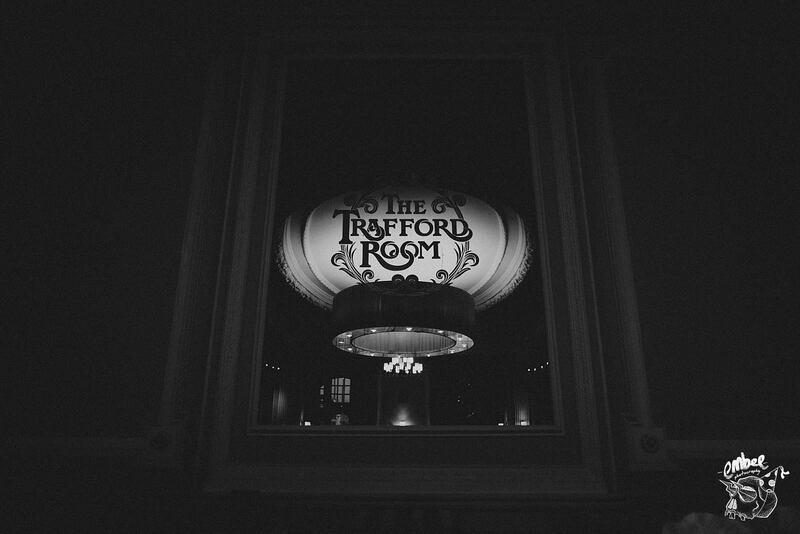 I thoroughly enjoyed my day at The Midland Hotel for some wedding photography! 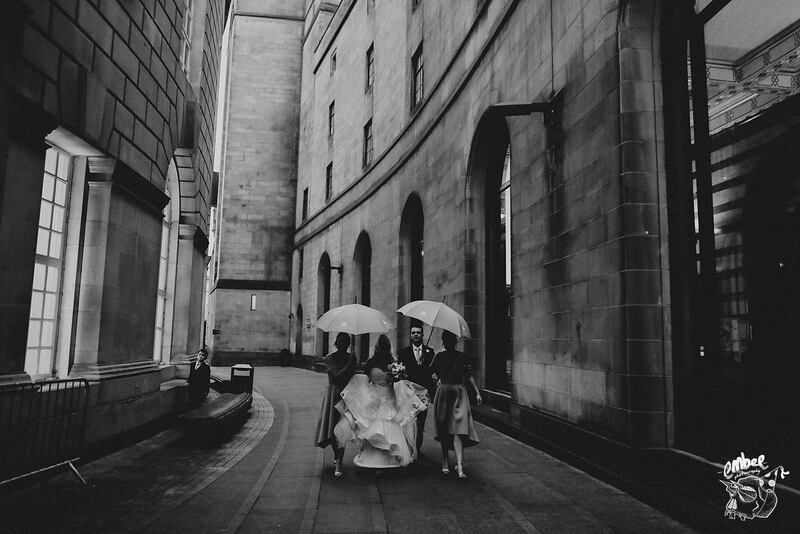 I got some really cool pictures of these two using the urban landscape of Manchester city centre. 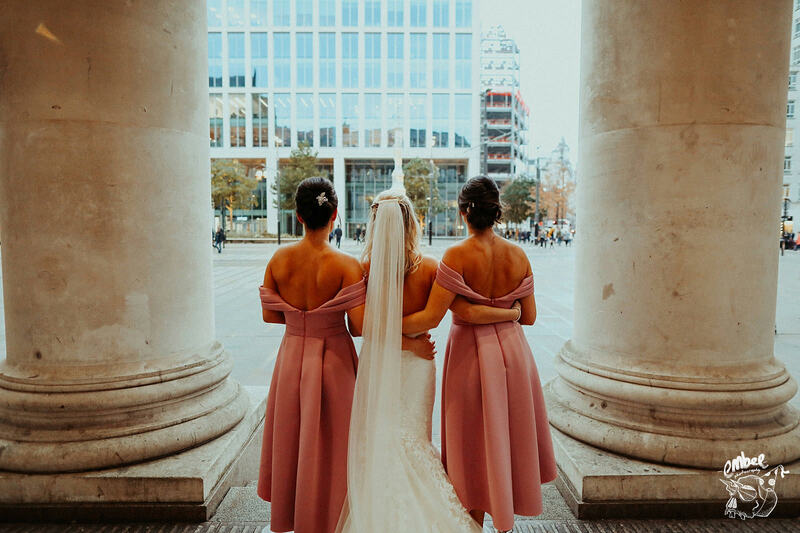 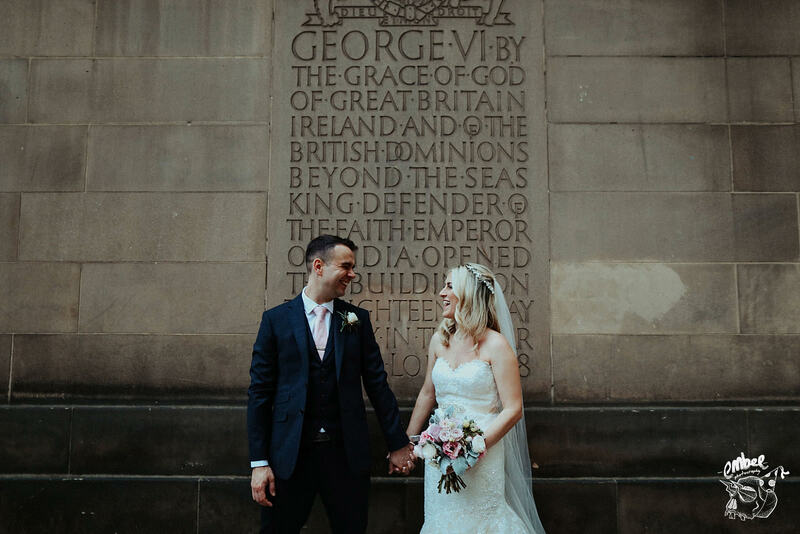 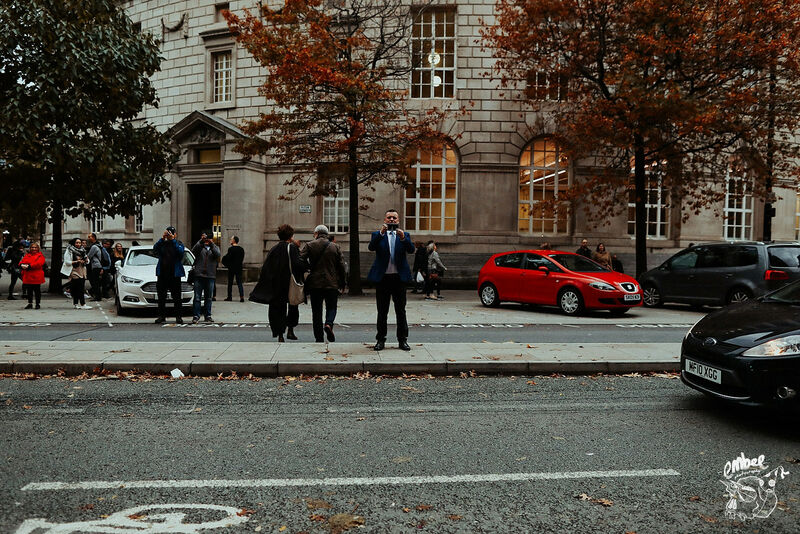 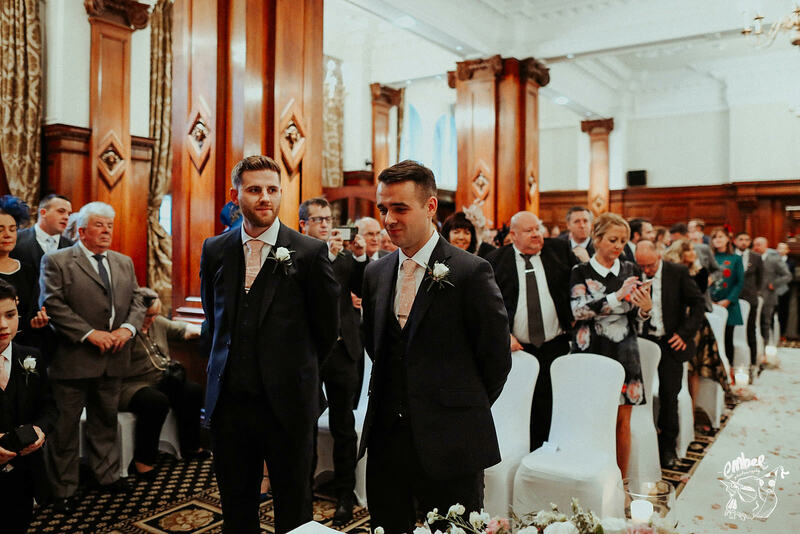 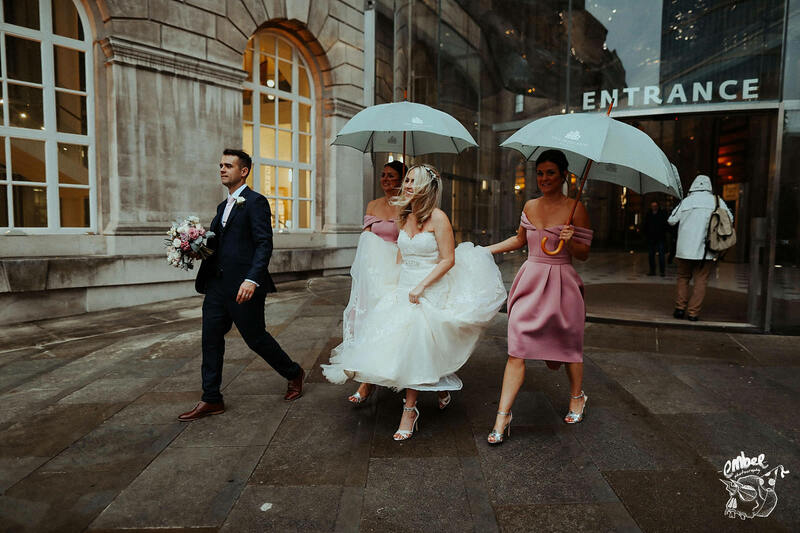 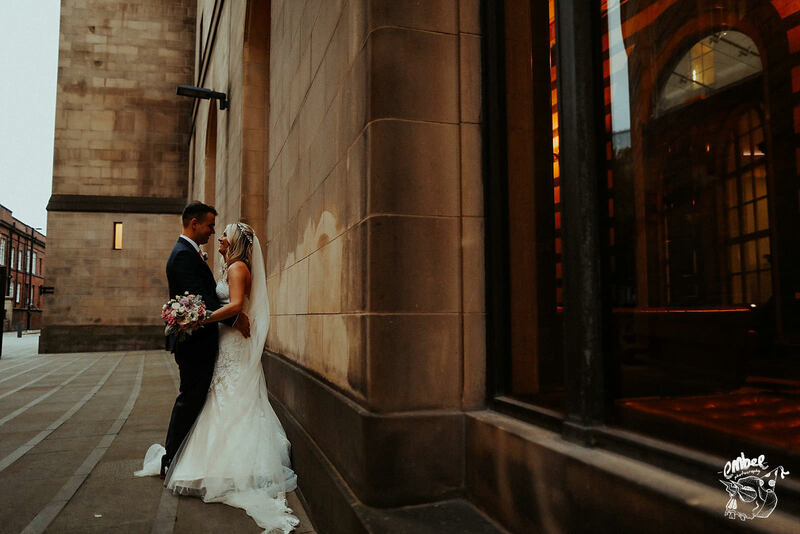 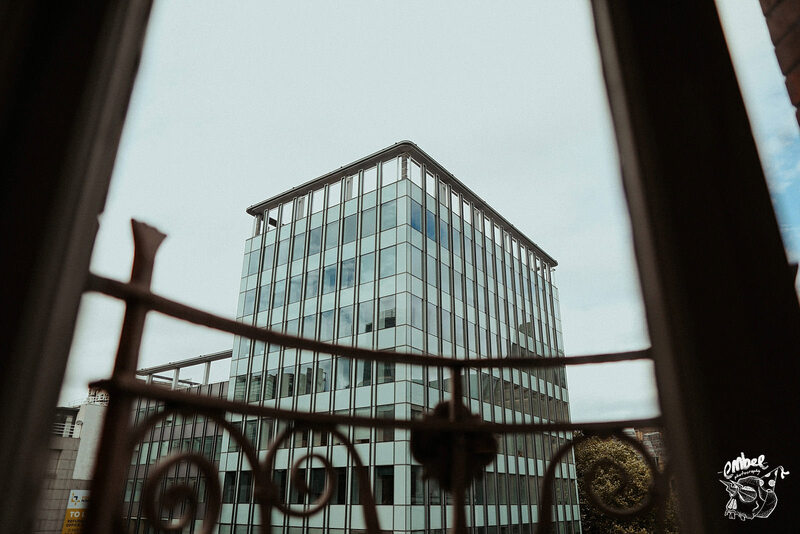 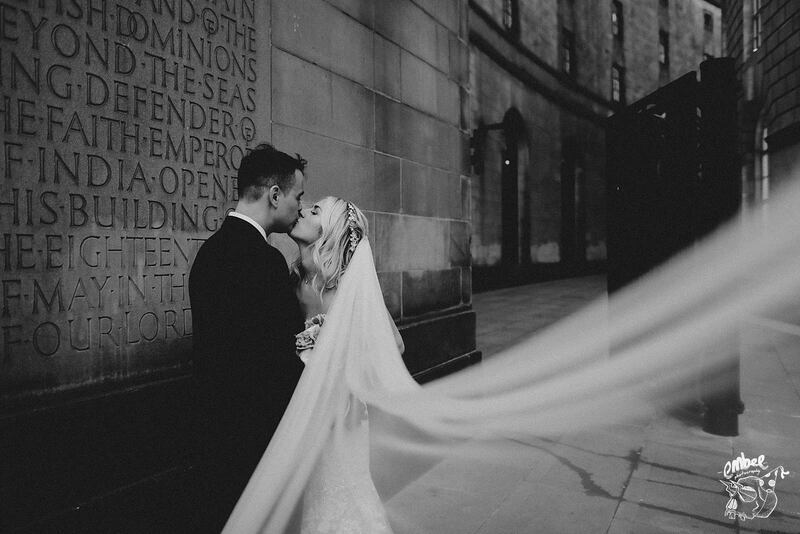 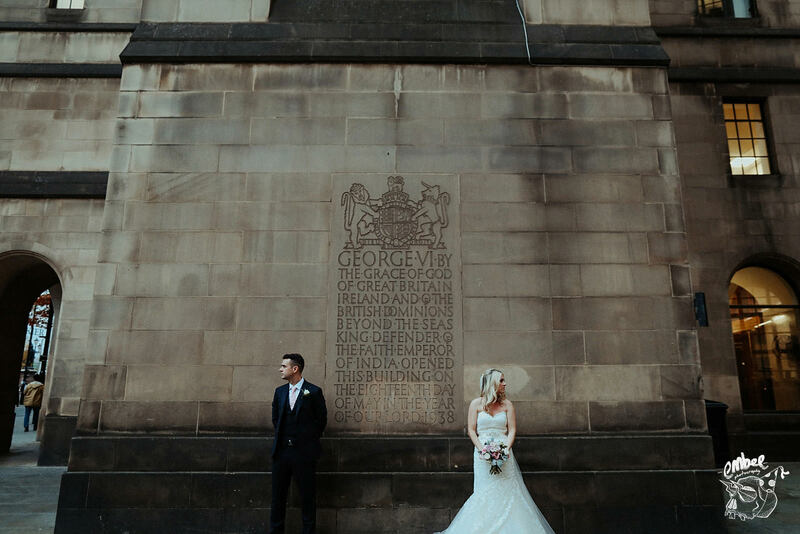 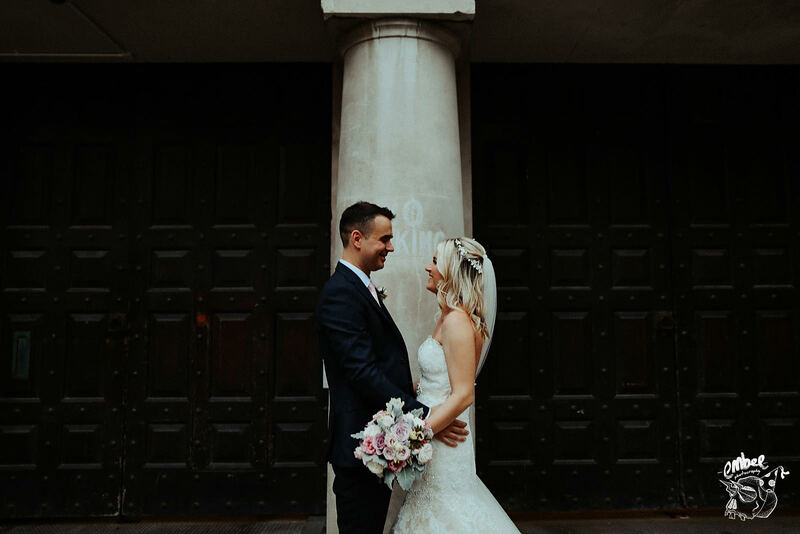 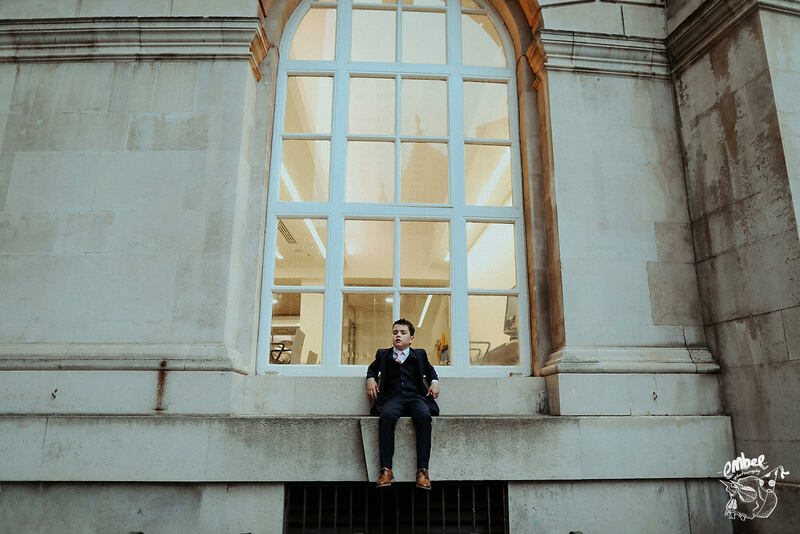 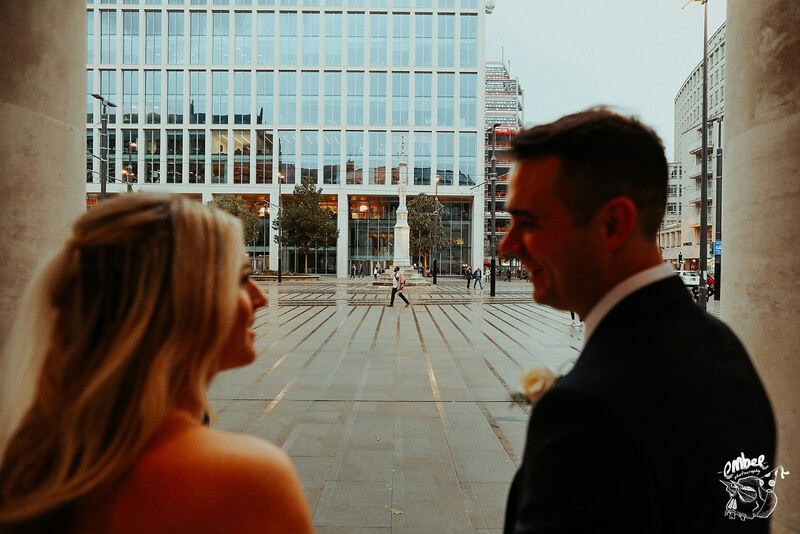 Straight after the ceremony, we headed off around Greater Manchester County Record Office to utilise the architecture of this iconic mancunian structure. 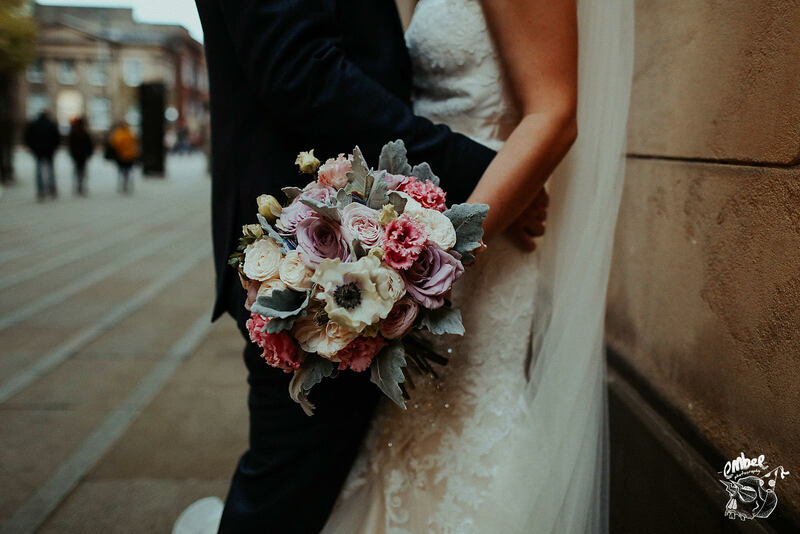 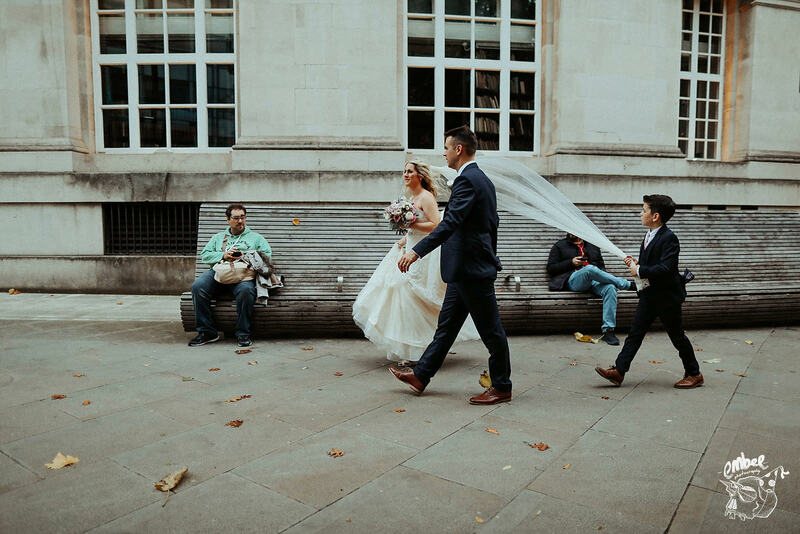 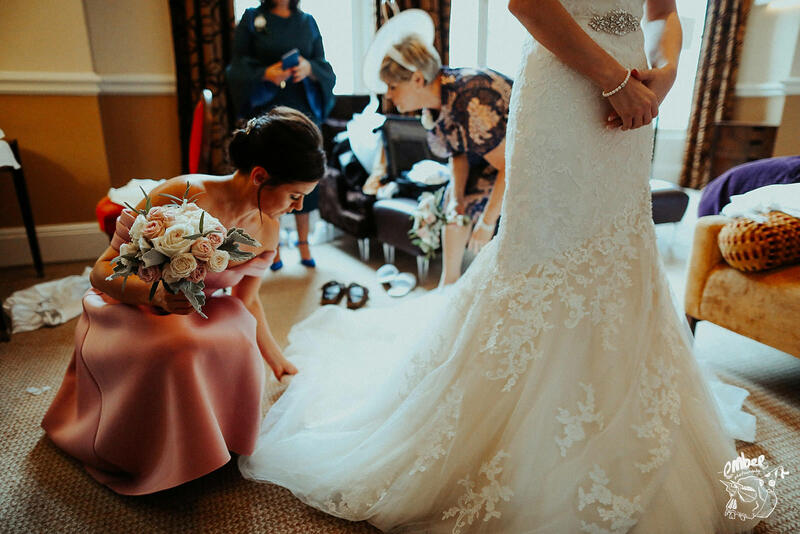 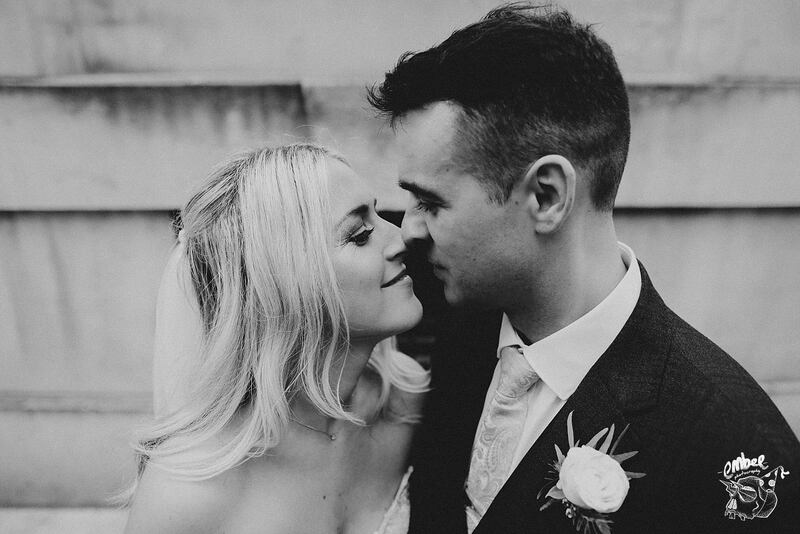 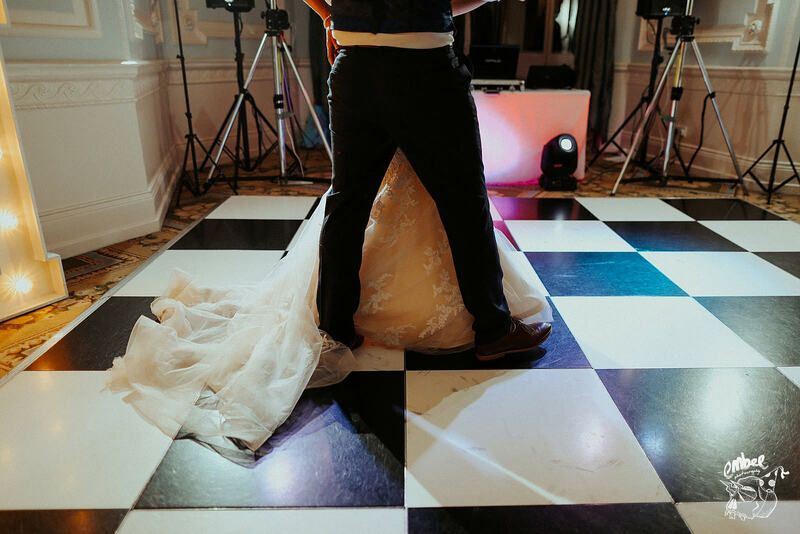 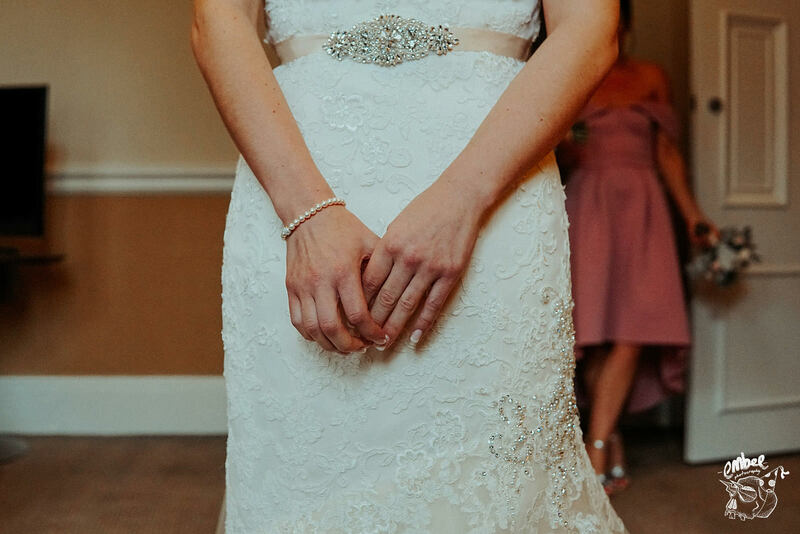 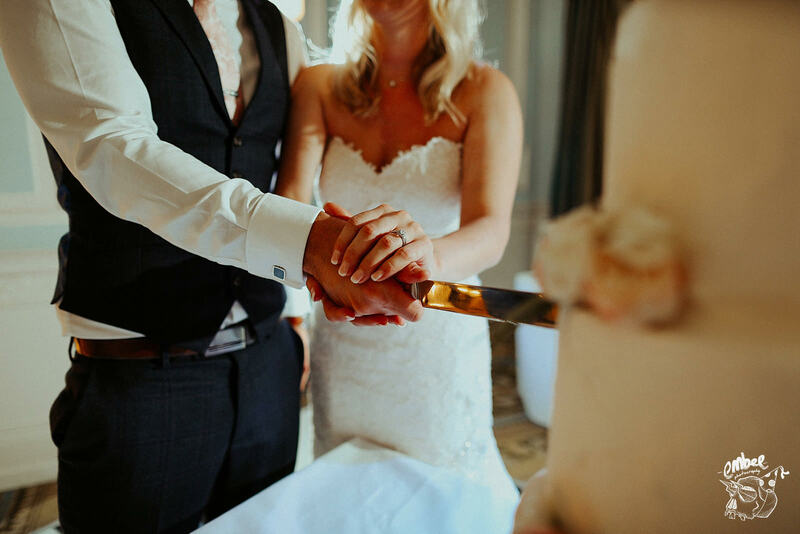 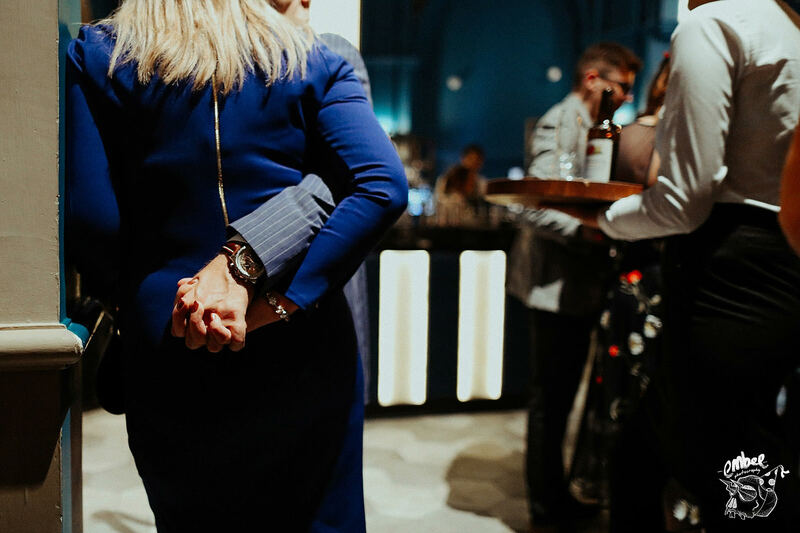 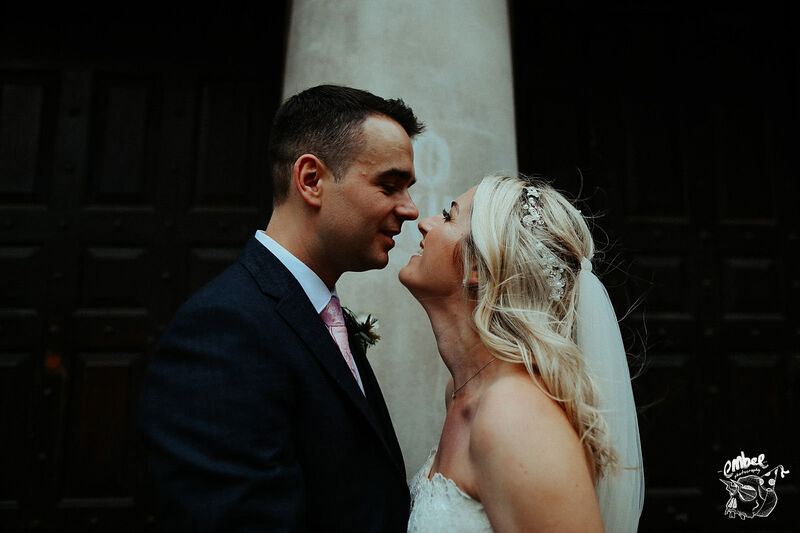 As part of my work, I always like to try and get different angles or styles than other photographers, providing a unique view for my couples so that they may appreciate an alternative style to my wedding photography. 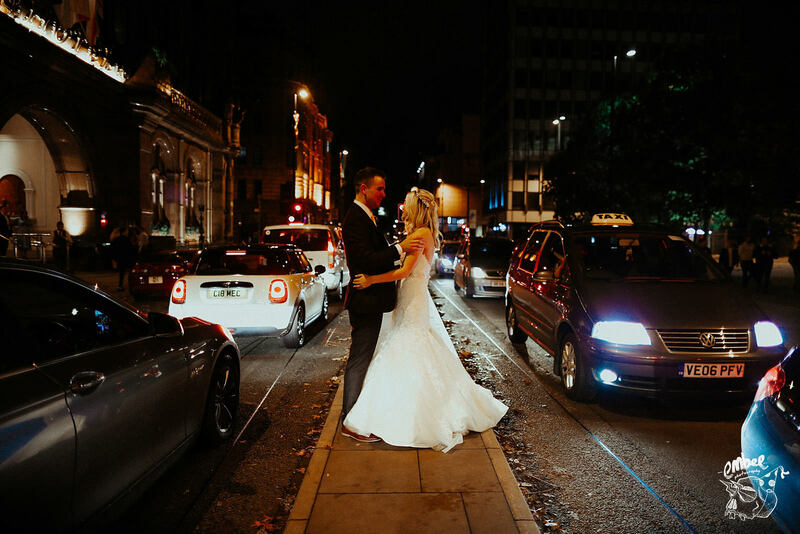 I also really enjoyed using the tram station just over the way from the venue at night. 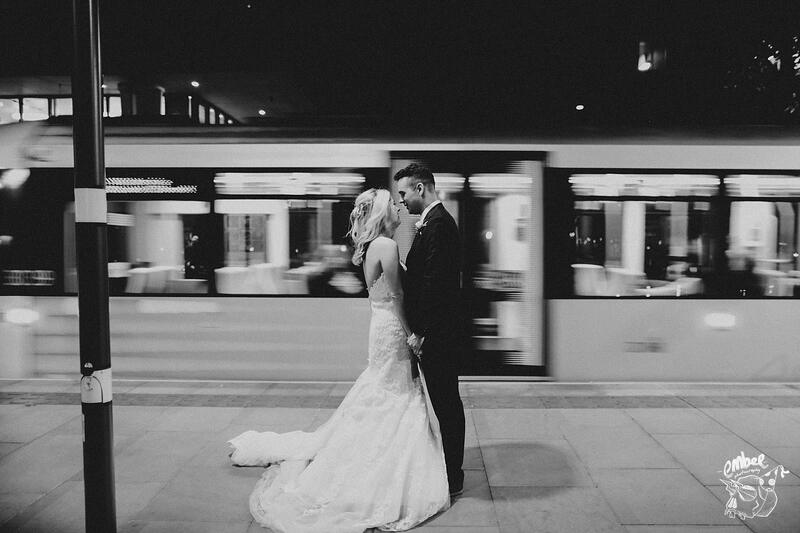 I was able to capture a brilliant shot of Rachael & Howard infront of a moving tram, where I slowed my shutter down on my camera to capture a blurred movement for the background. 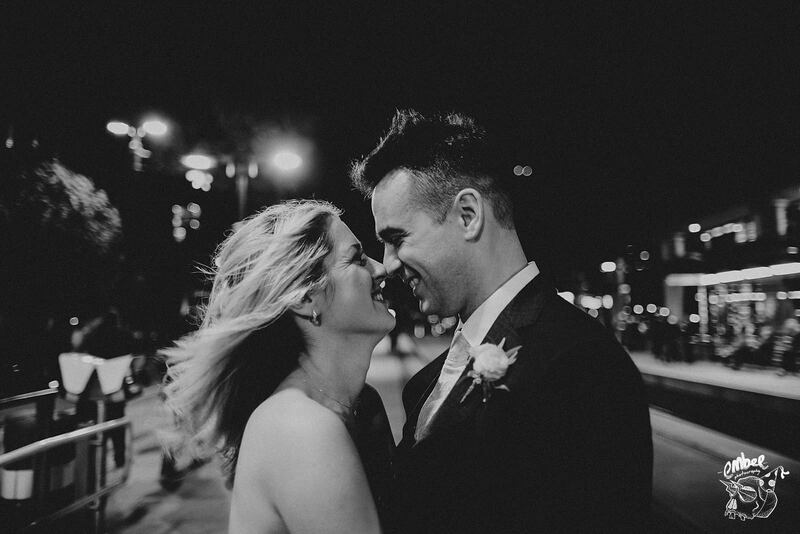 The photos from this time at night are some of my favourite from their day. 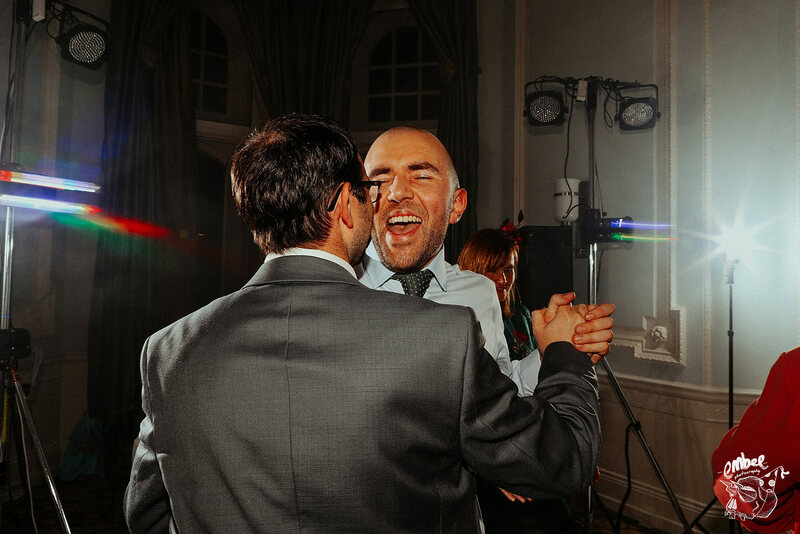 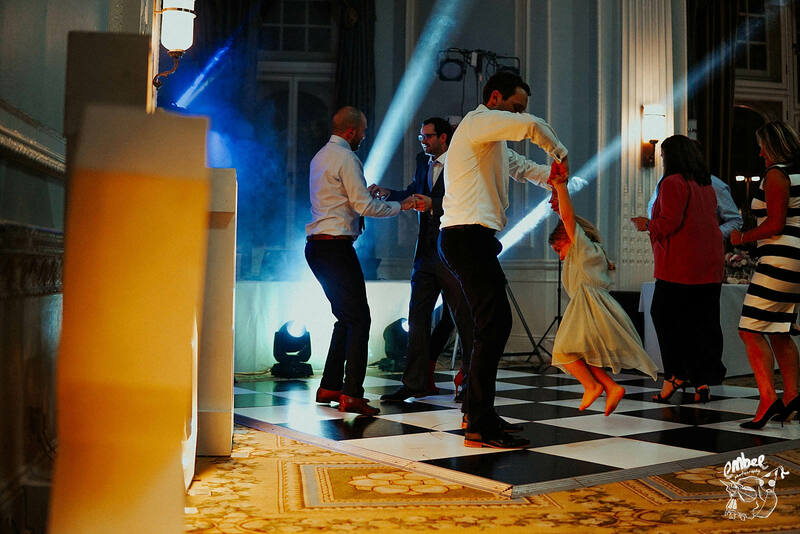 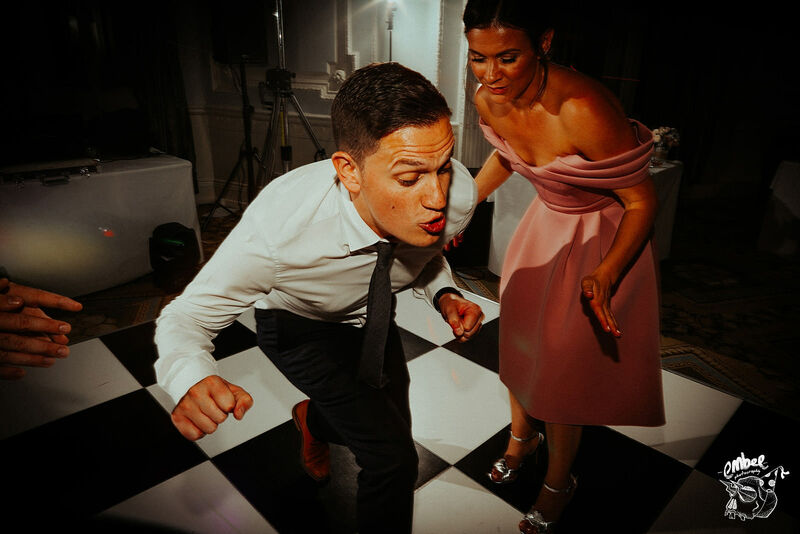 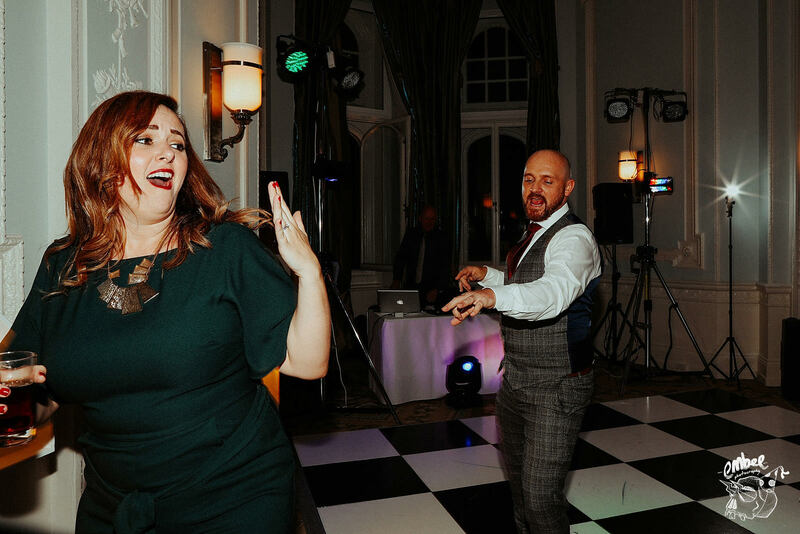 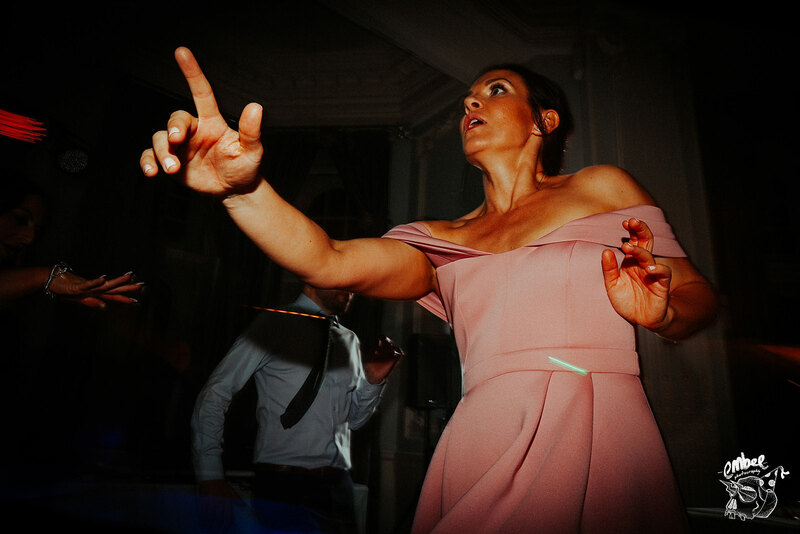 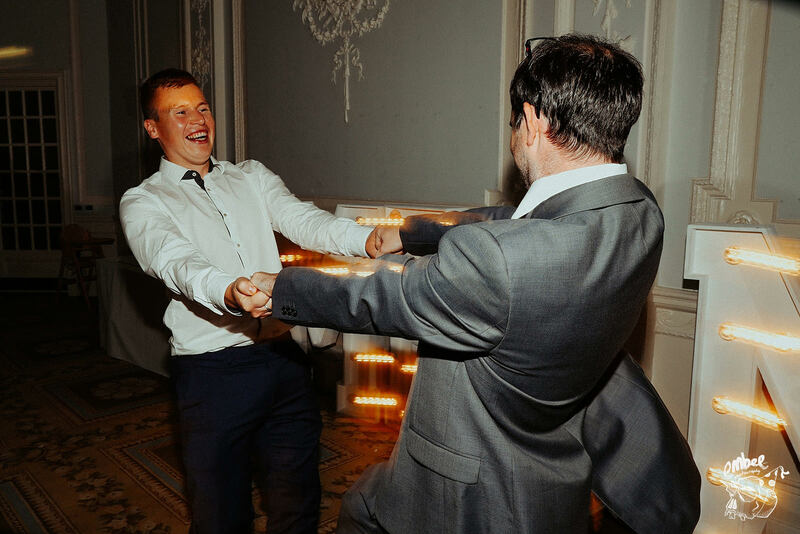 I also got some fantastic moments of the evening, the dance floor was on fire! 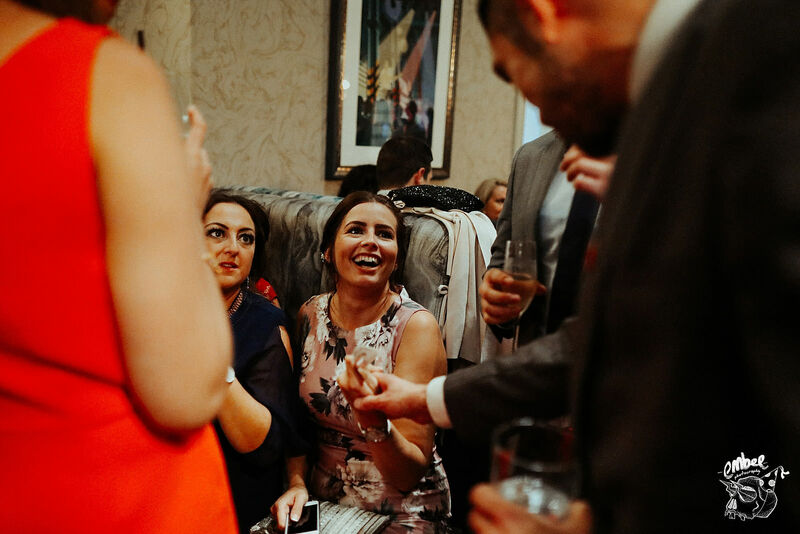 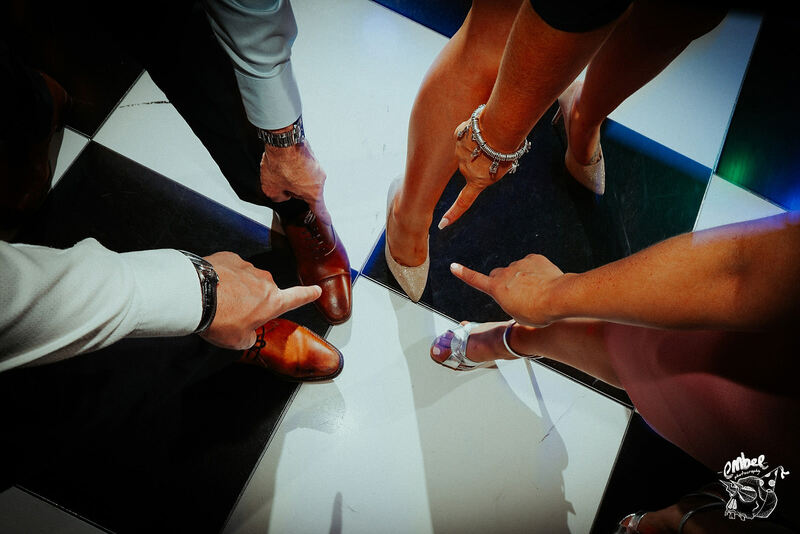 All of the guests were up for a party and so many people were enjoying themselves, be sure to check them out. 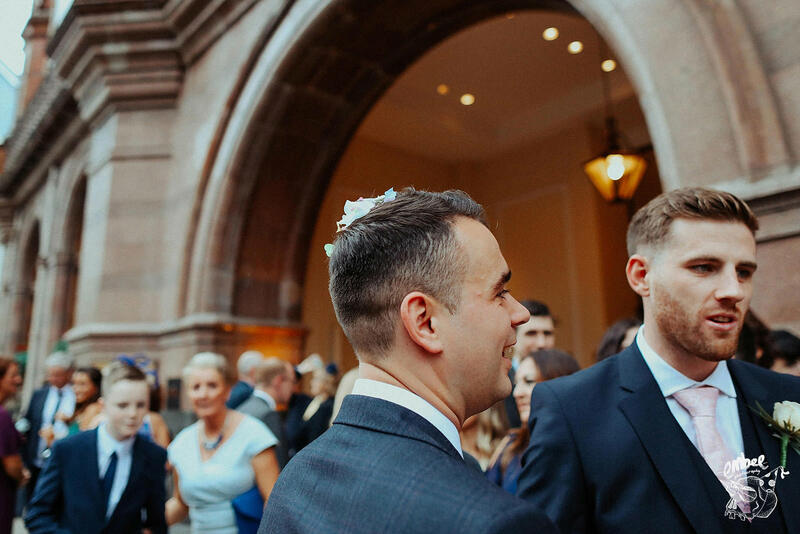 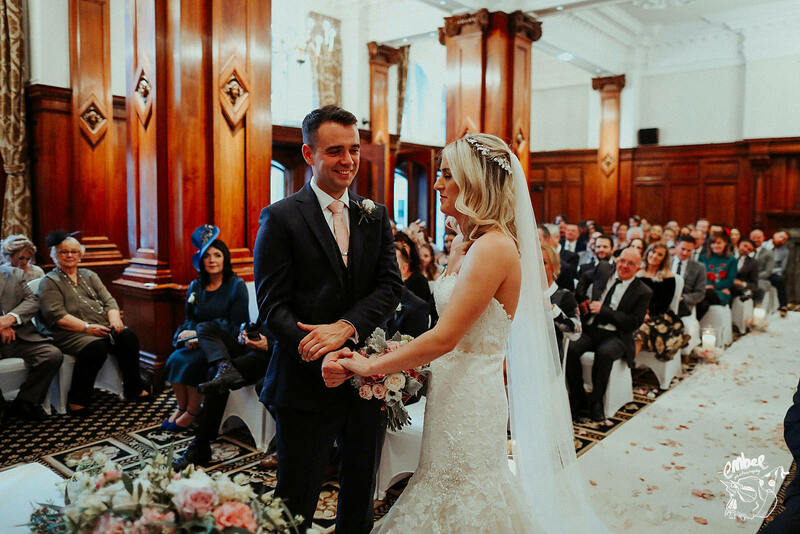 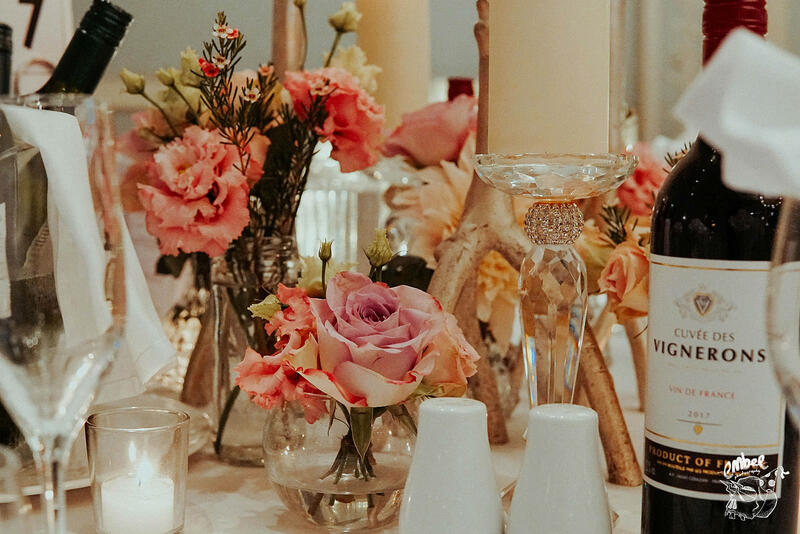 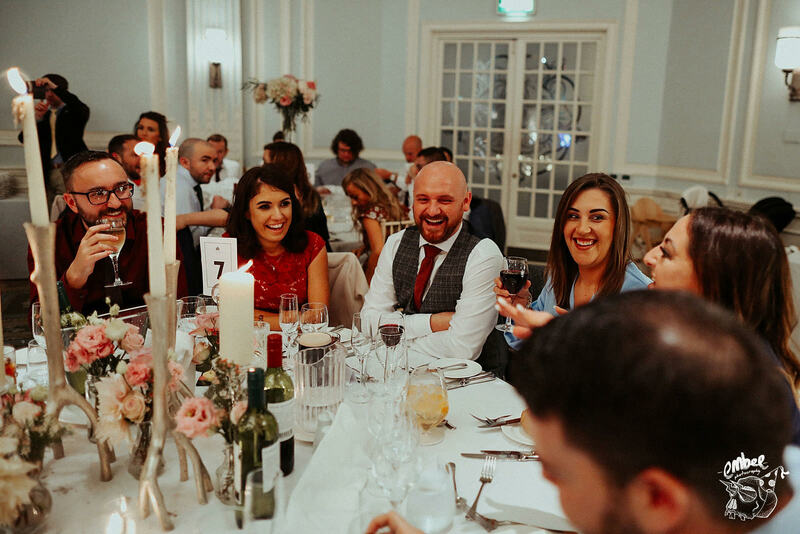 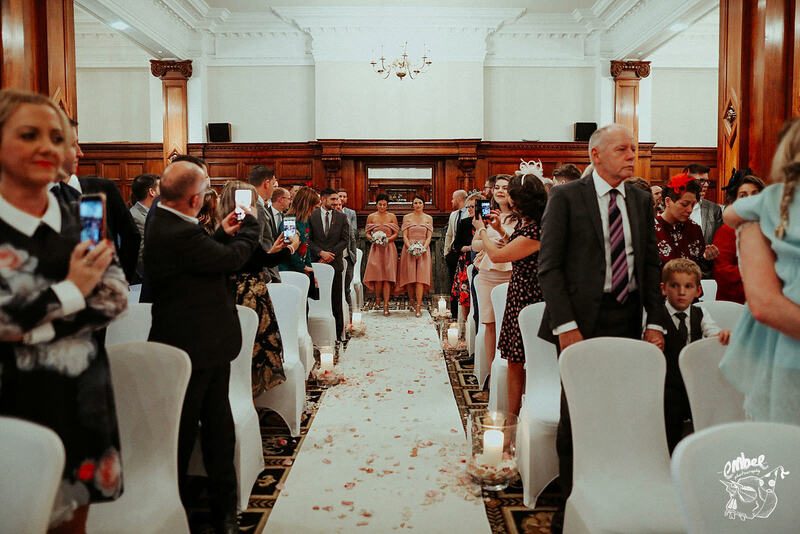 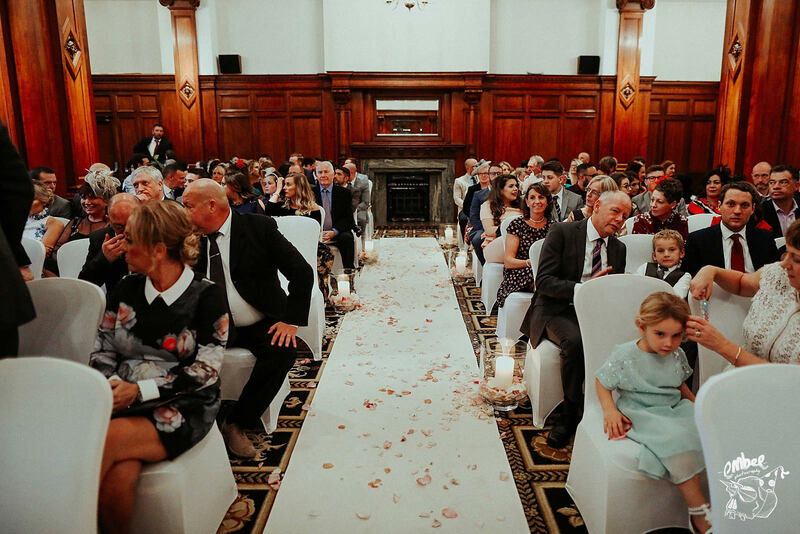 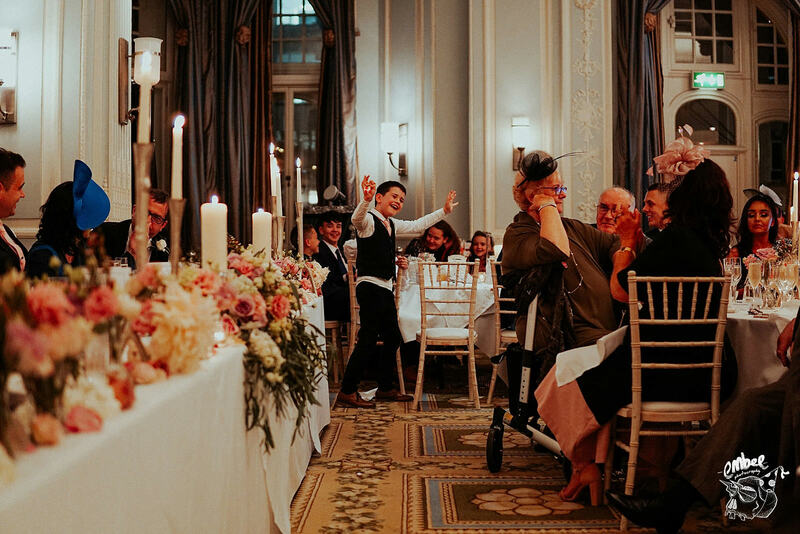 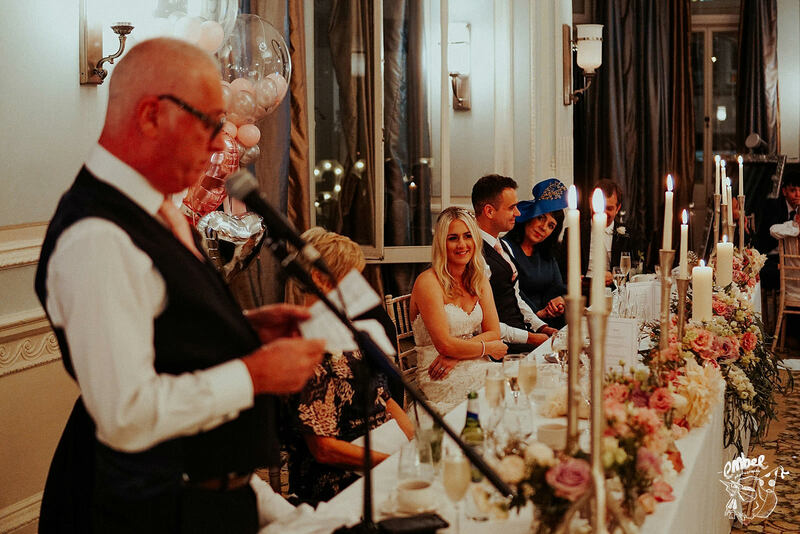 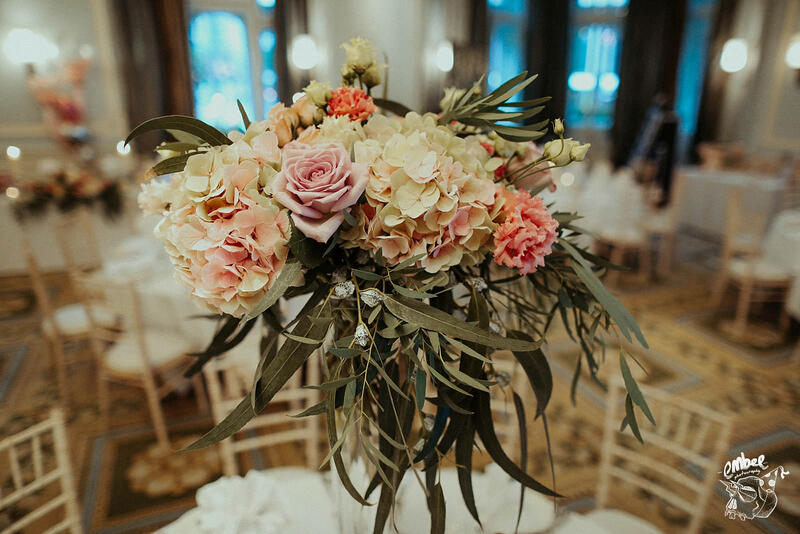 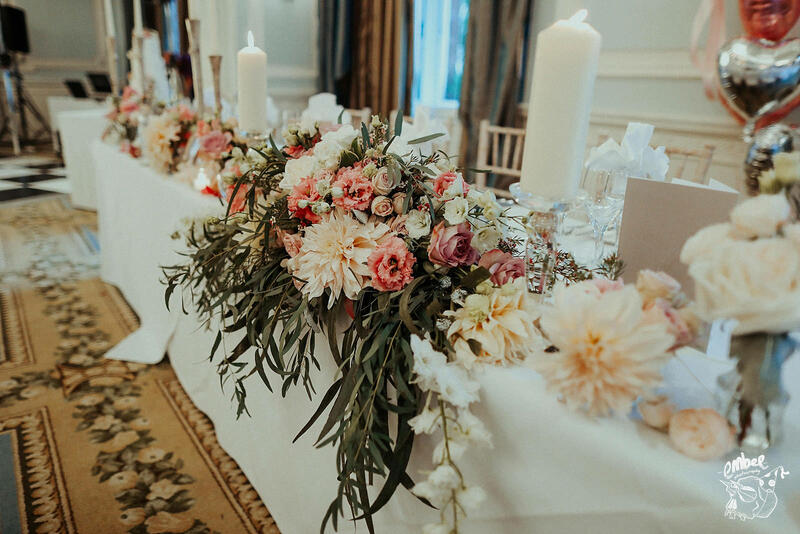 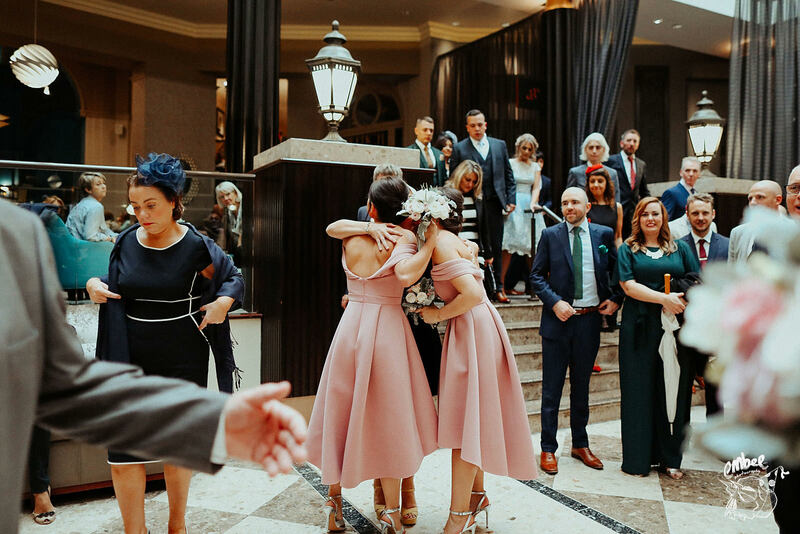 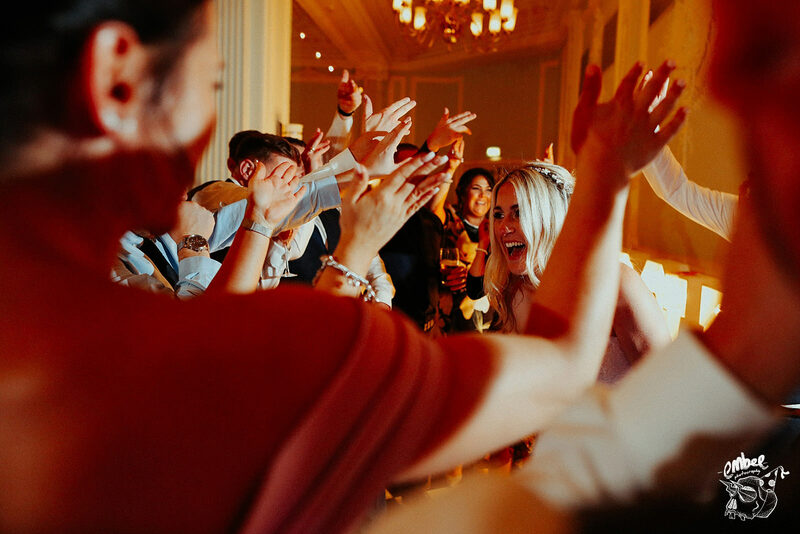 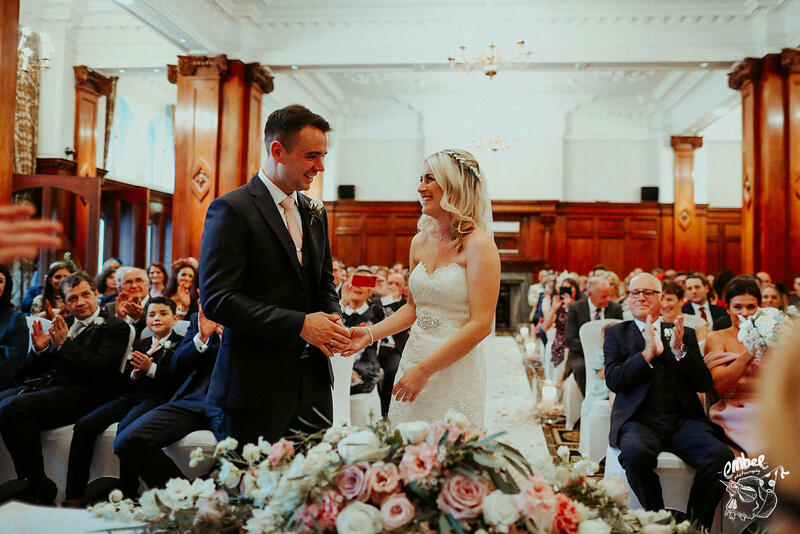 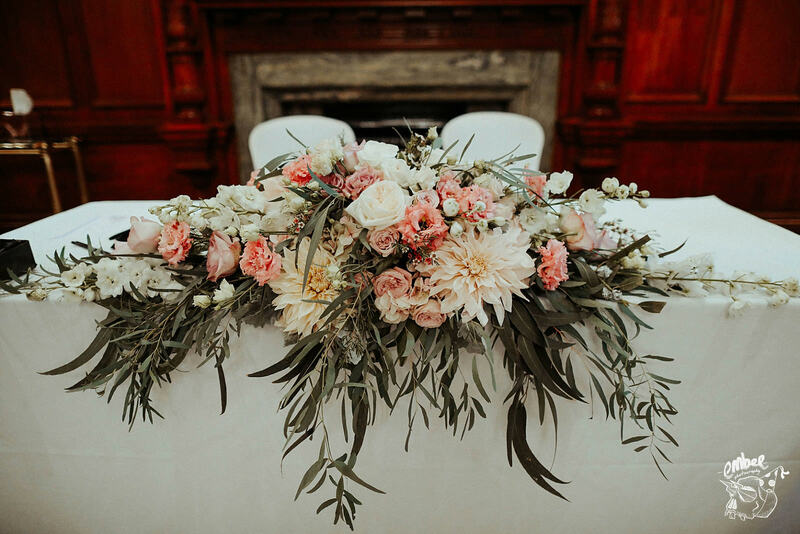 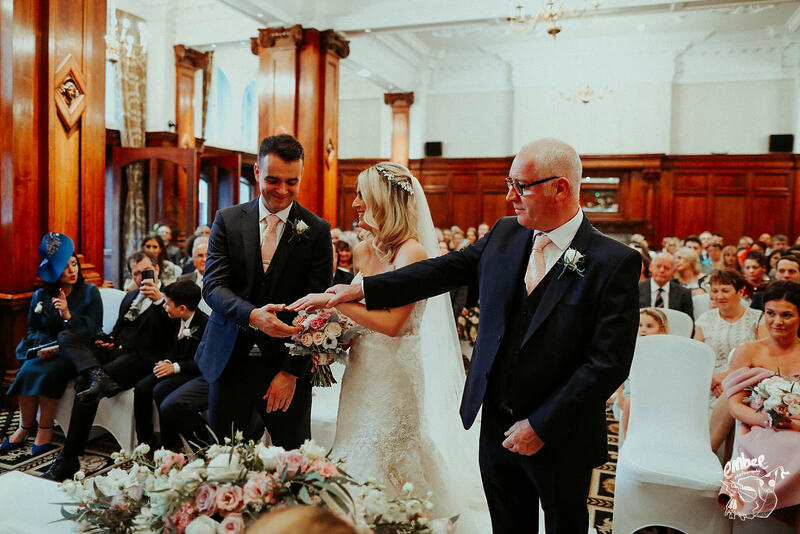 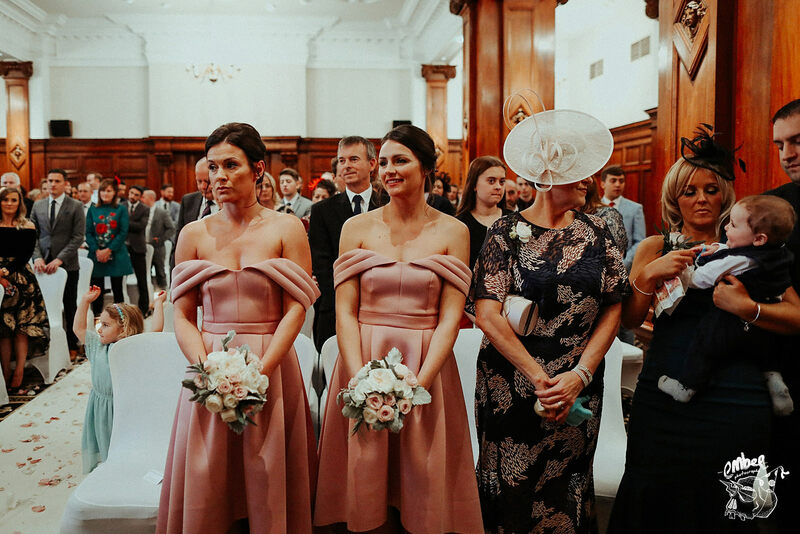 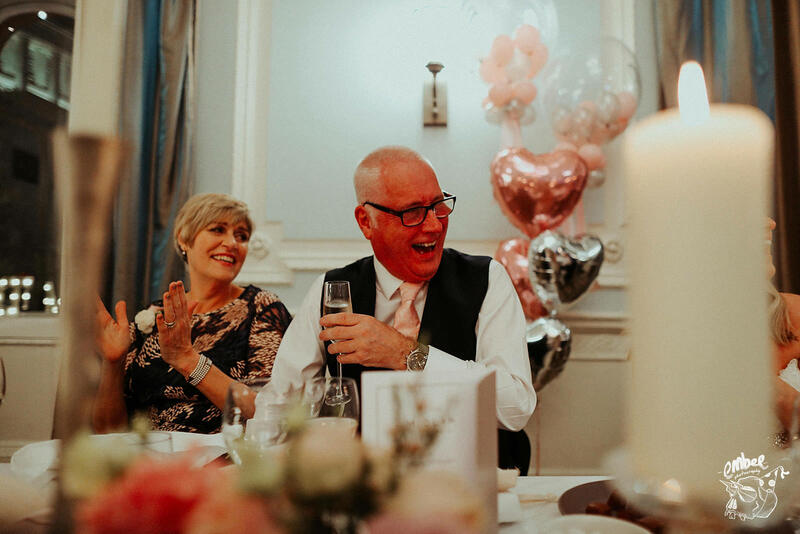 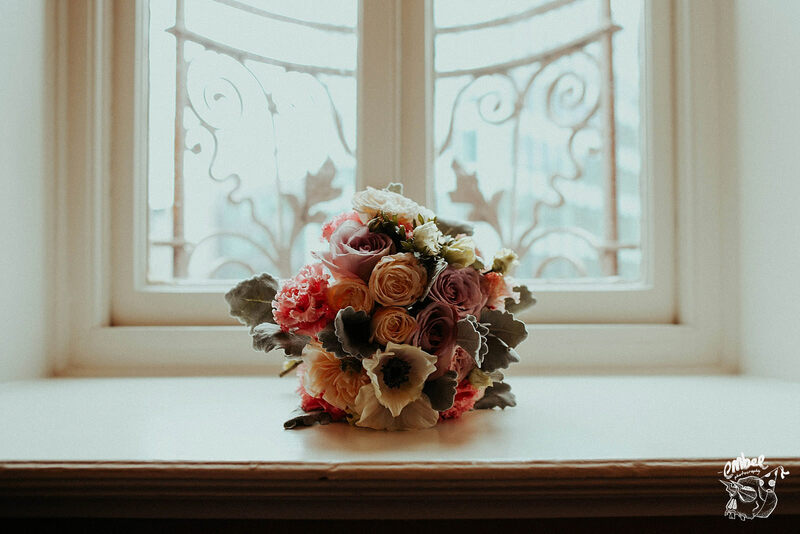 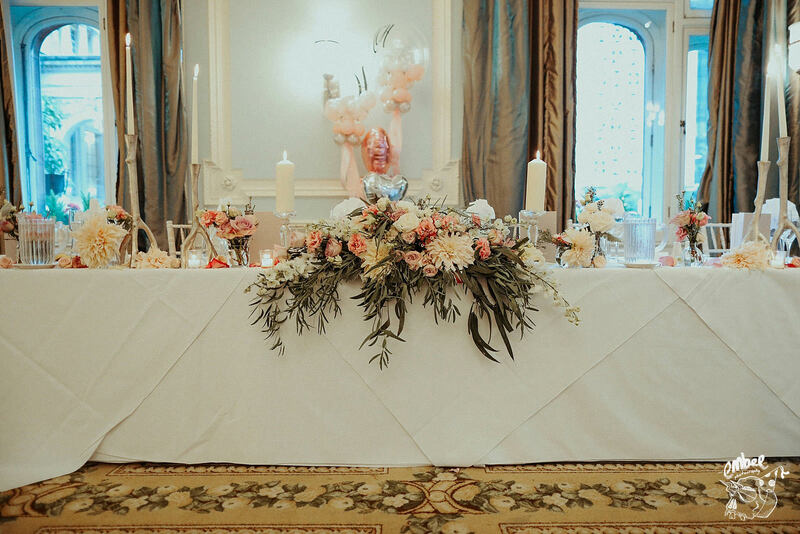 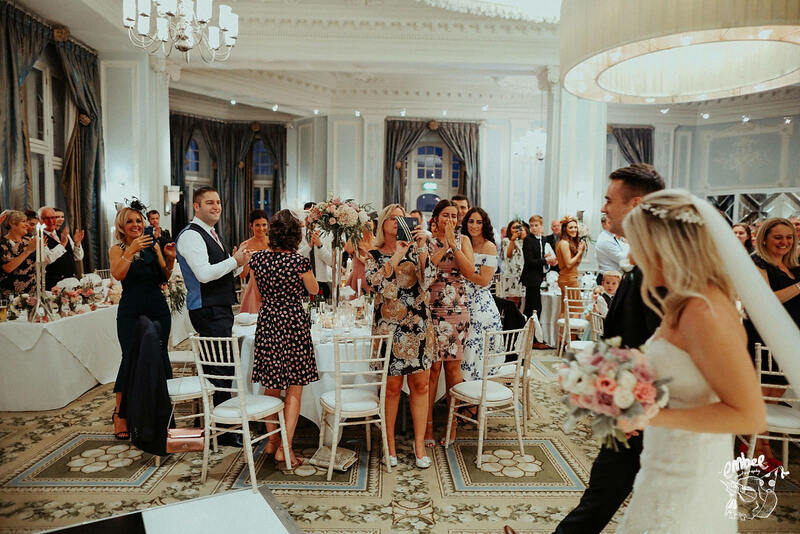 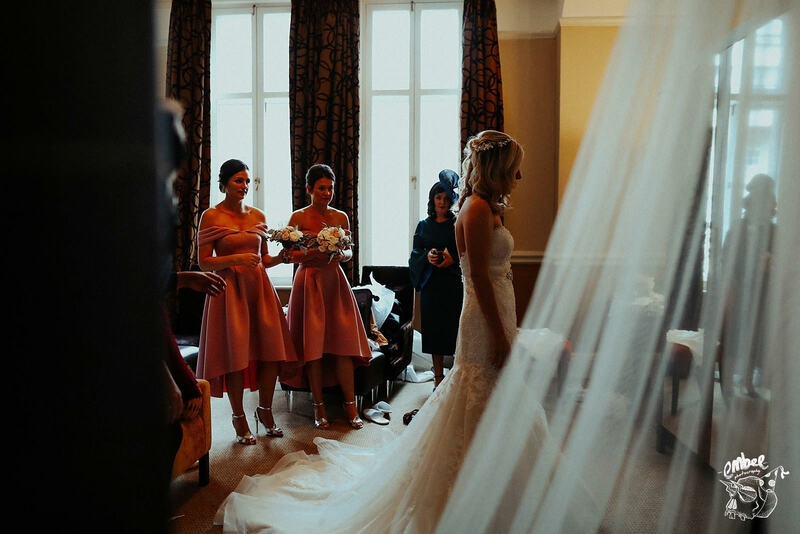 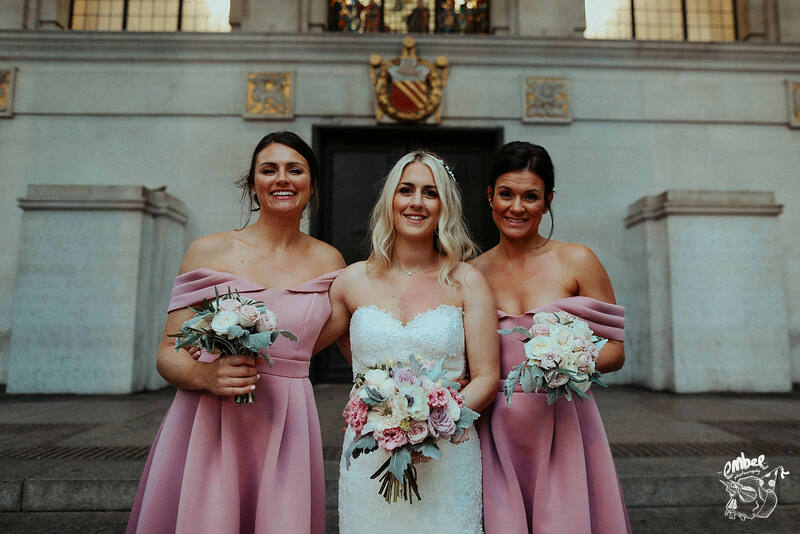 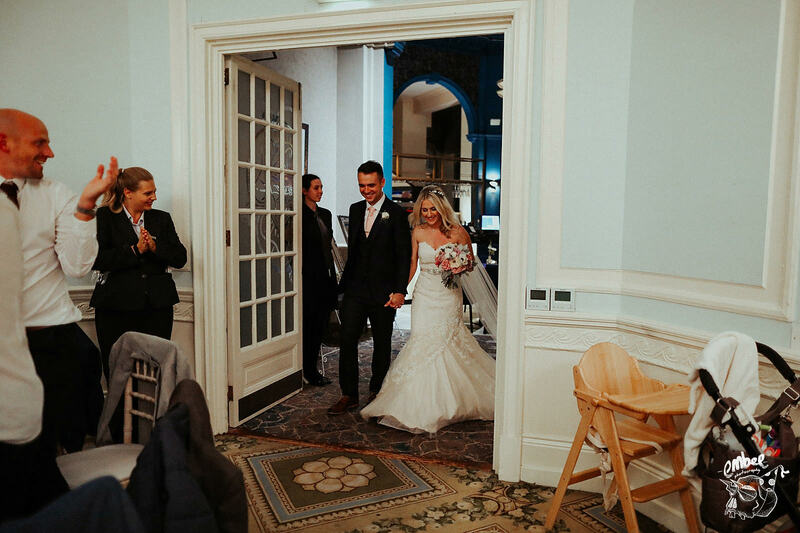 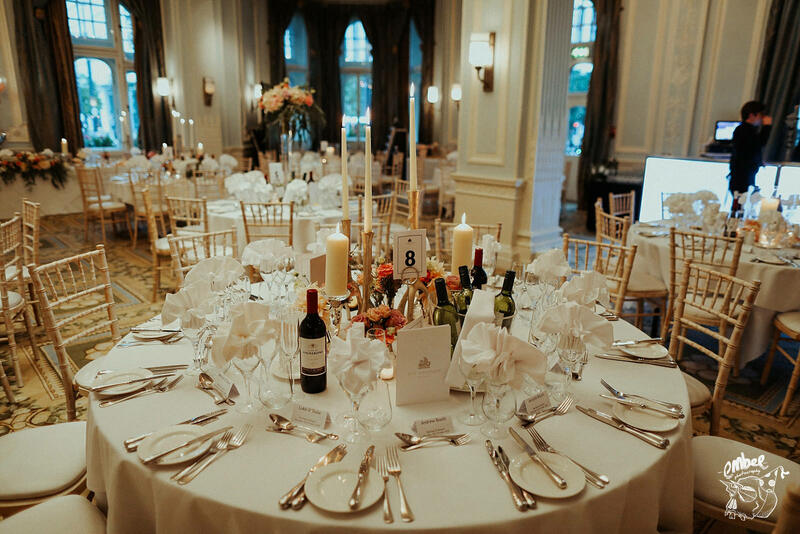 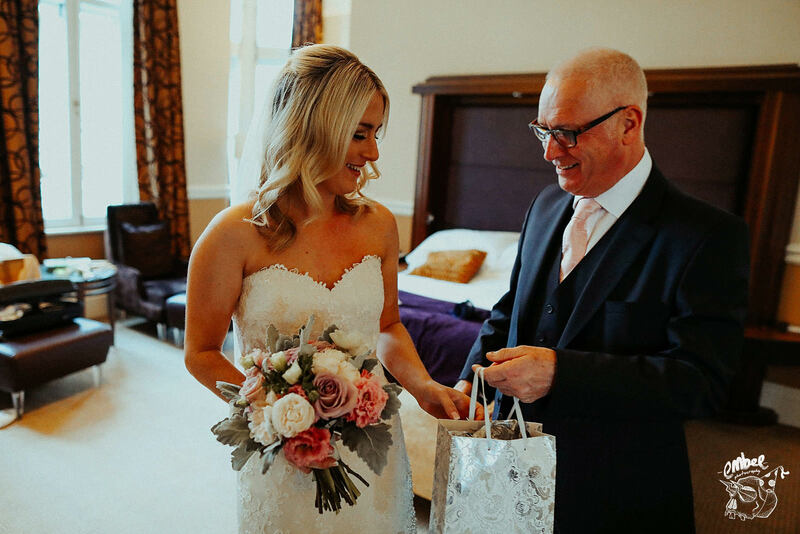 I got to work along side some other great wedding suppliers at this wedding, such as Springbank Flowers who made the reception room look stunning, as well as giving Rachael a neat and colourful bouquet. 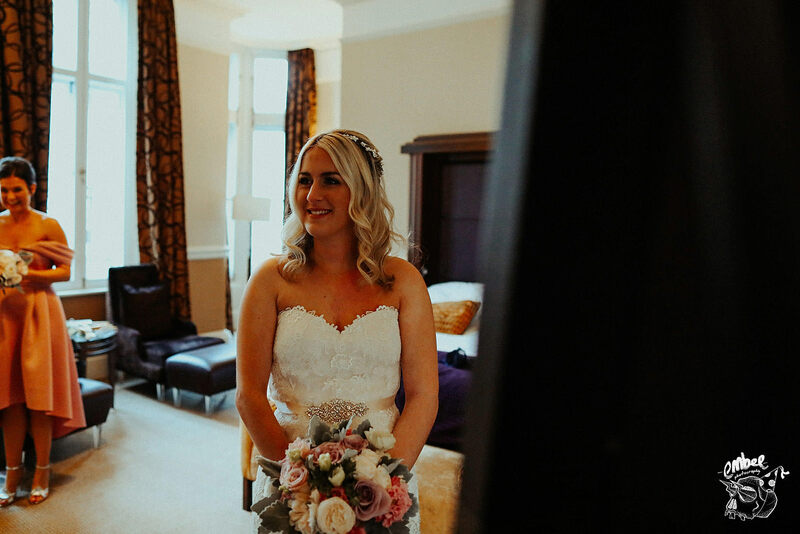 Lyndsey Tanner from The Northern Bride also did a great job of bridal make up. 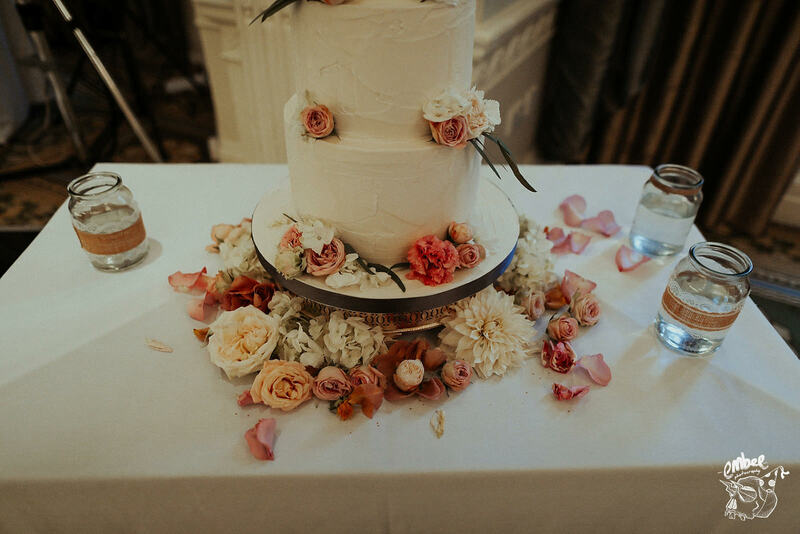 Let’s not forget the talent of the wedding cake, created by Slattery. 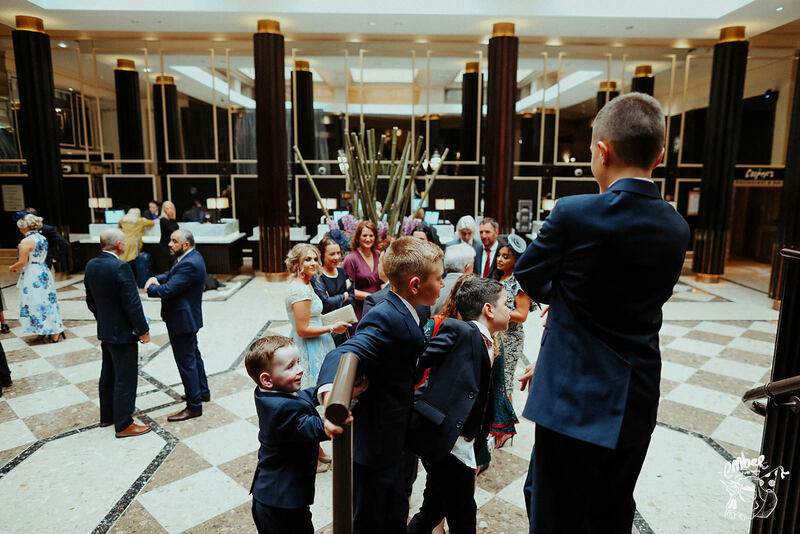 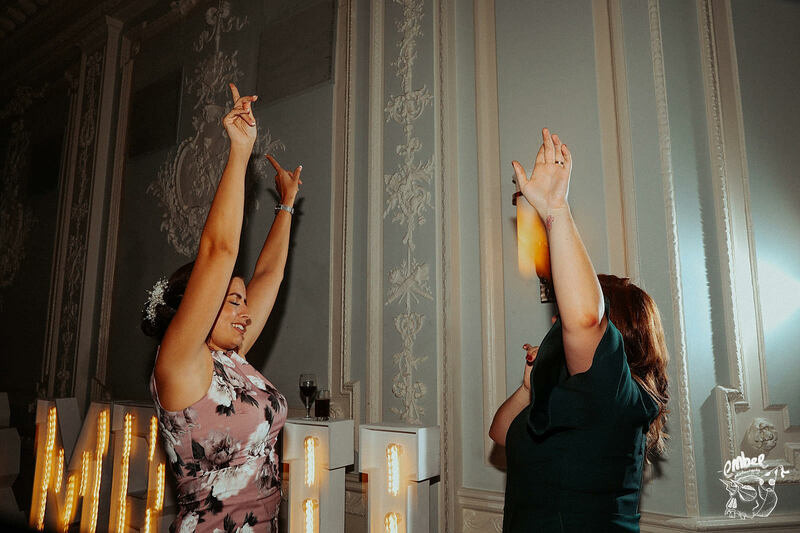 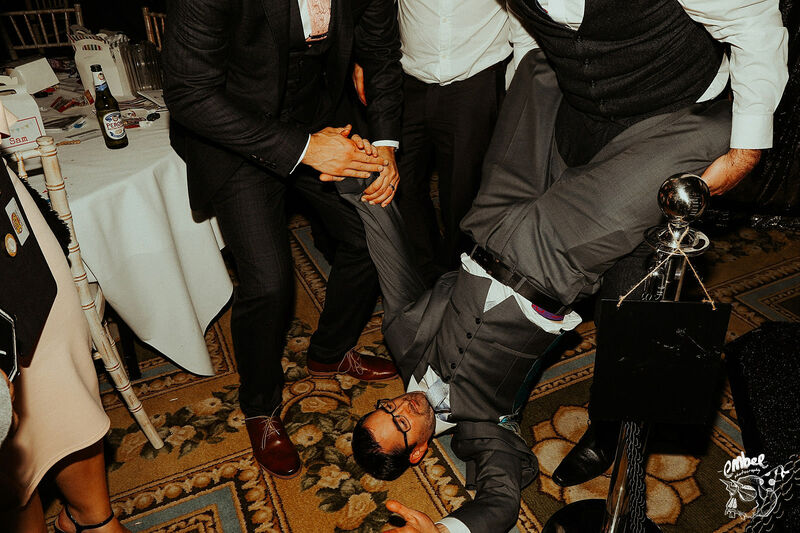 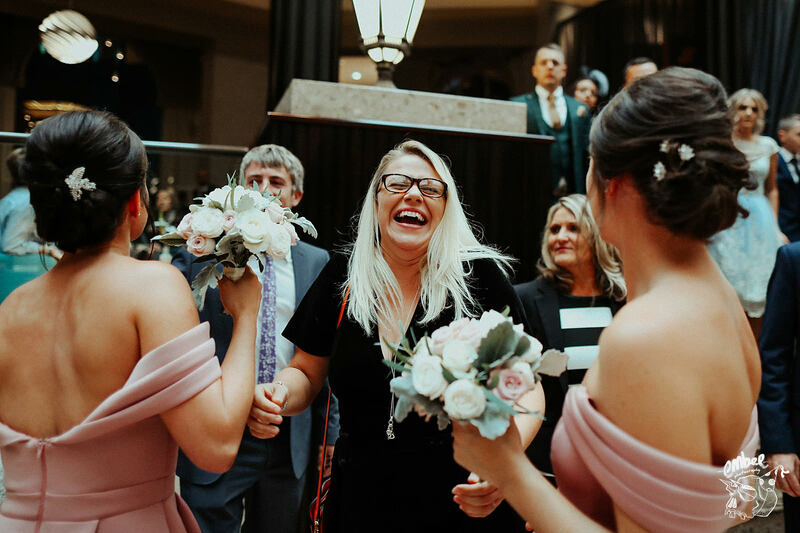 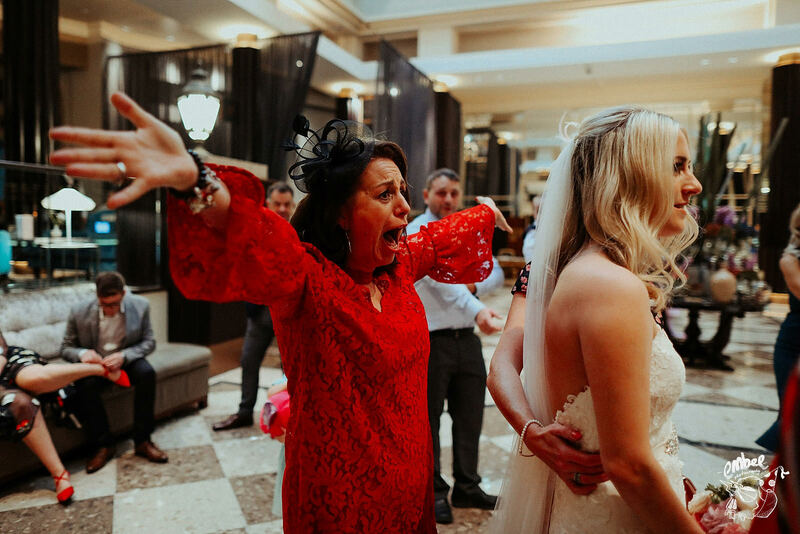 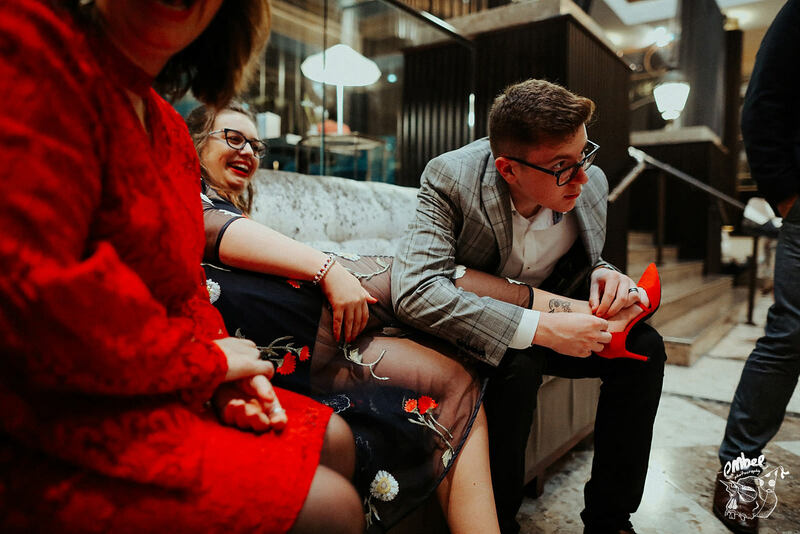 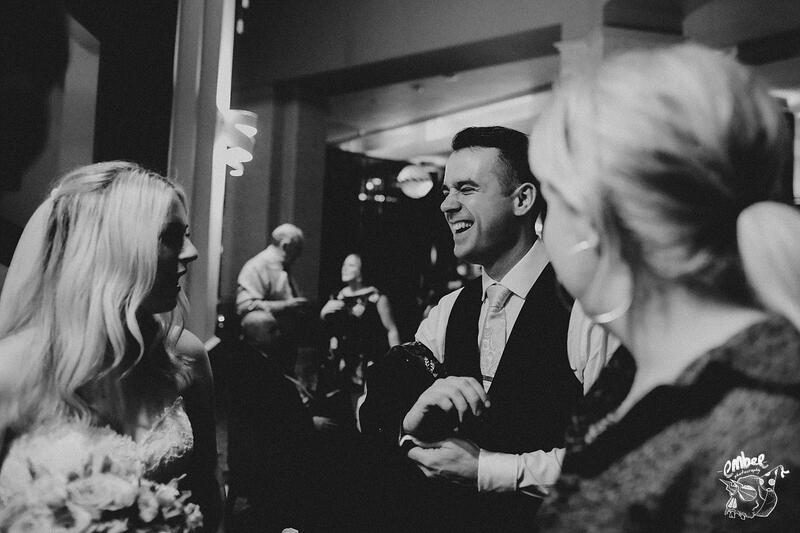 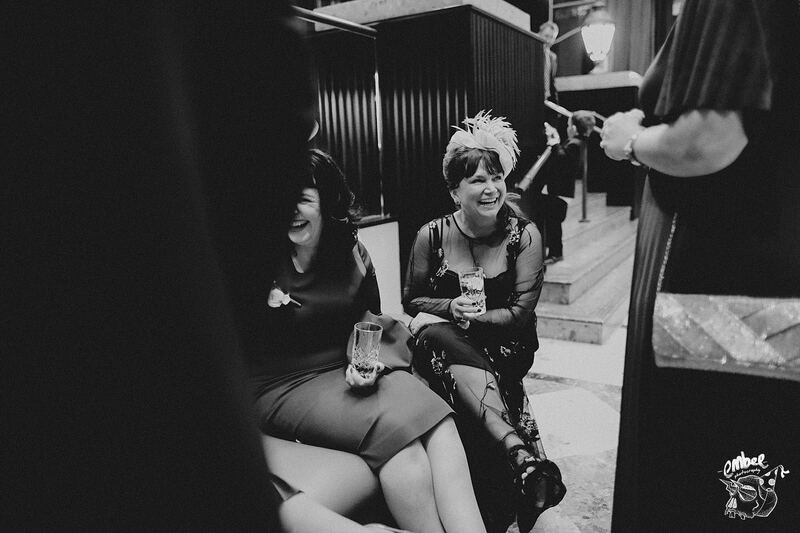 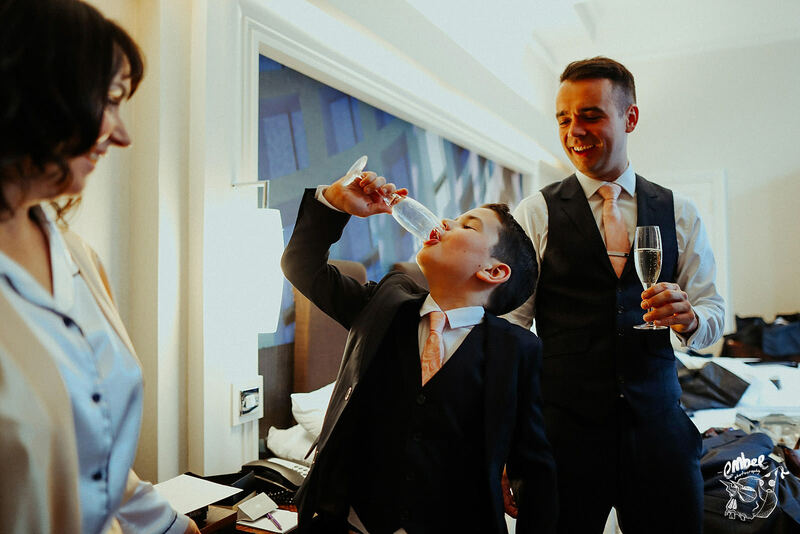 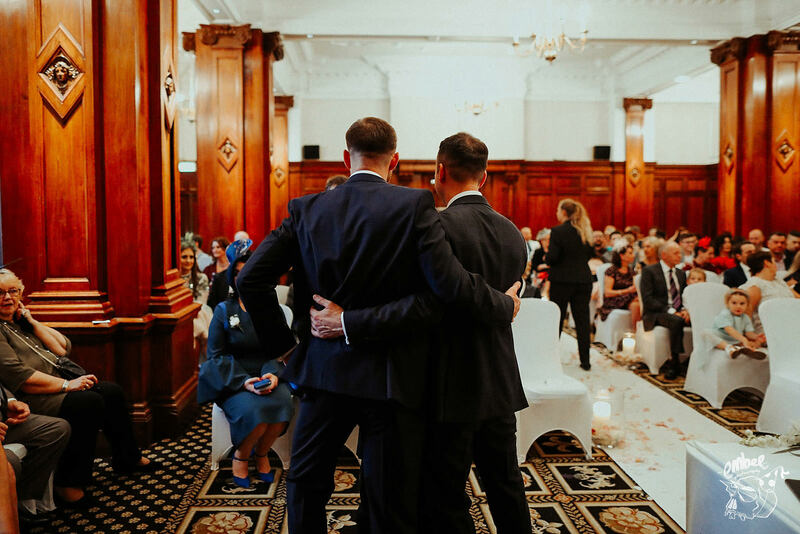 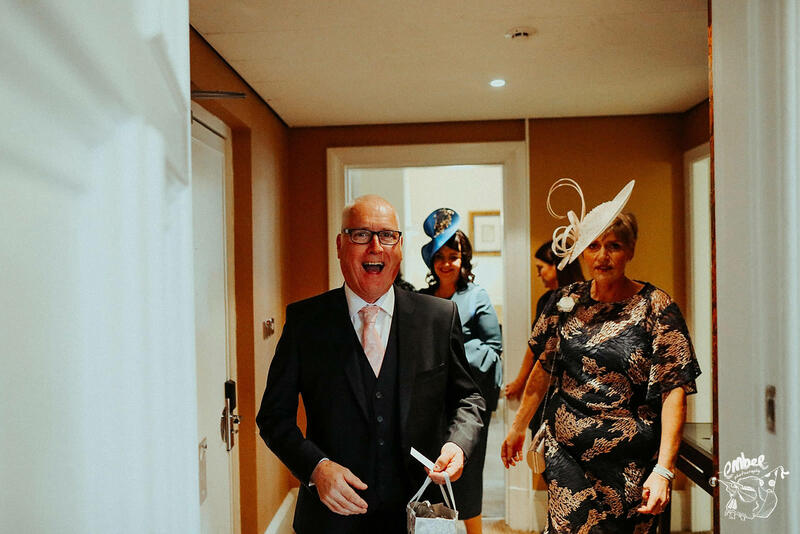 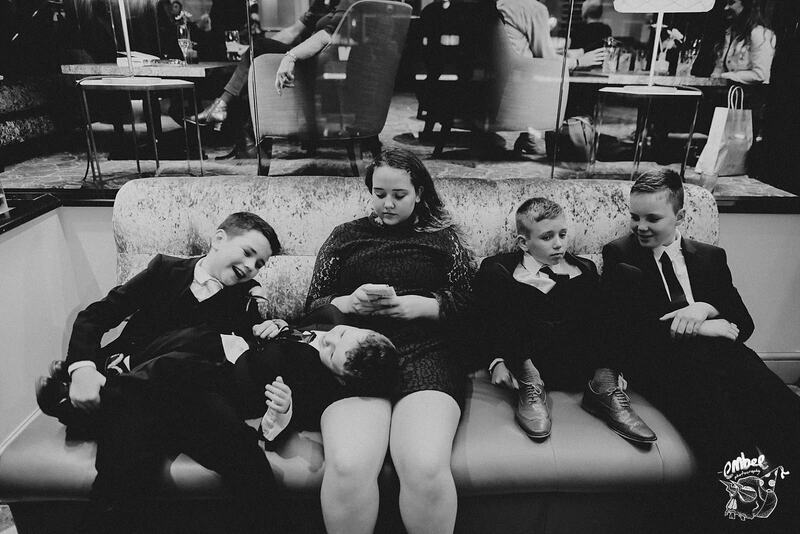 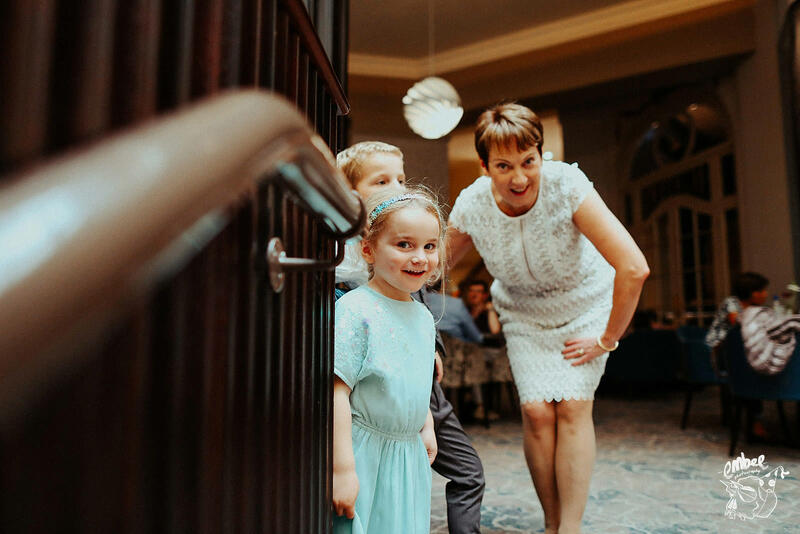 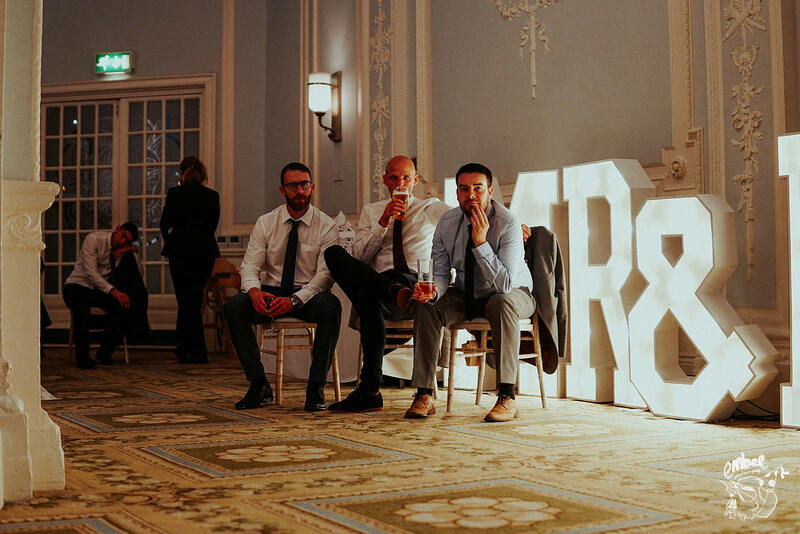 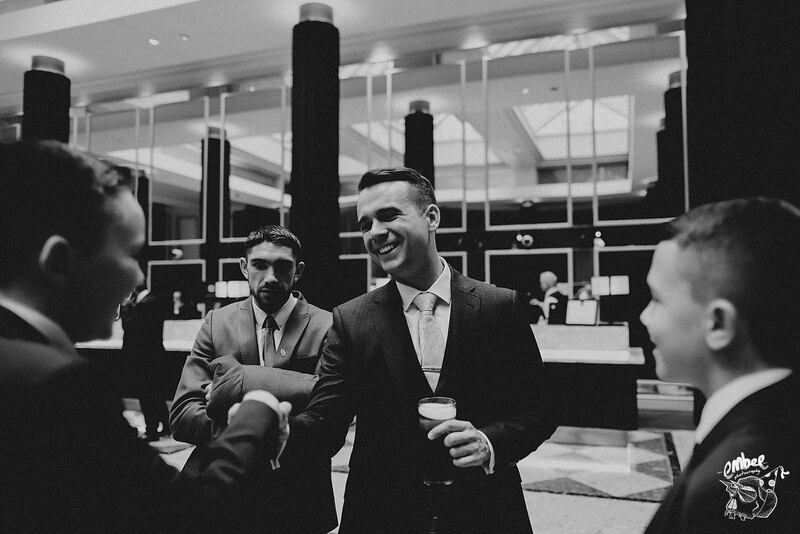 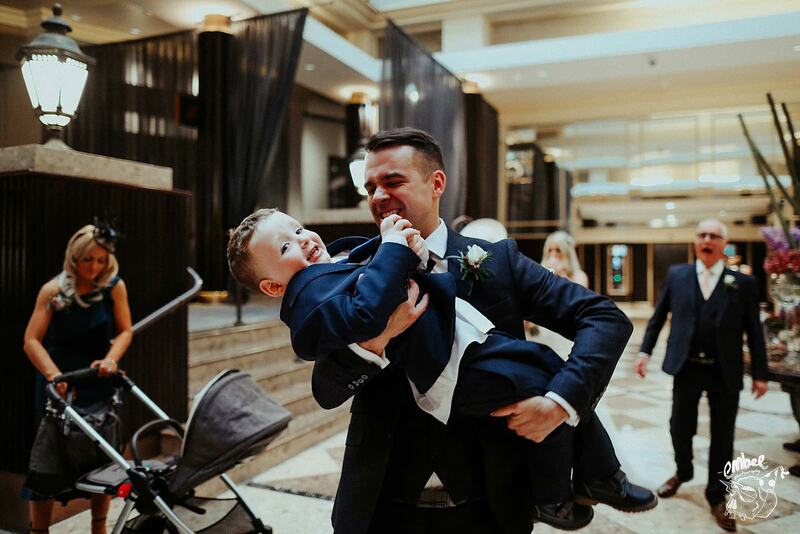 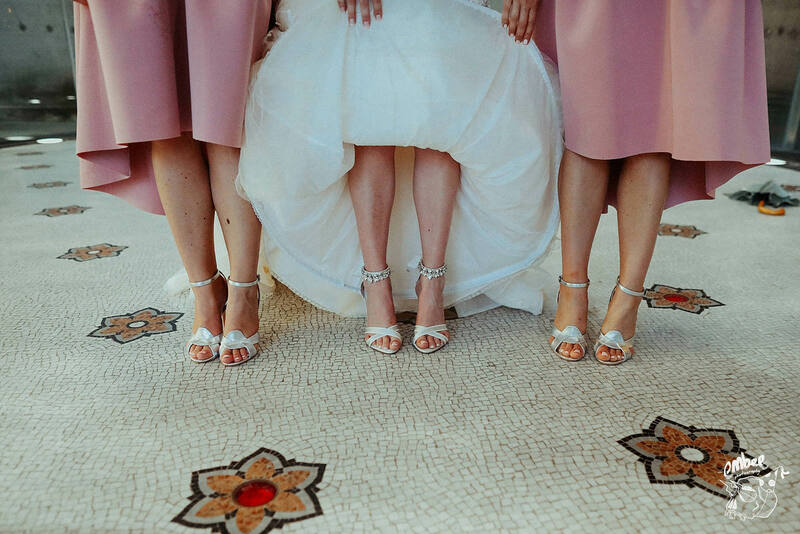 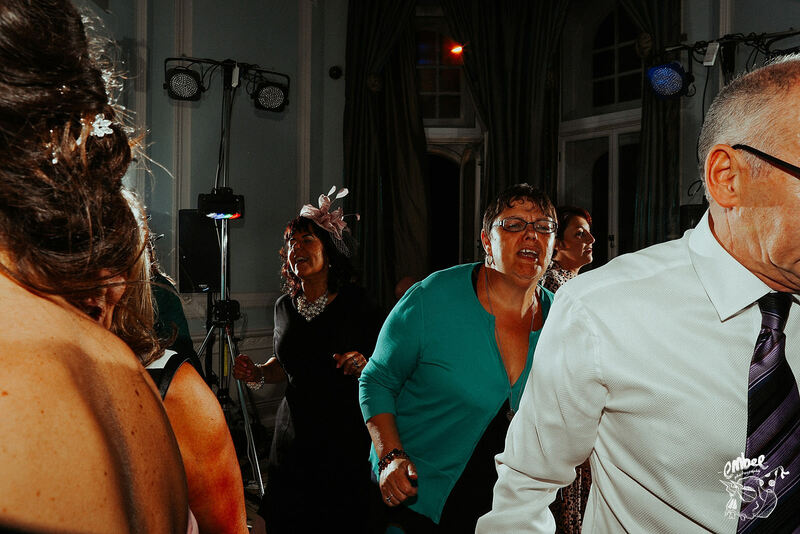 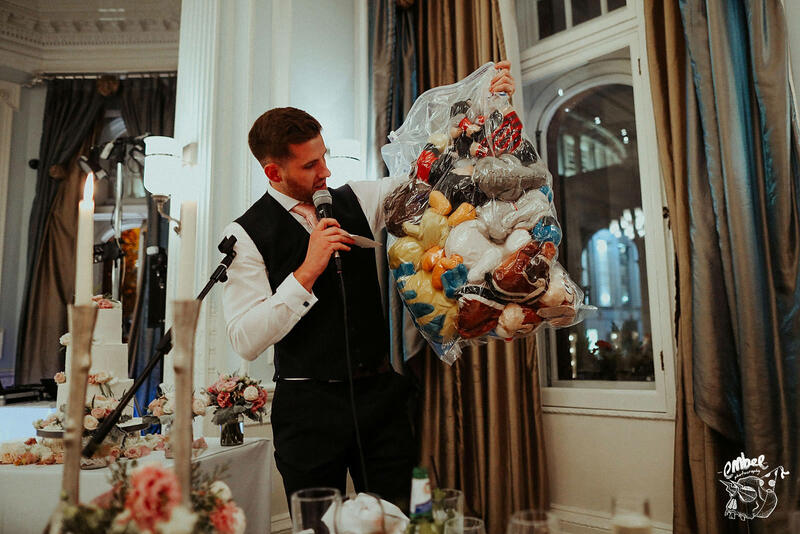 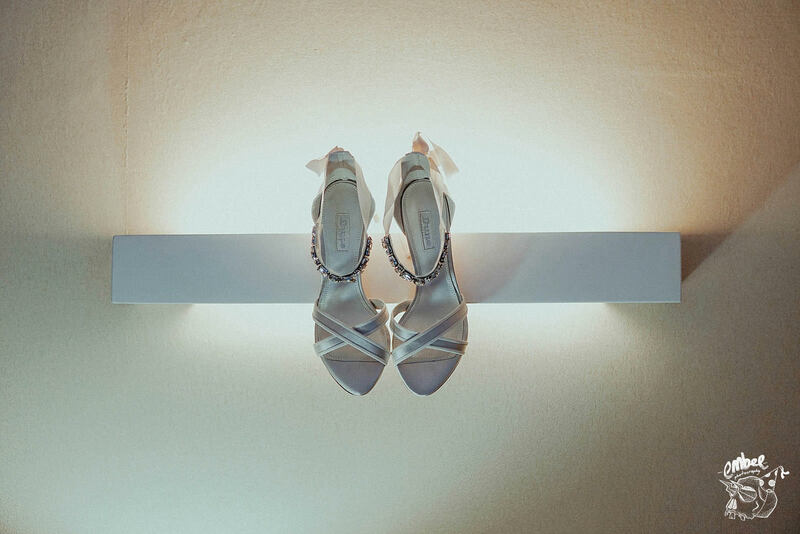 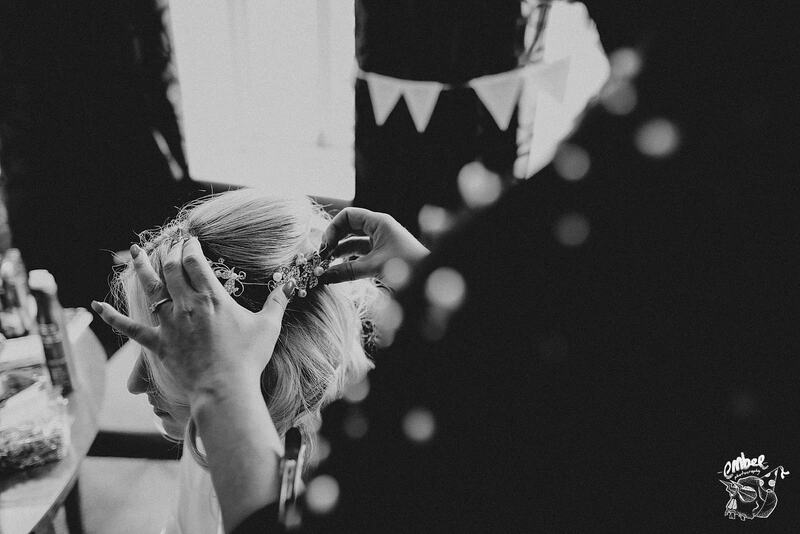 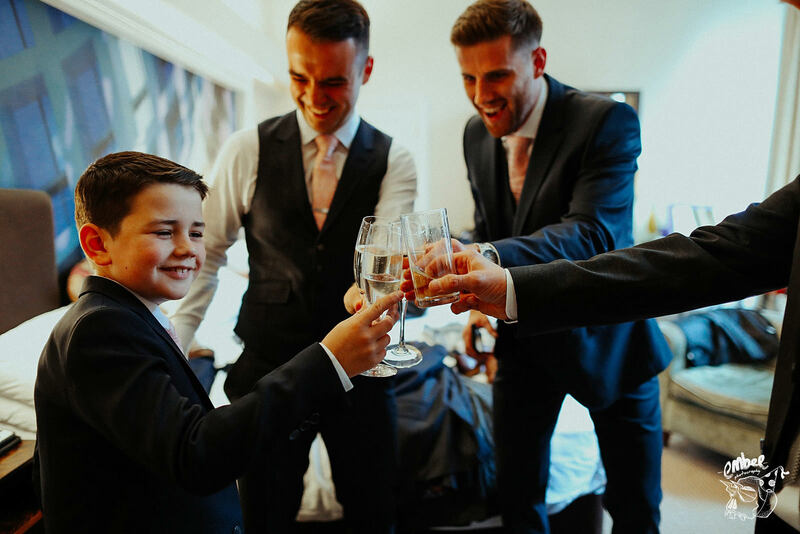 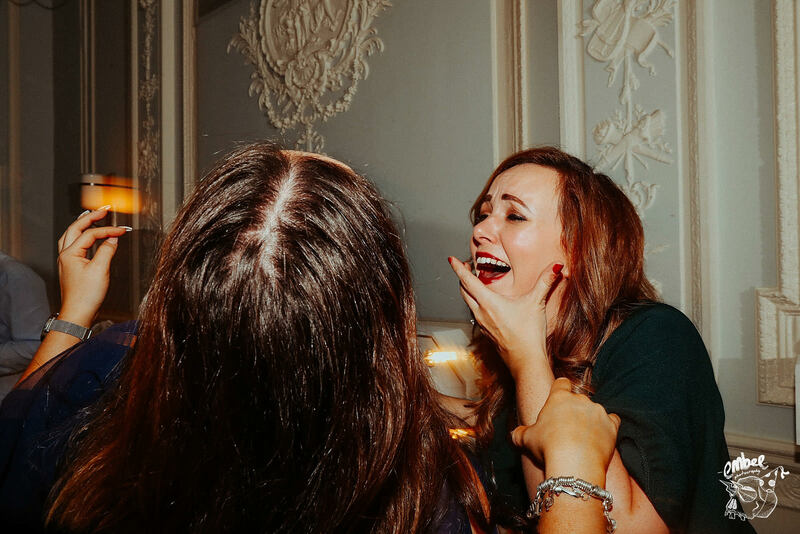 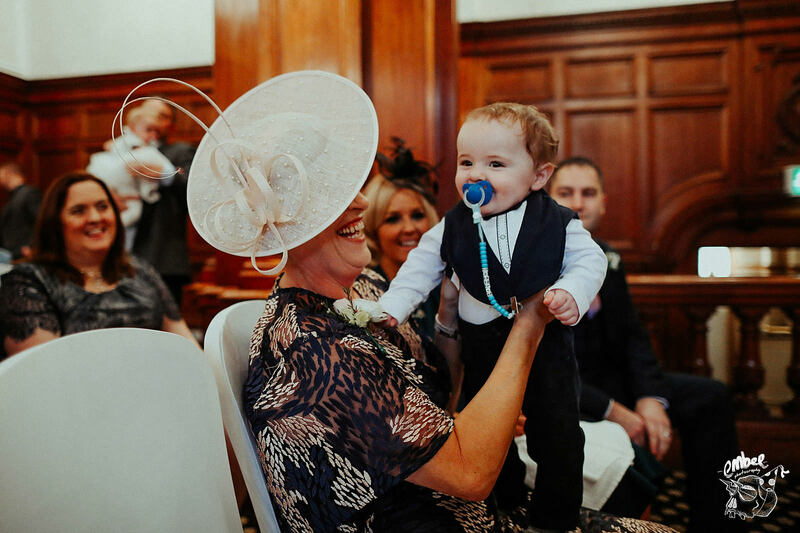 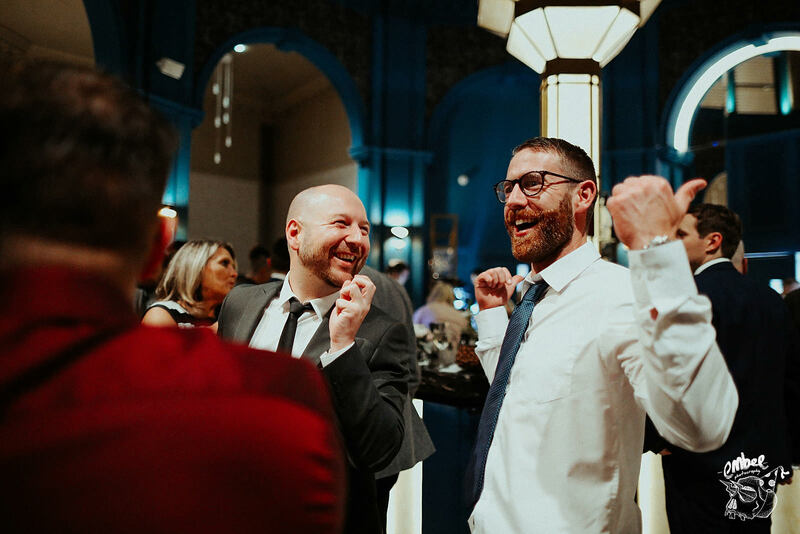 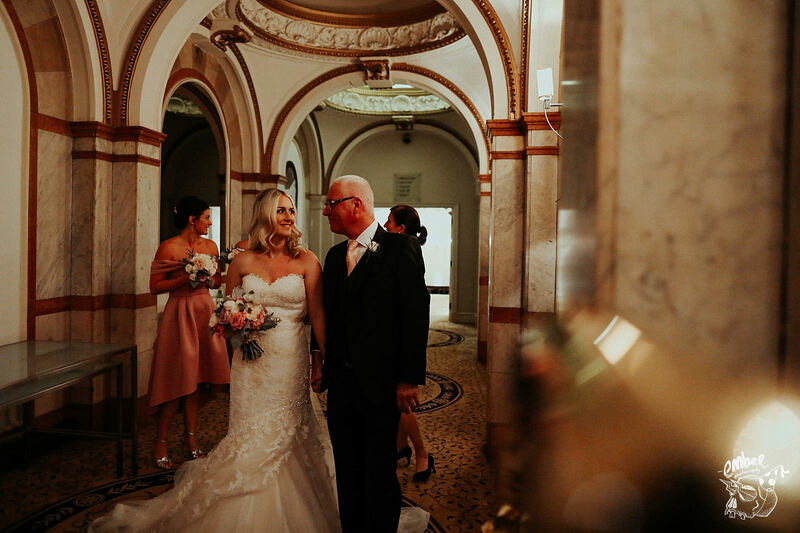 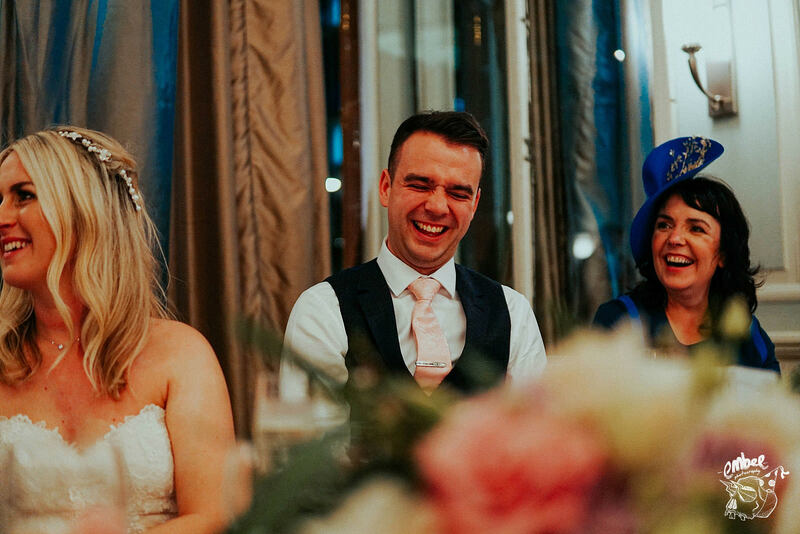 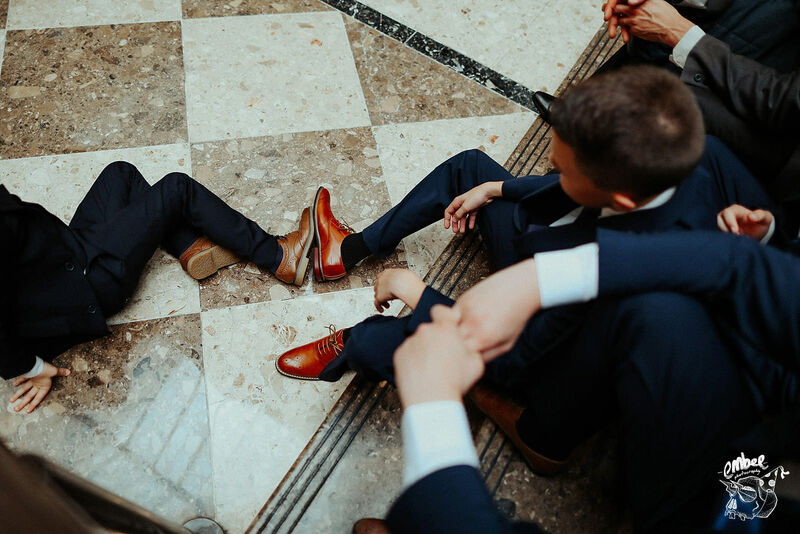 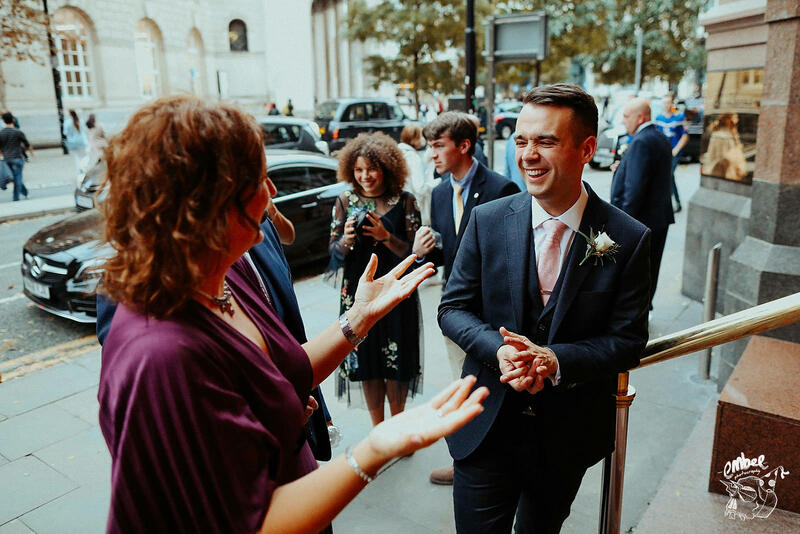 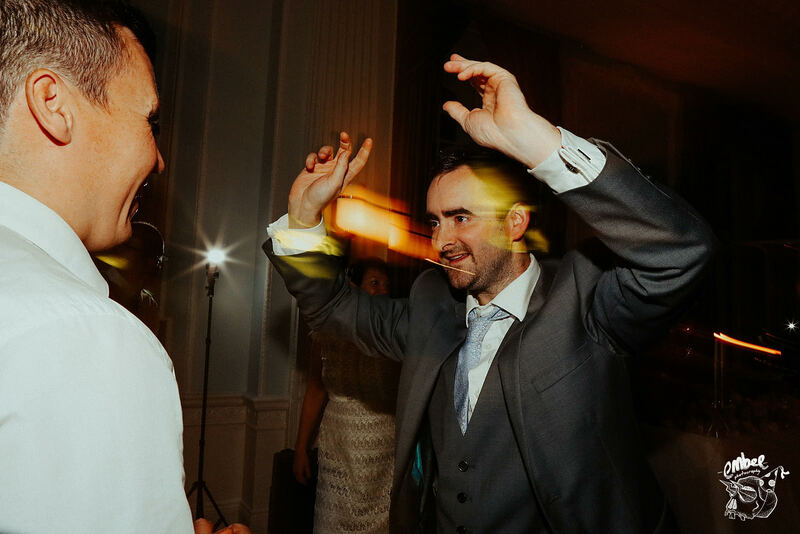 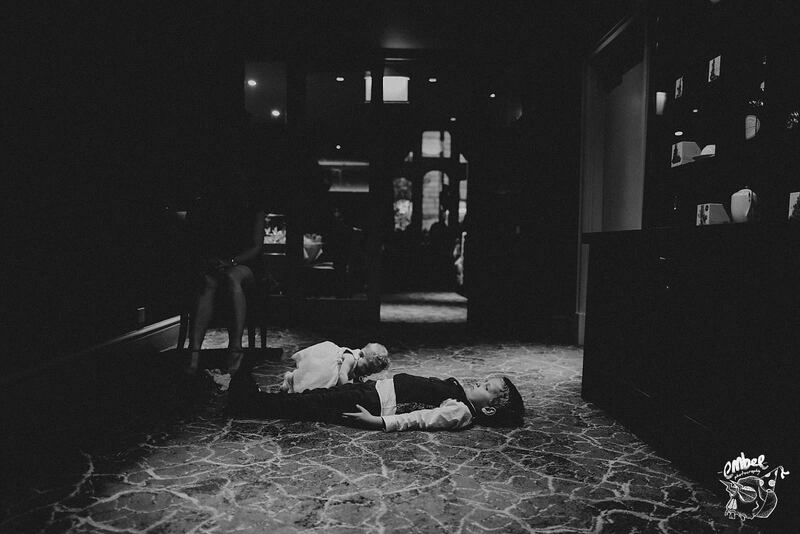 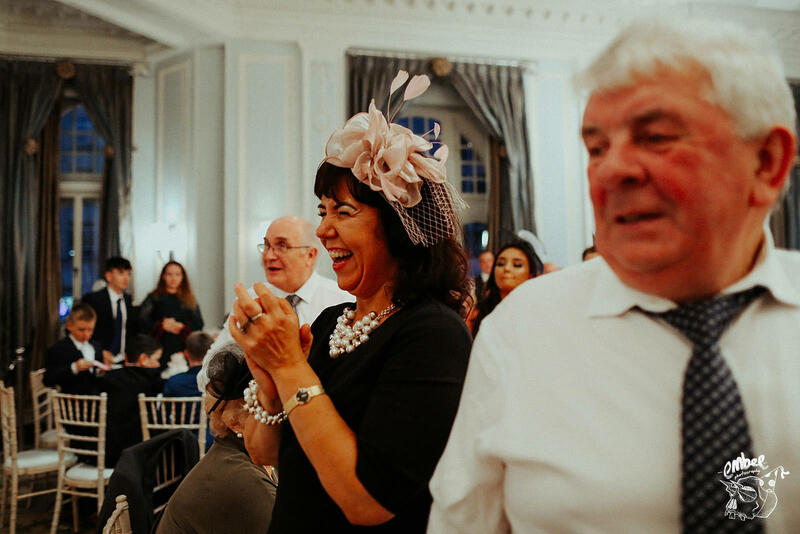 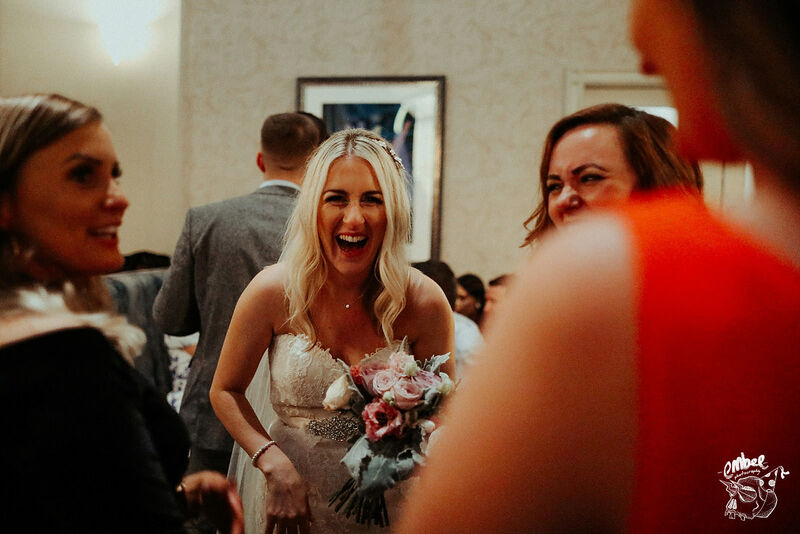 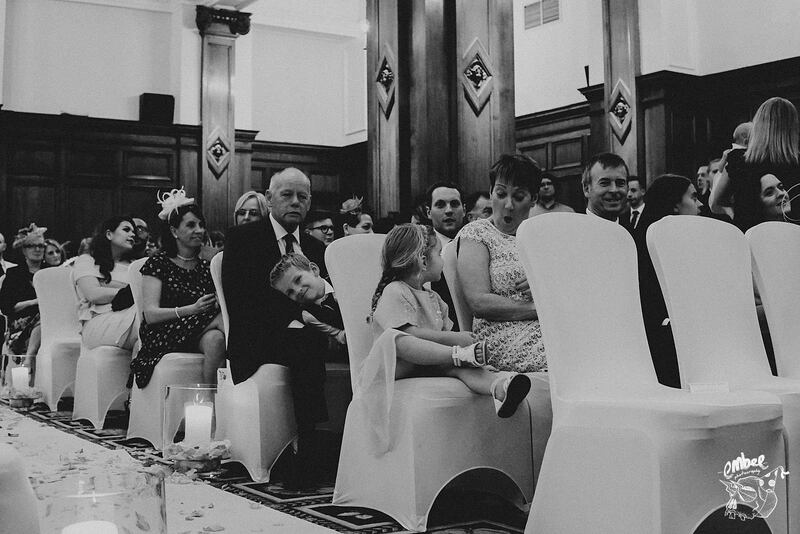 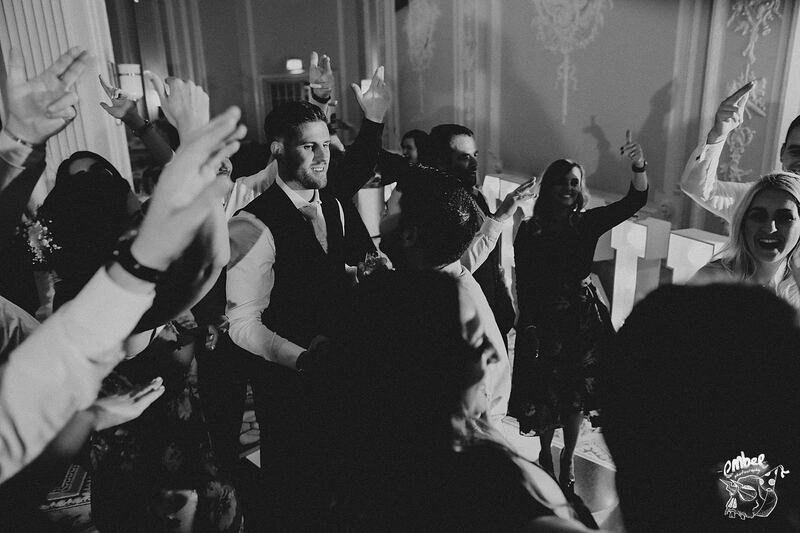 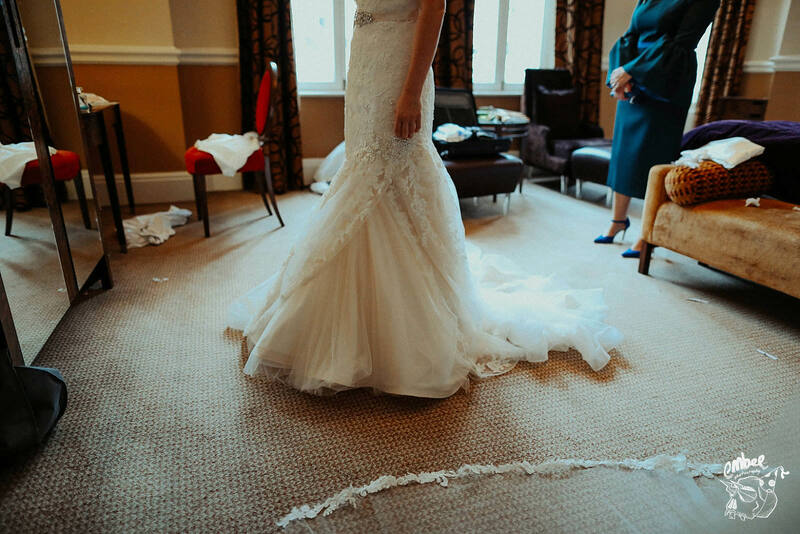 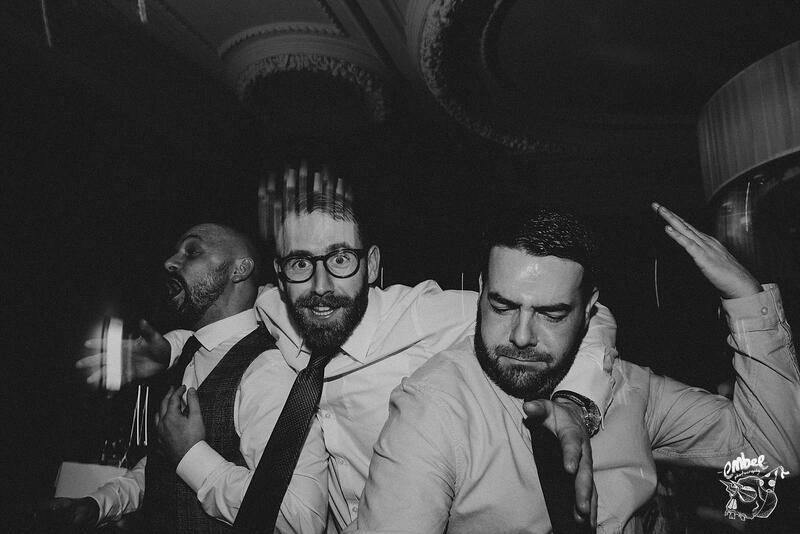 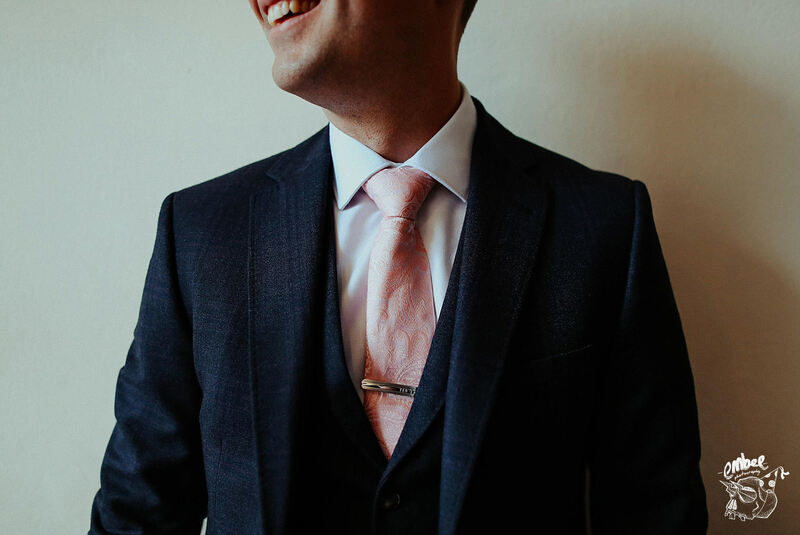 So I’ve bundled together some of the best wedding photographs from my time at The Midand Hotel. 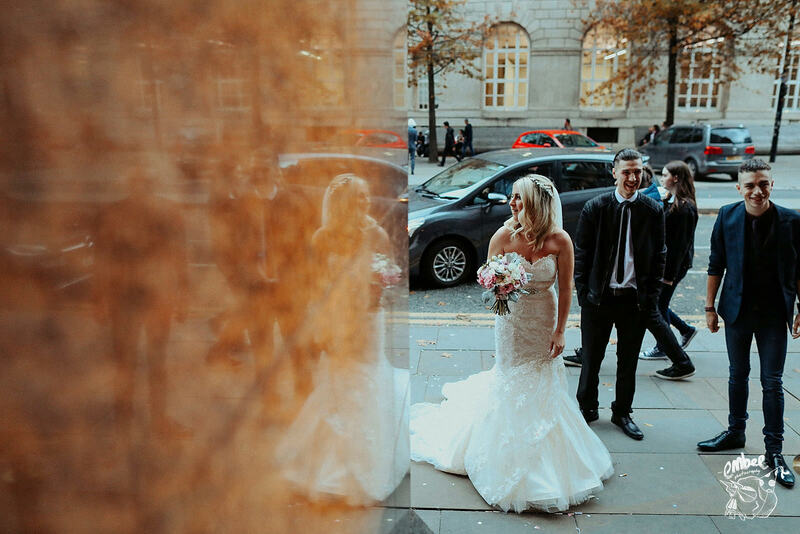 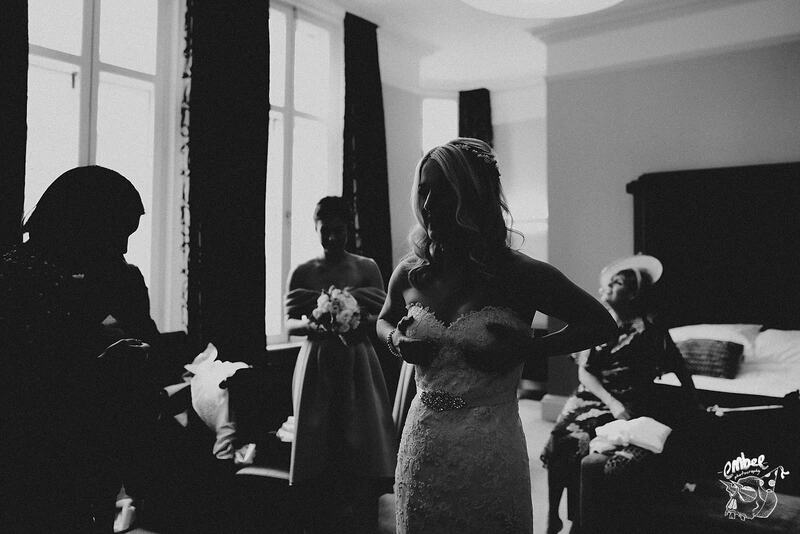 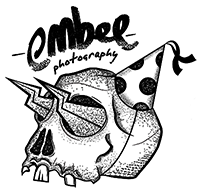 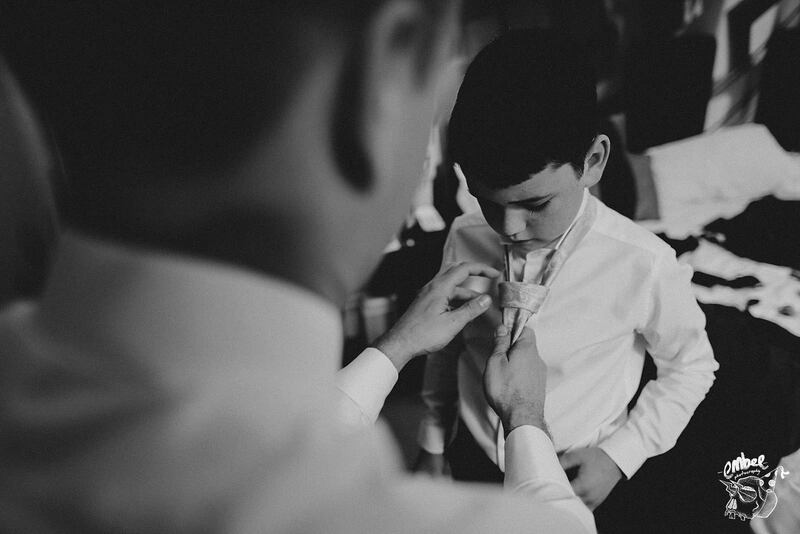 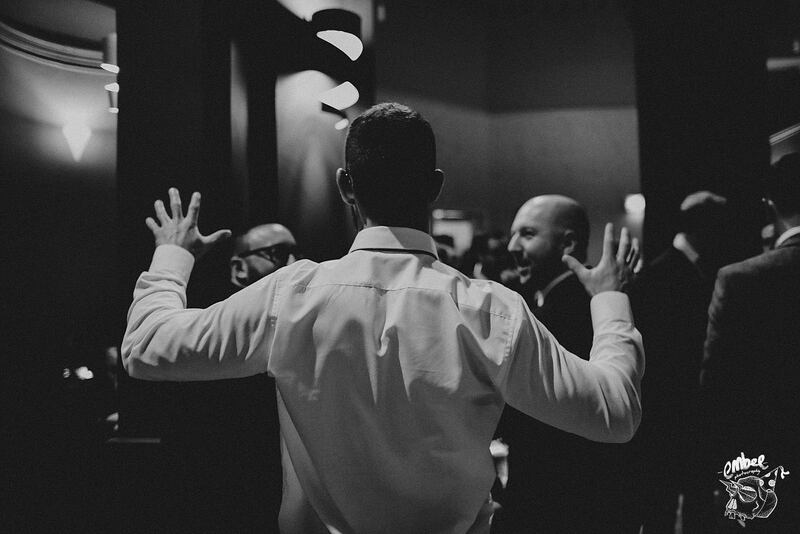 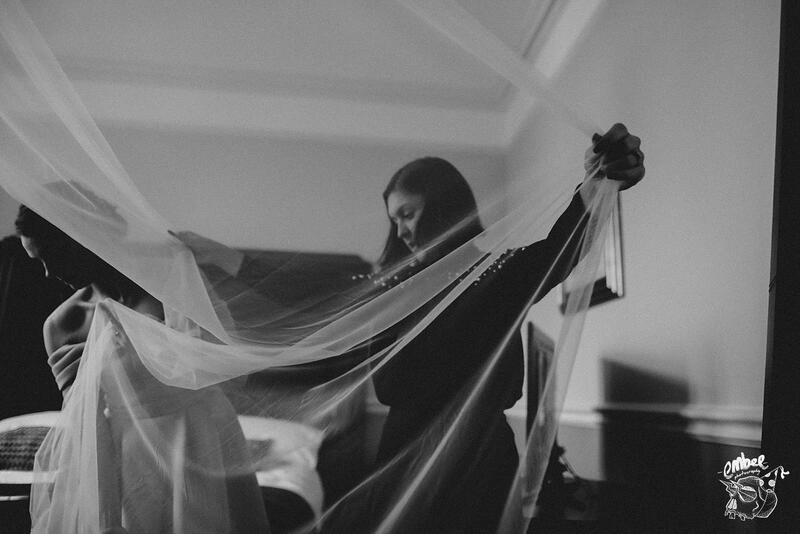 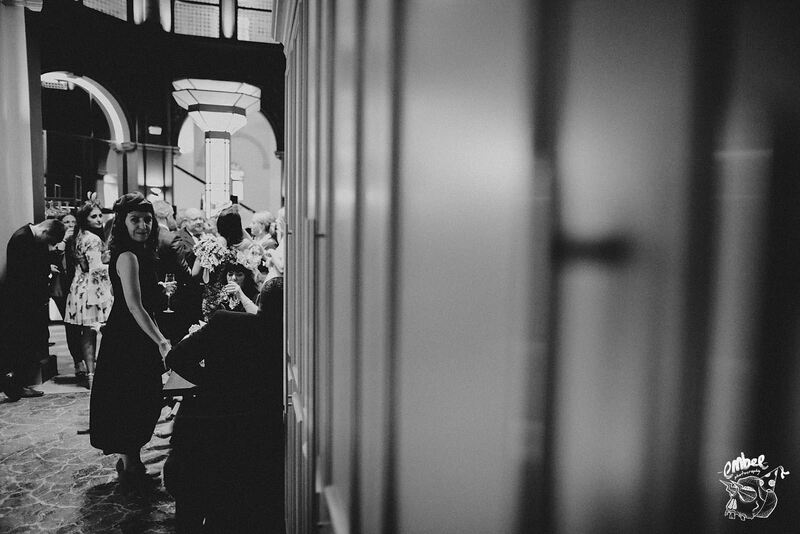 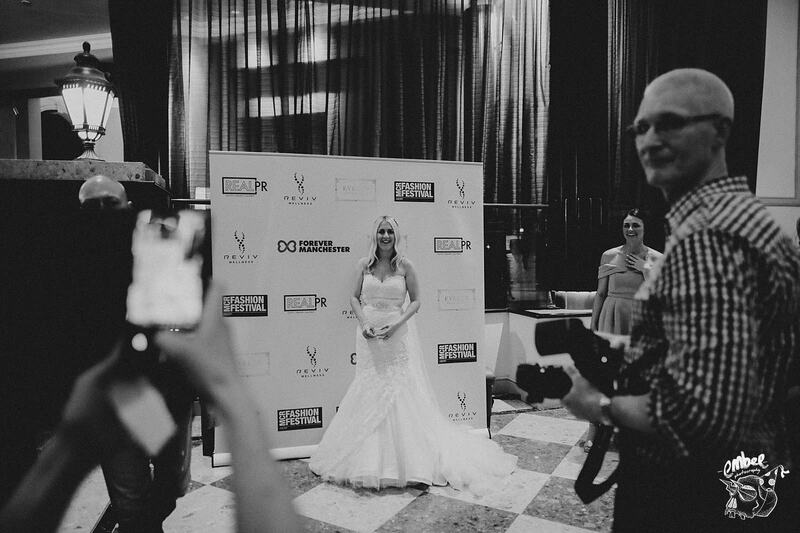 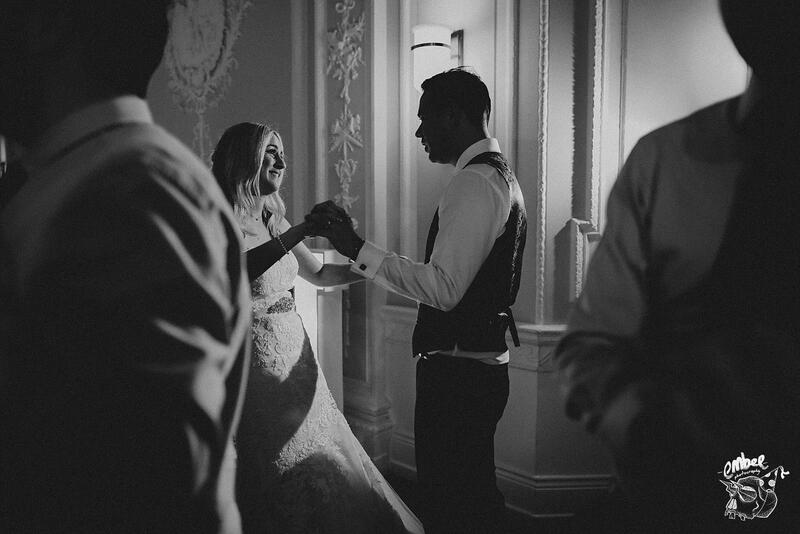 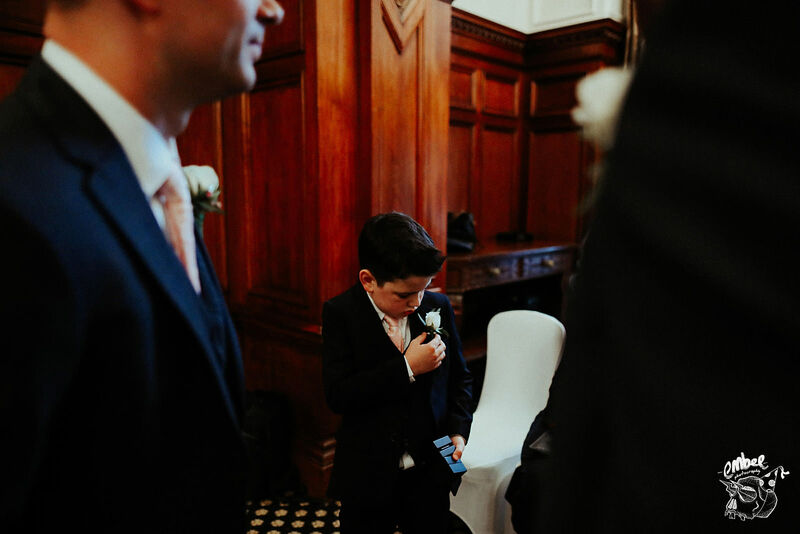 Scroll down and take a look of how I managed to capture super cool wedding moments. 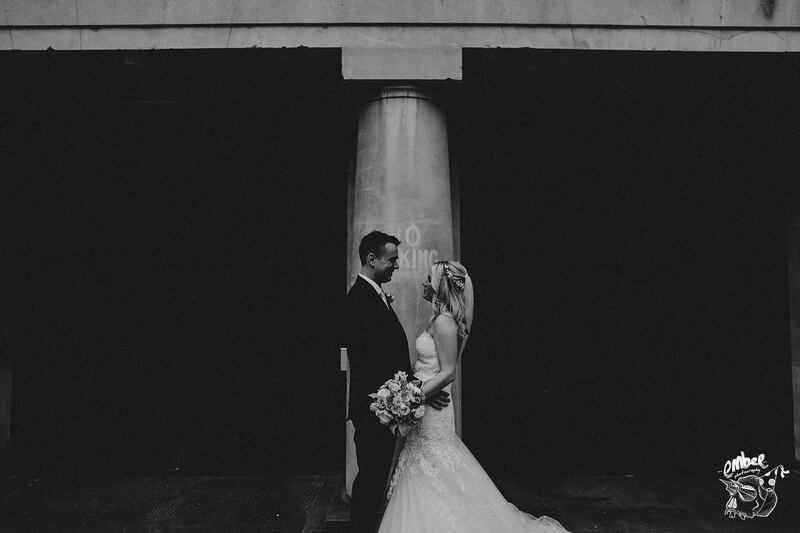 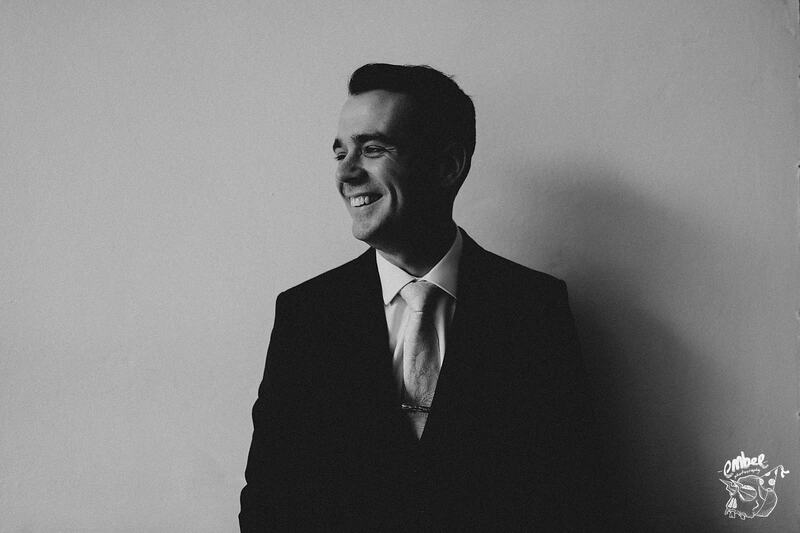 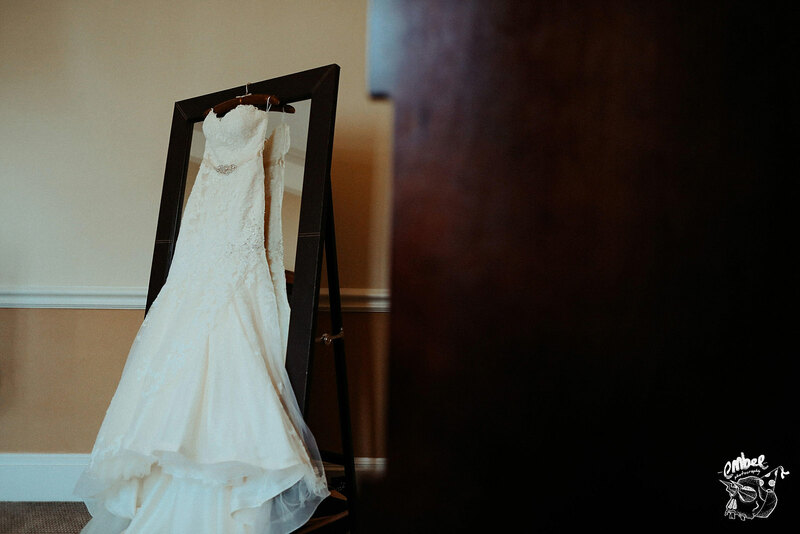 If you are looking for a photographer to capture your wedding day, then I would love to hear from you! 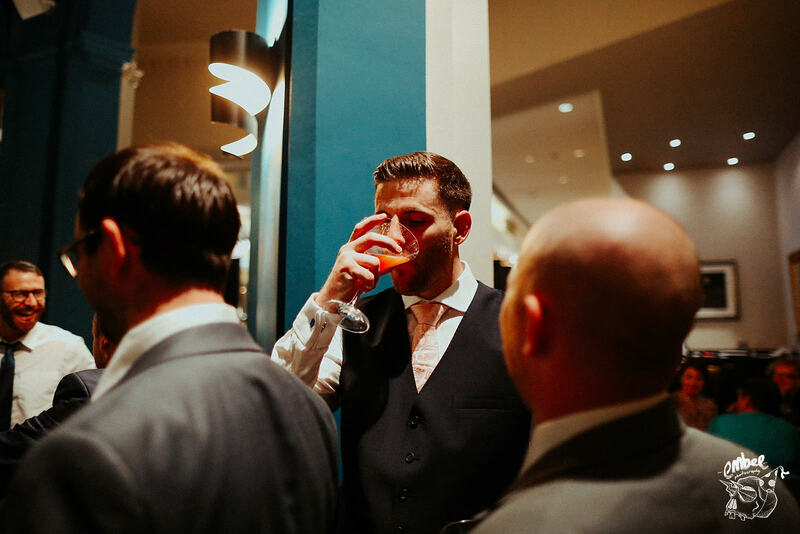 Cheers Buddy, thanks for taking a look at it. 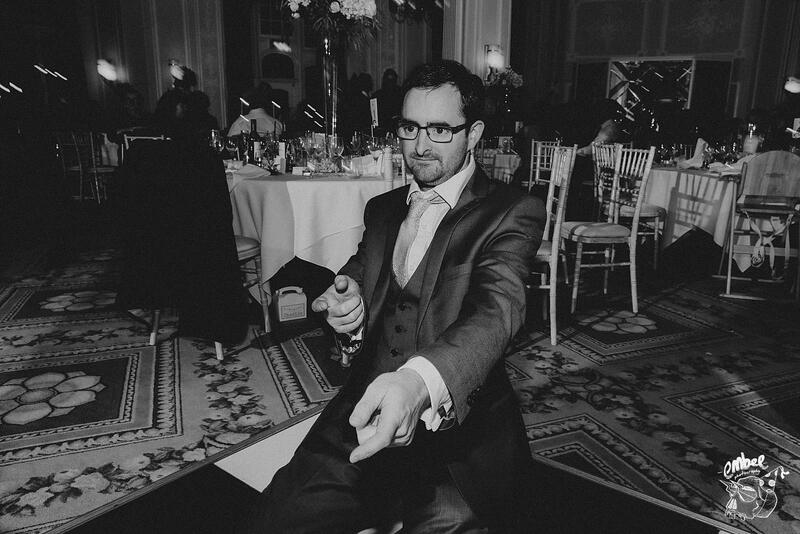 I do like that shot too.